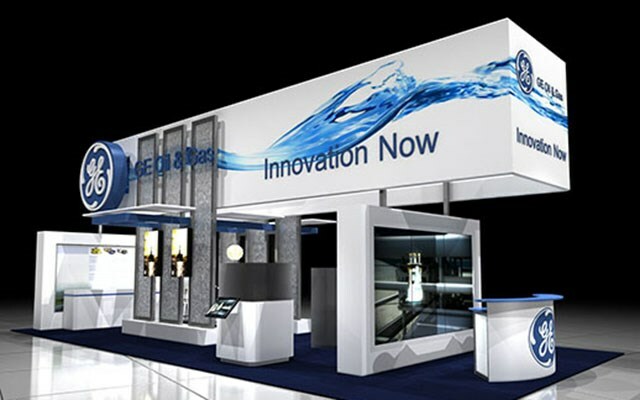 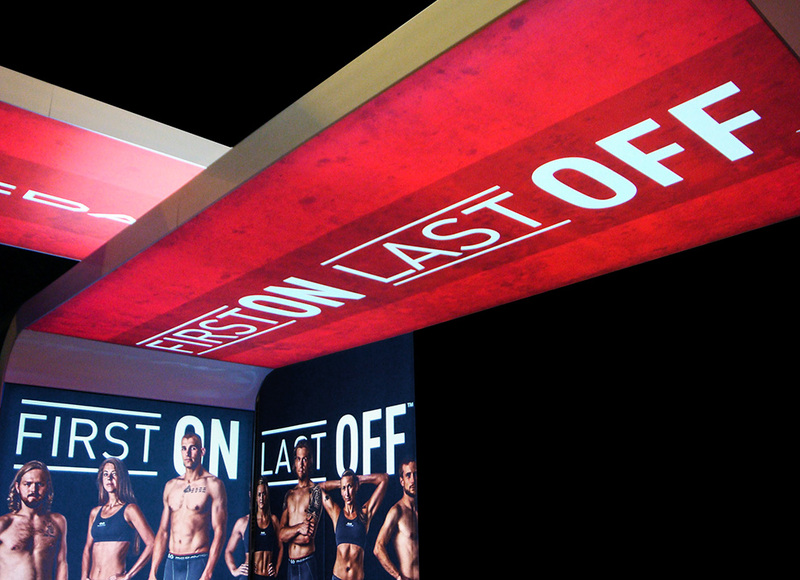 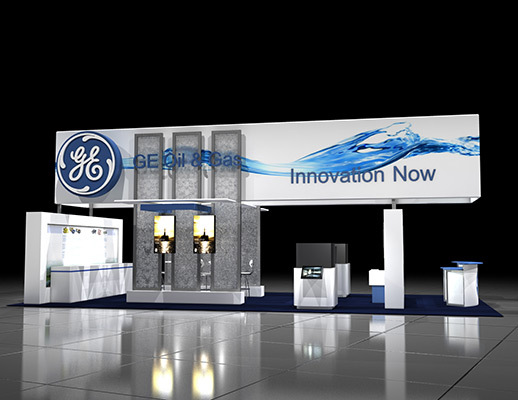 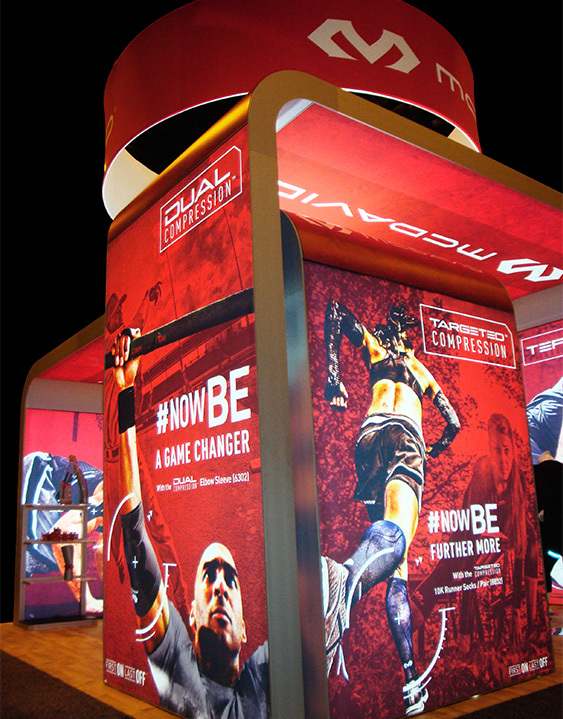 Semi-enclosed, tall steel structure with prominent graphic signs, lounge, lighting and video monitors on the exterior. 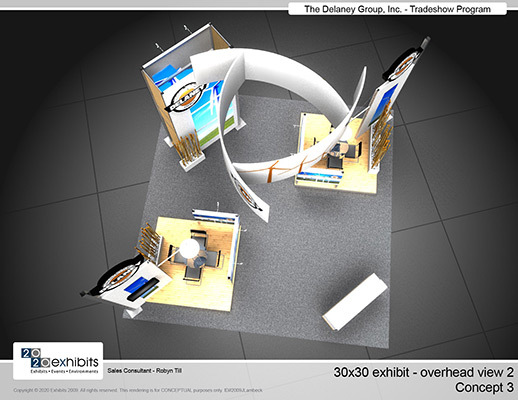 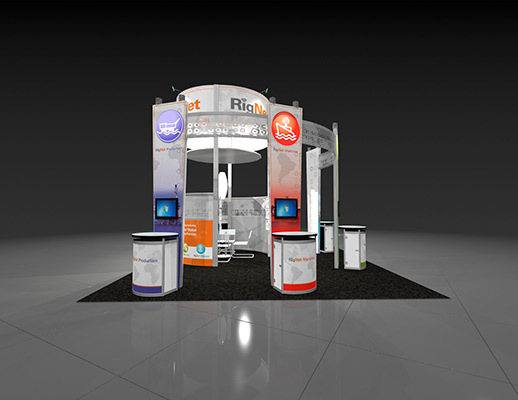 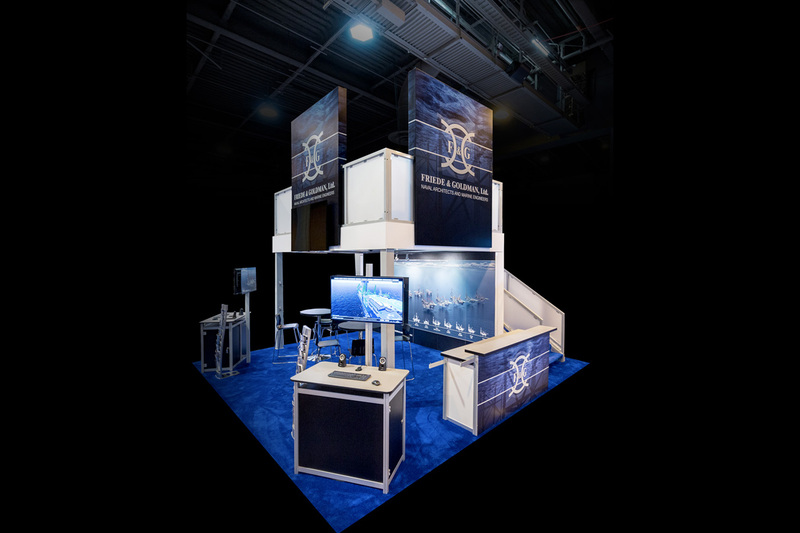 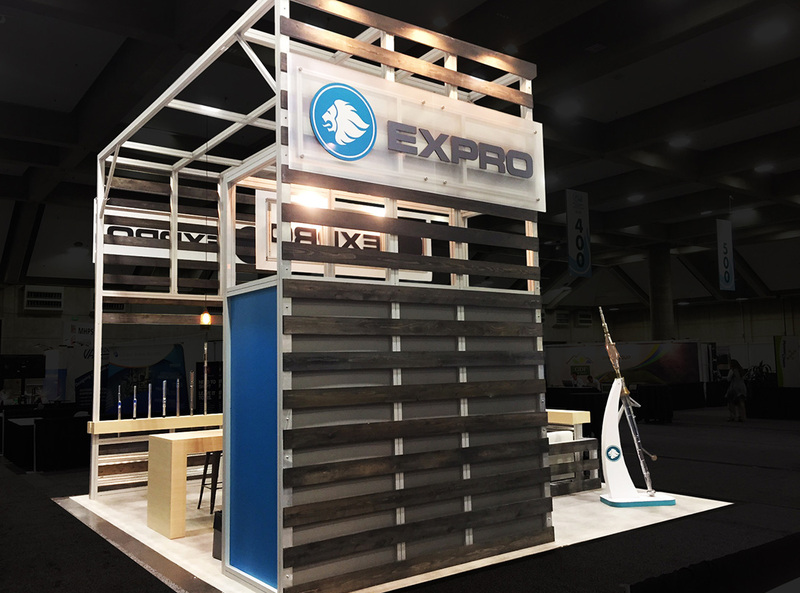 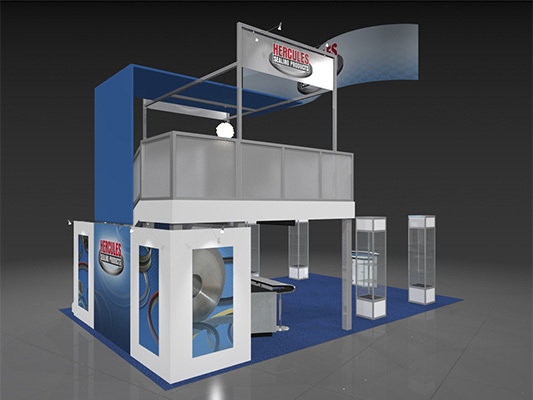 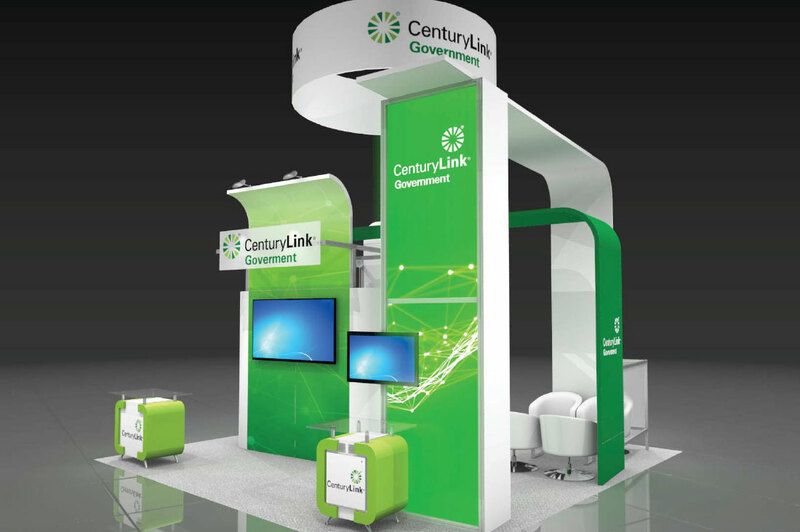 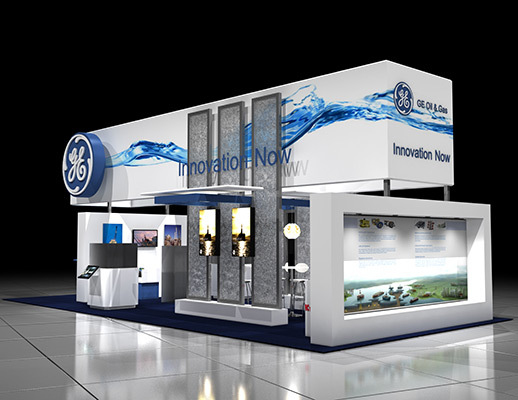 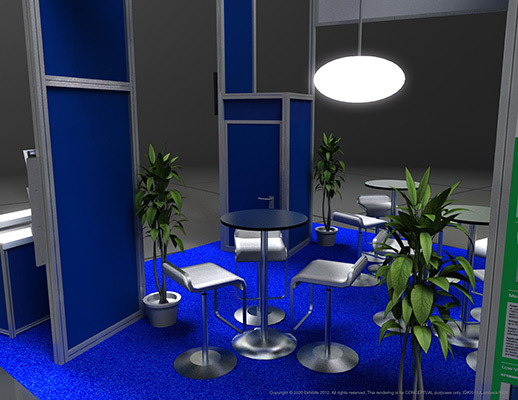 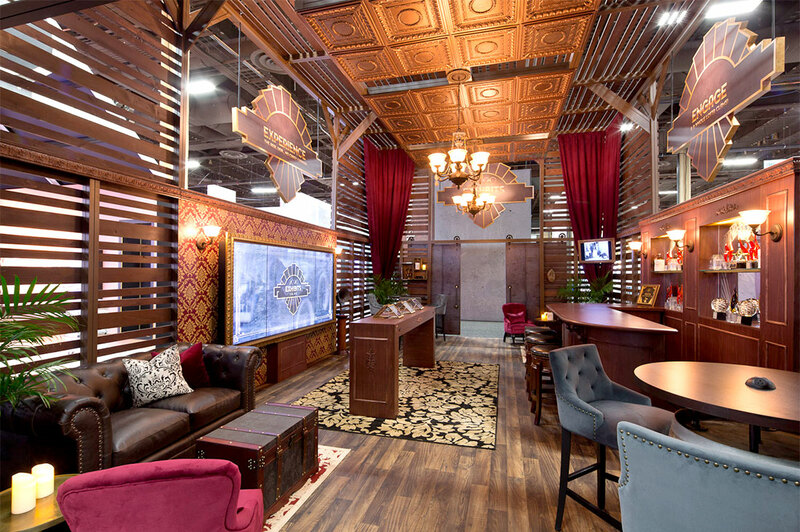 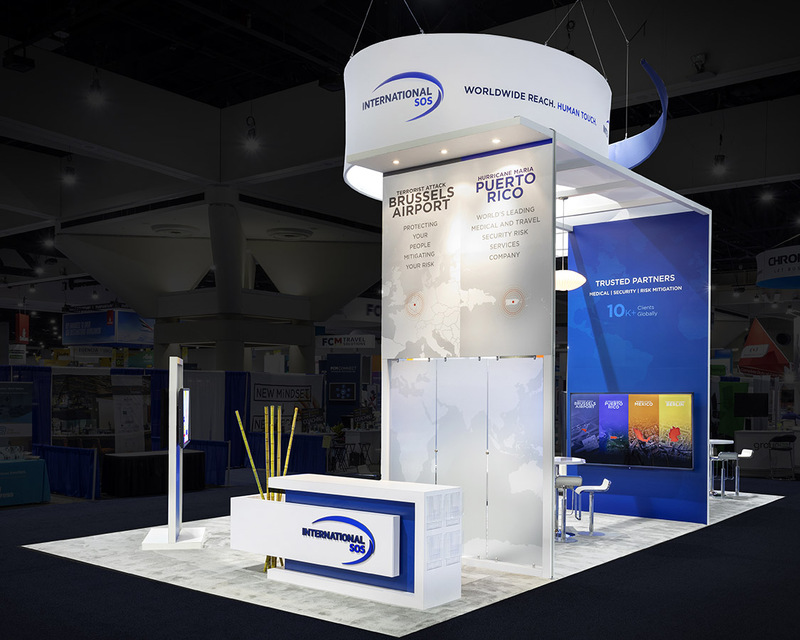 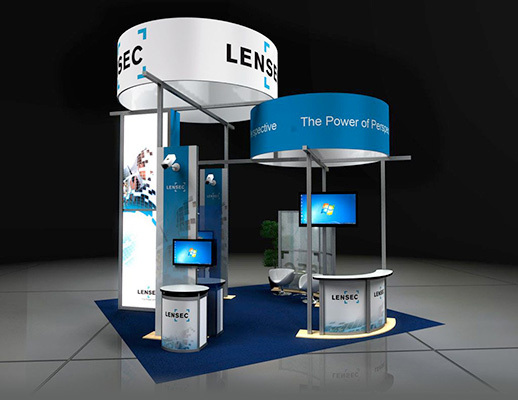 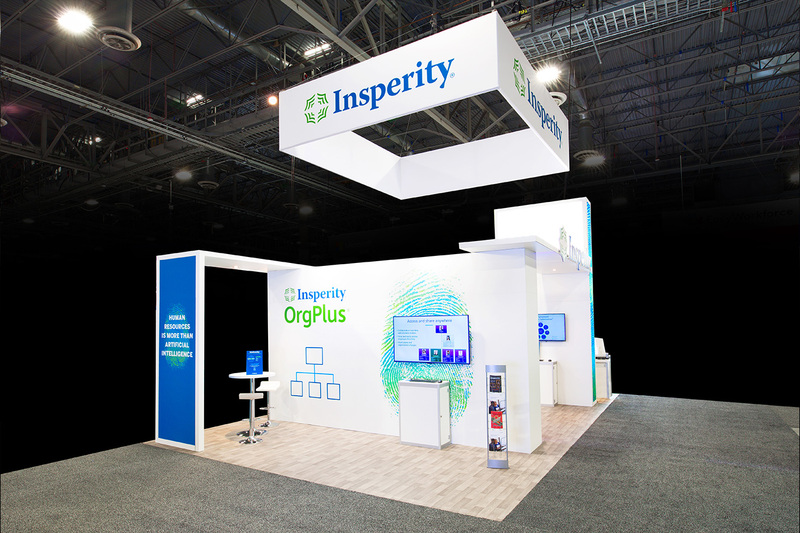 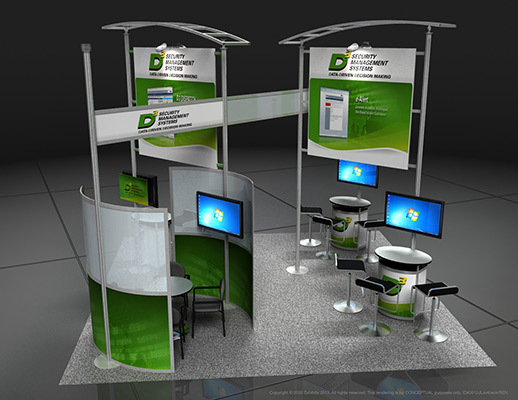 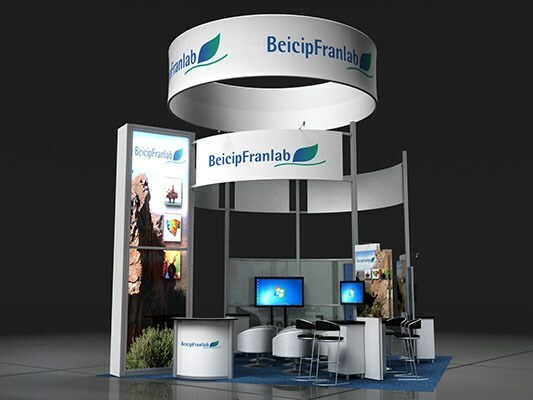 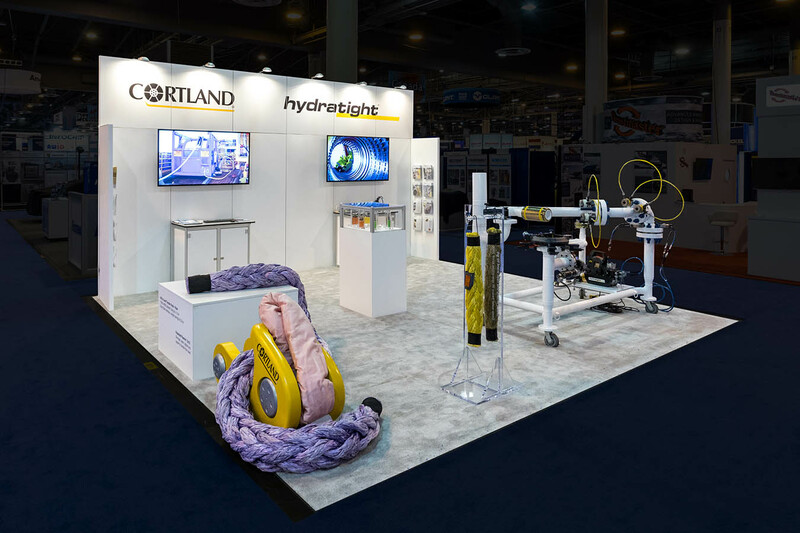 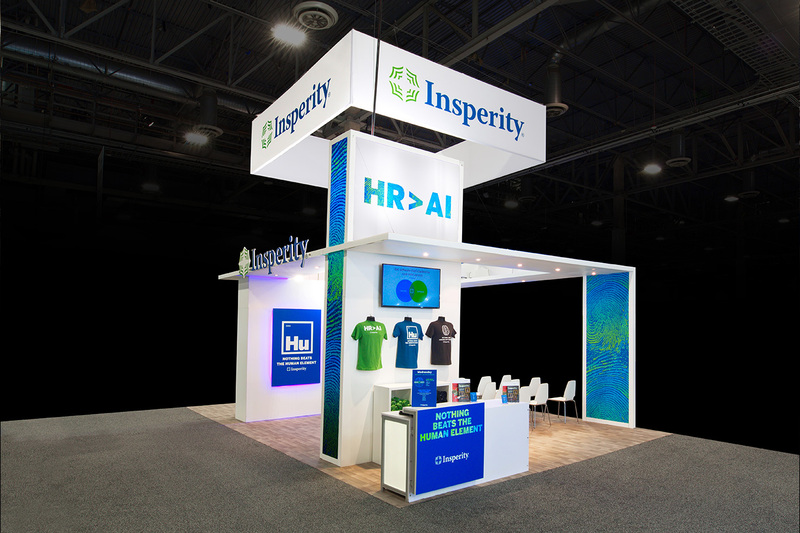 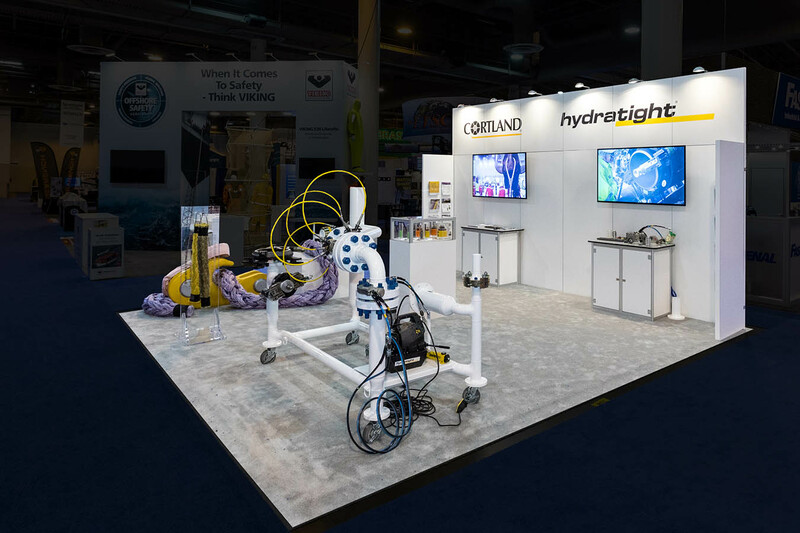 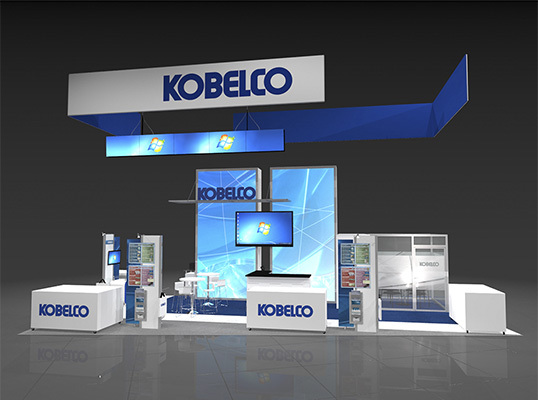 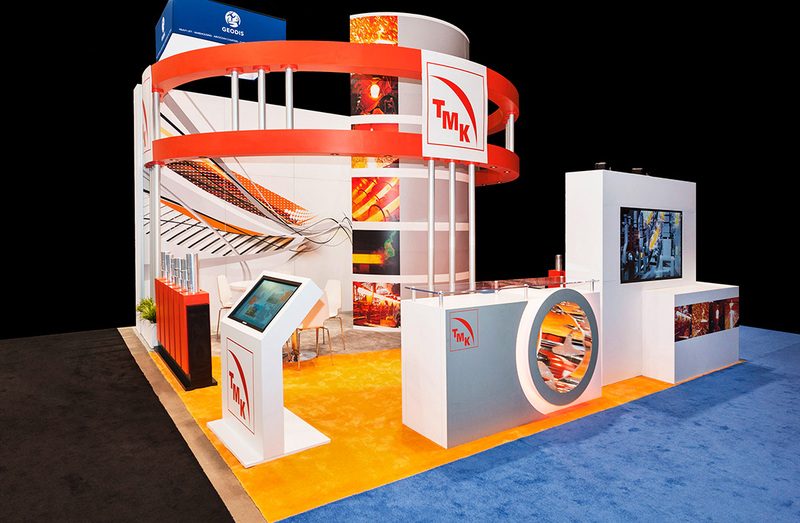 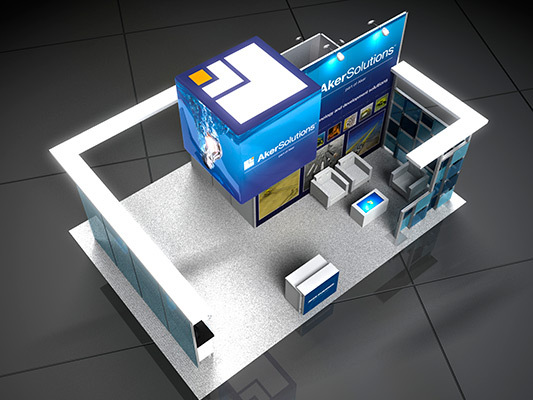 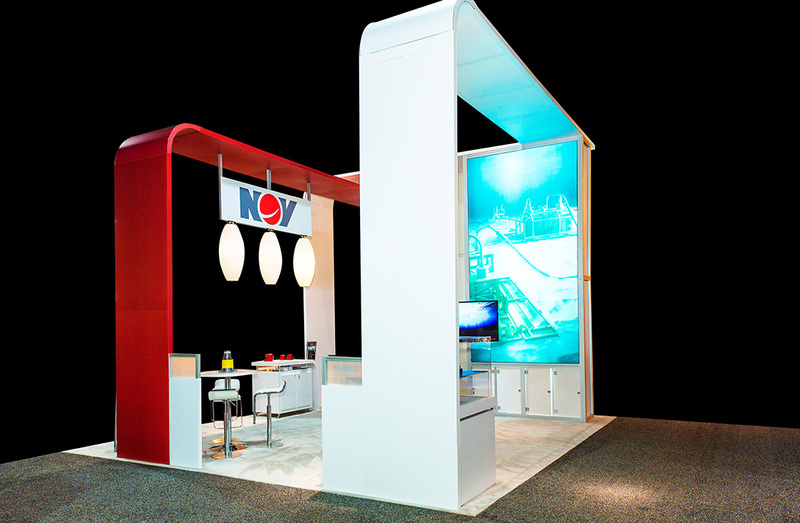 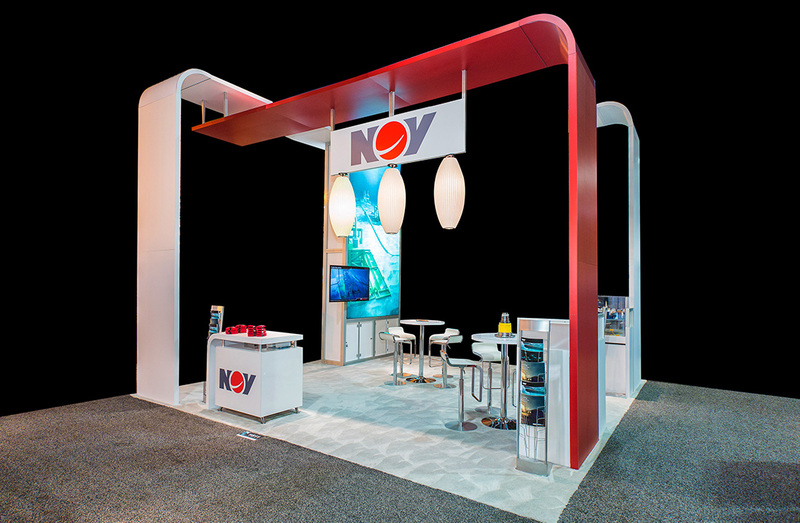 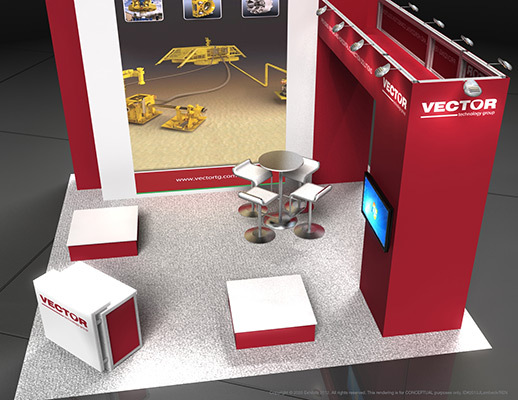 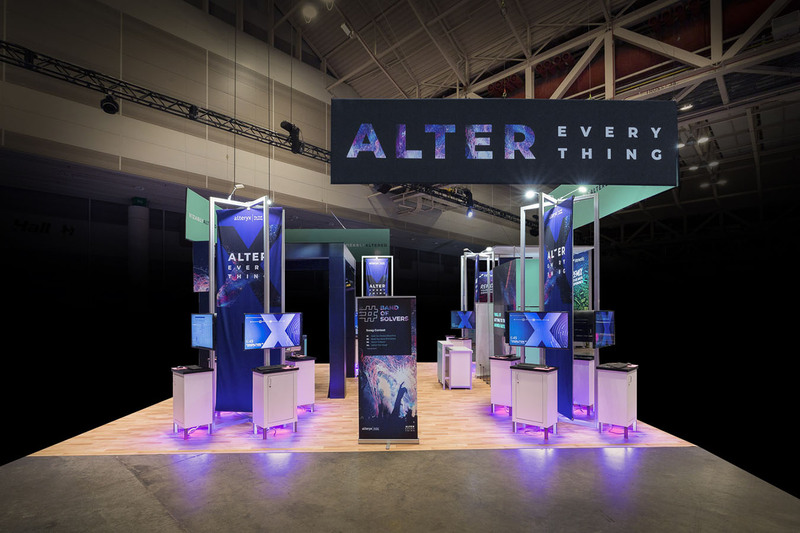 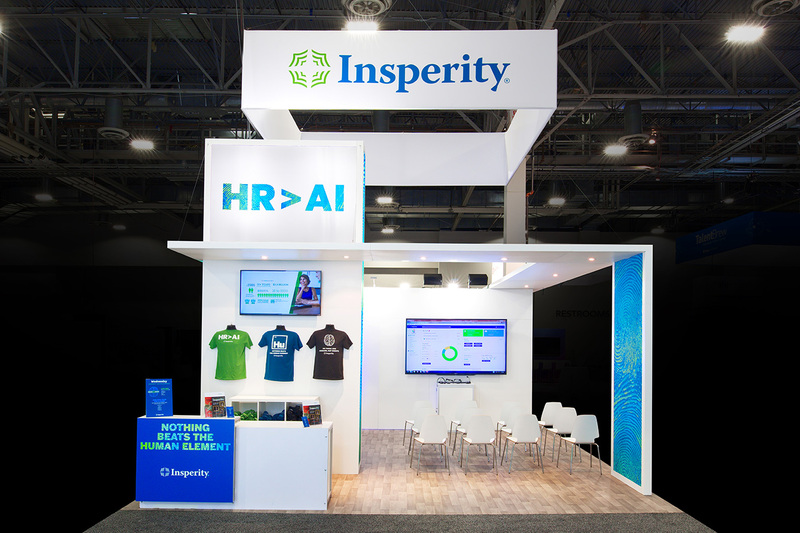 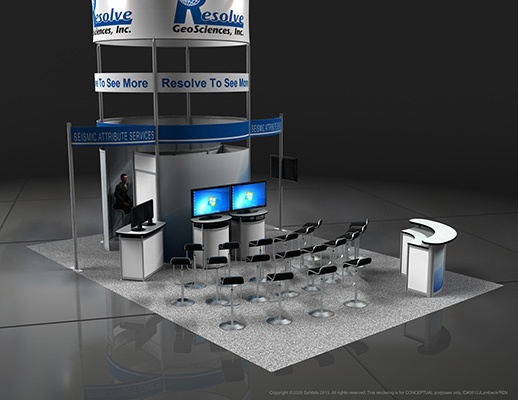 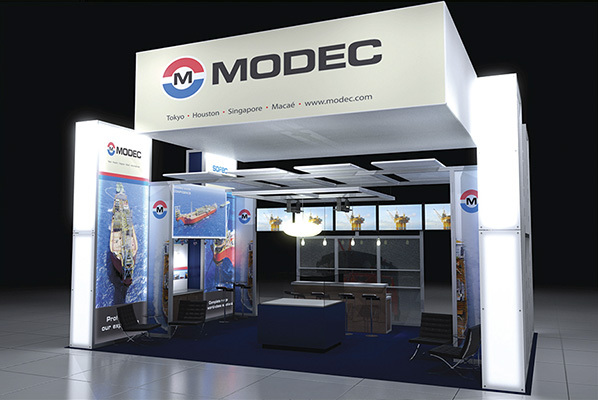 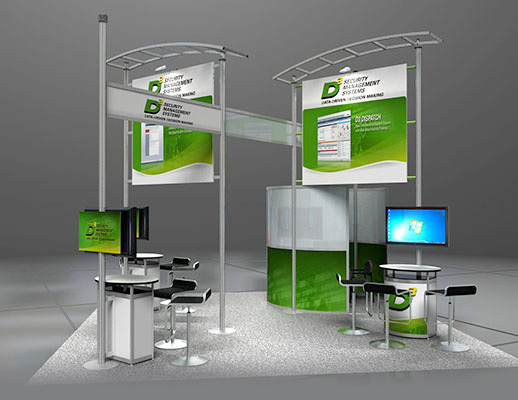 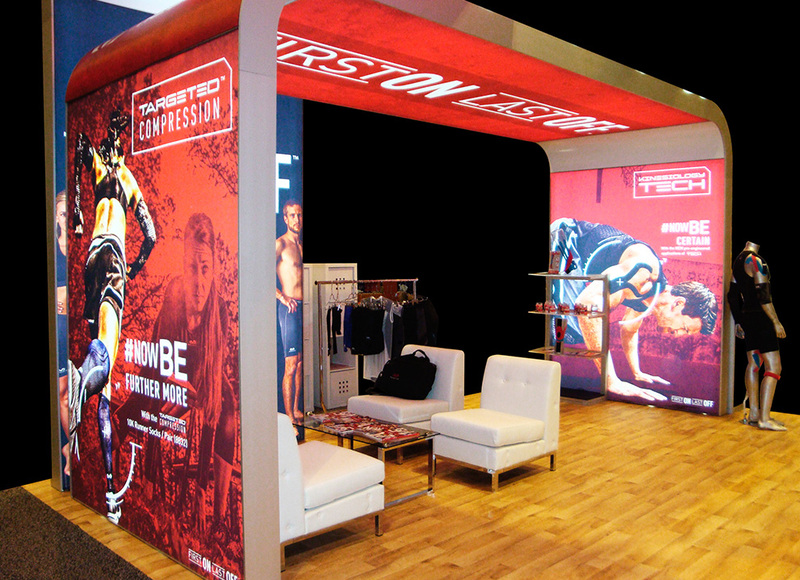 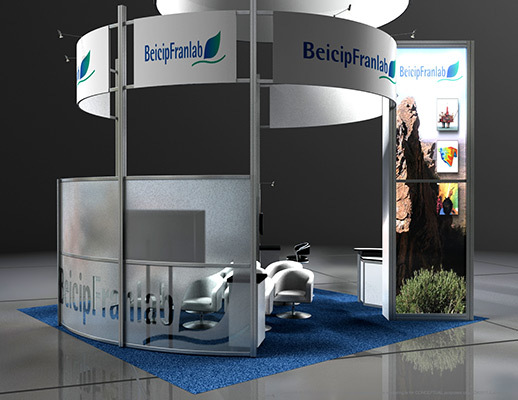 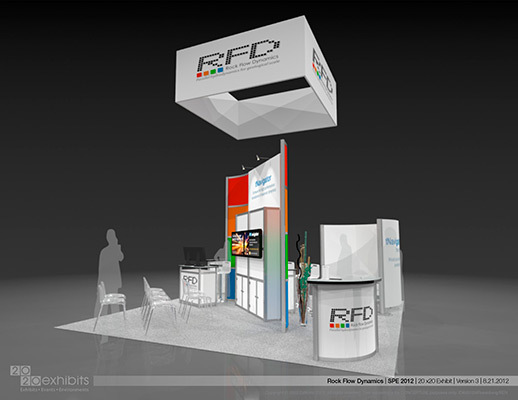 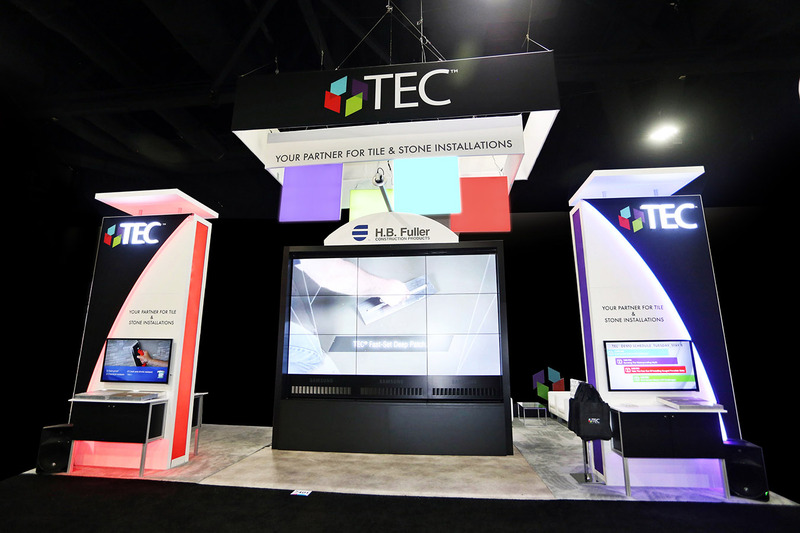 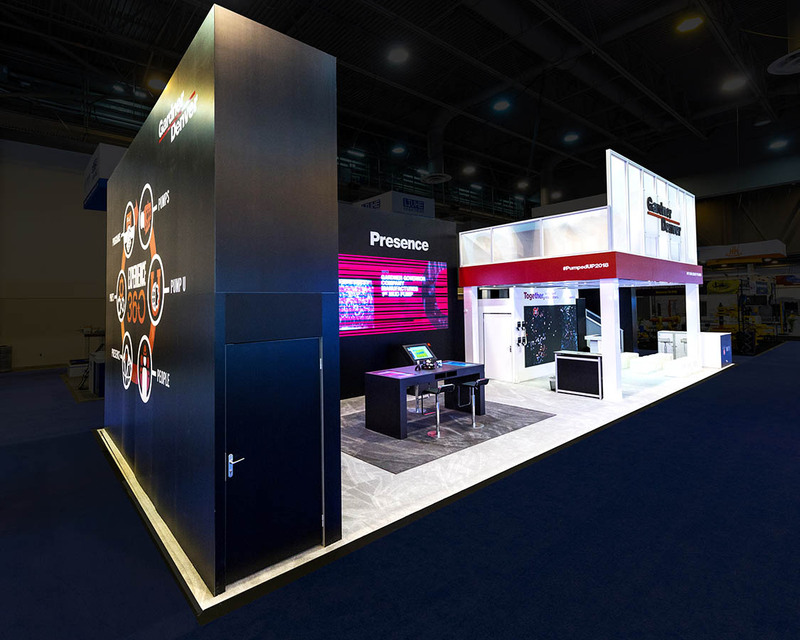 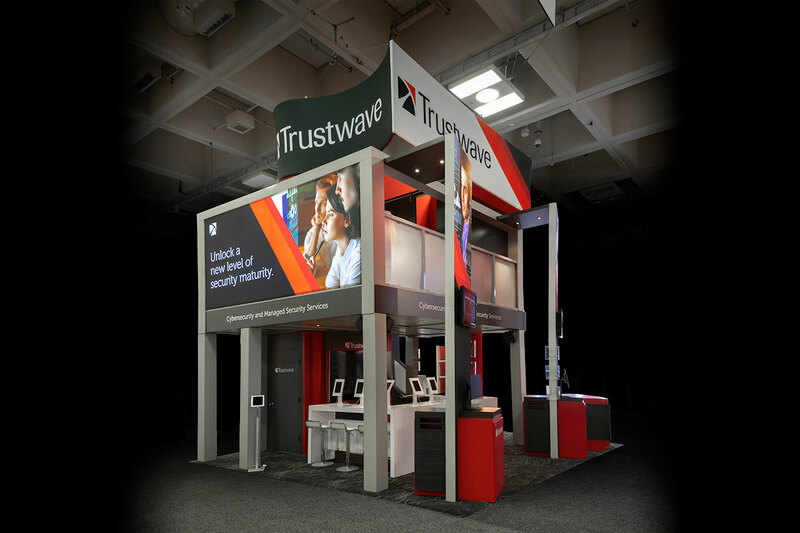 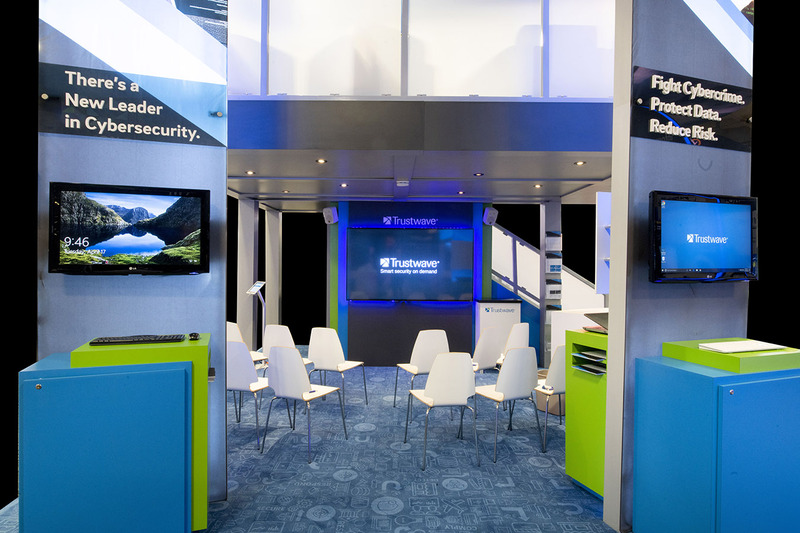 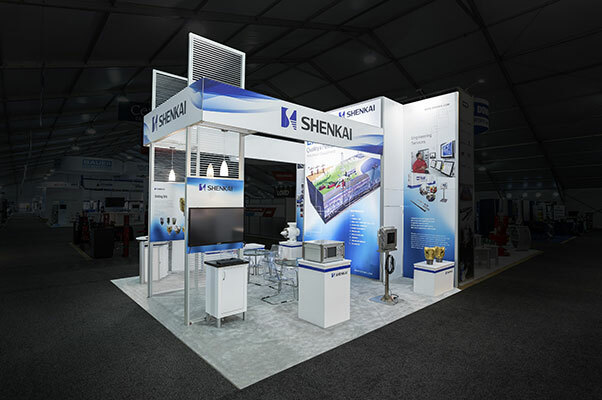 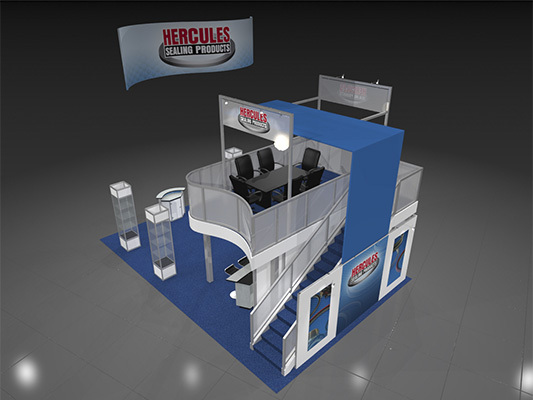 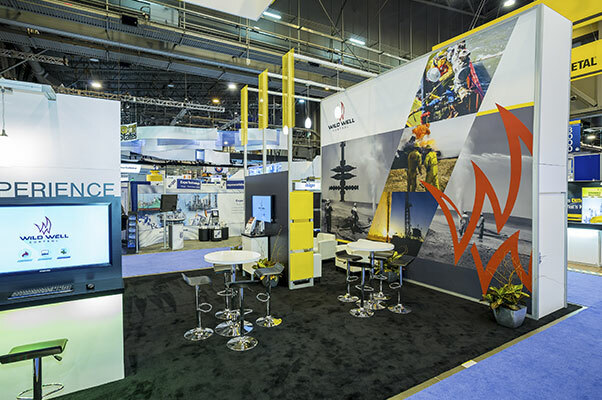 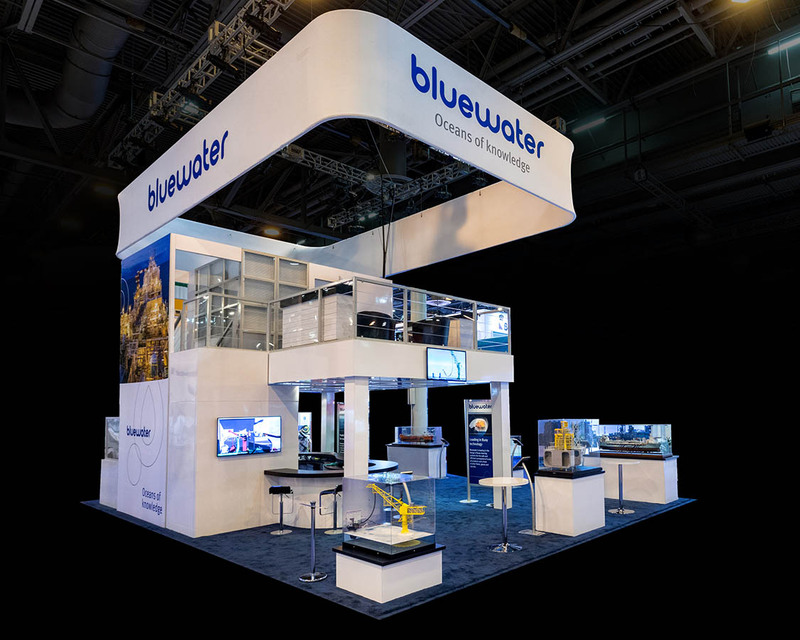 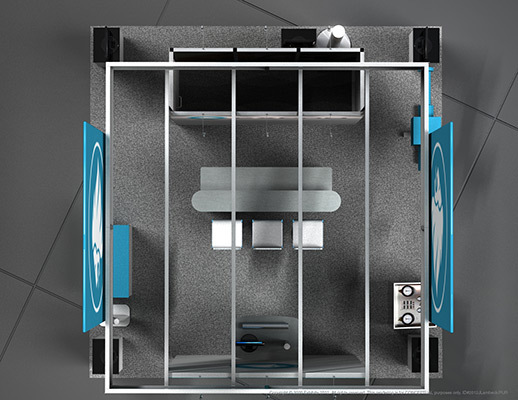 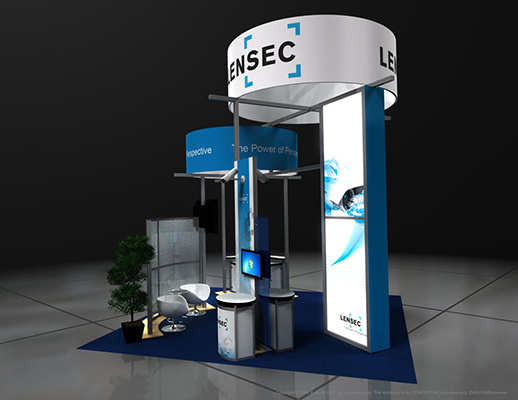 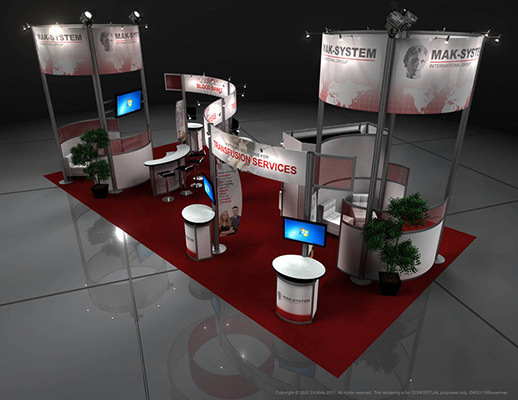 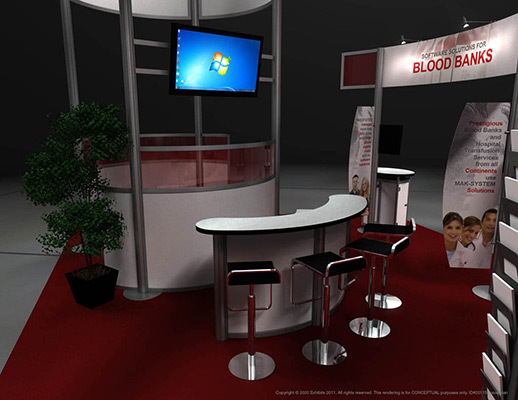 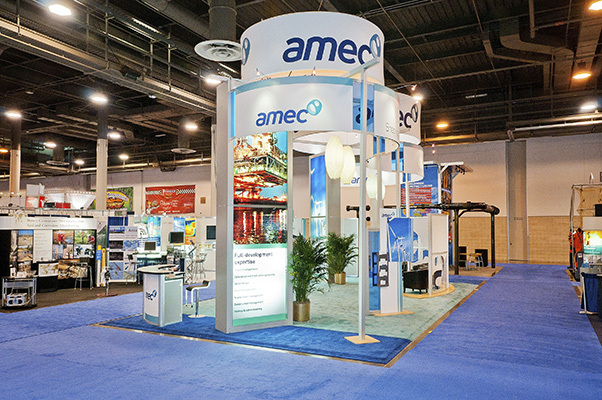 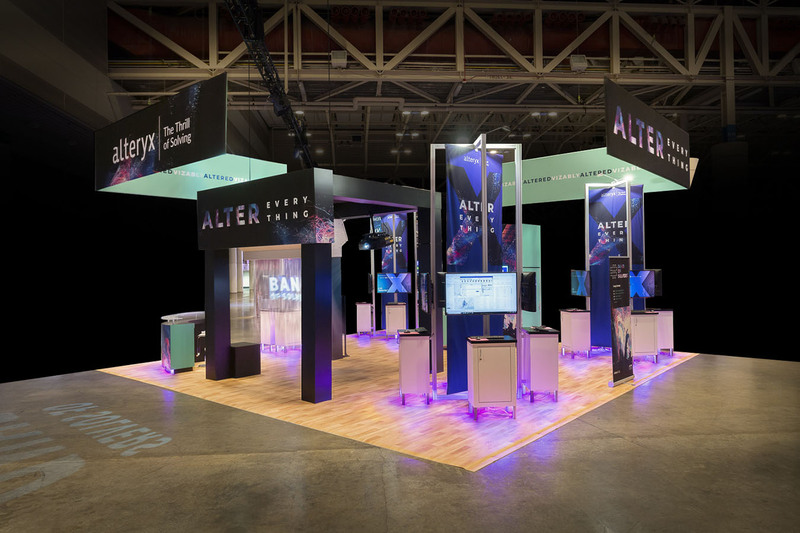 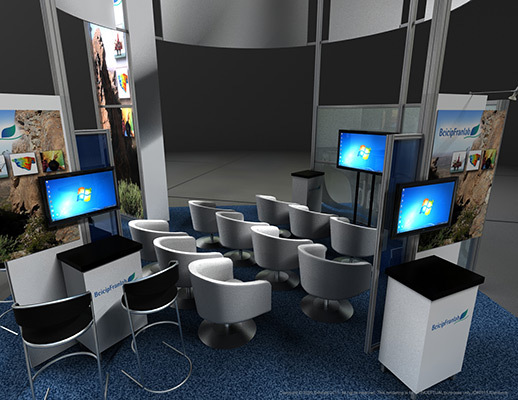 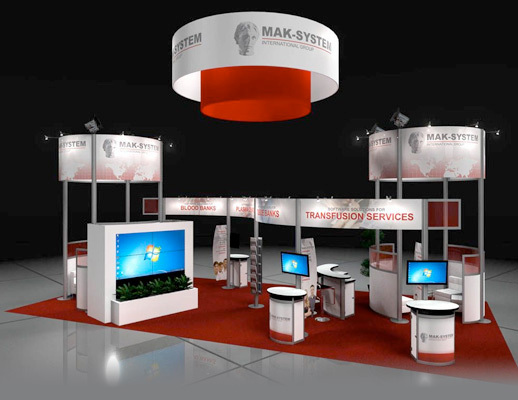 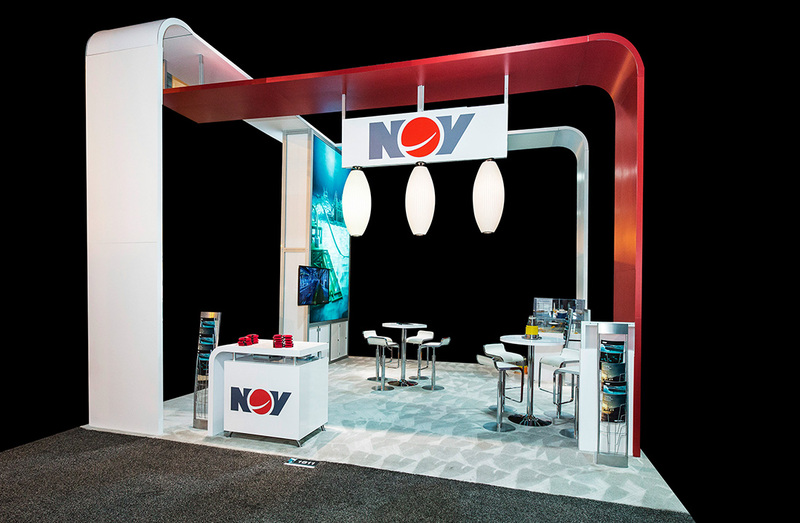 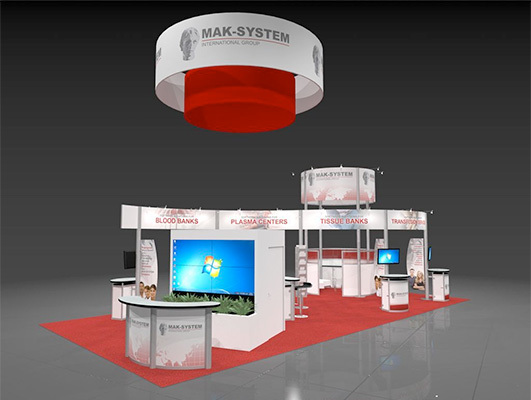 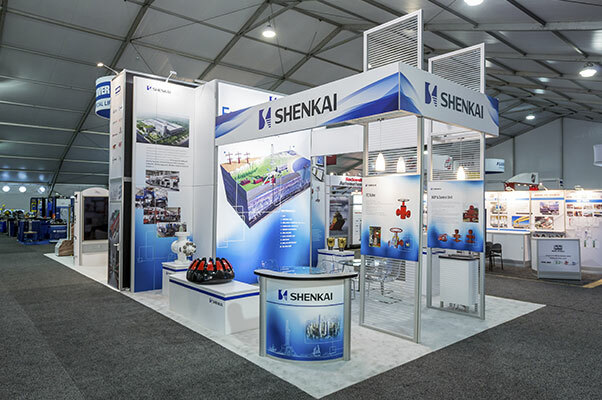 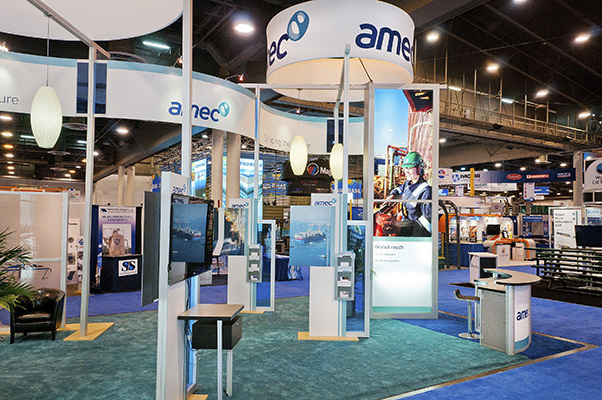 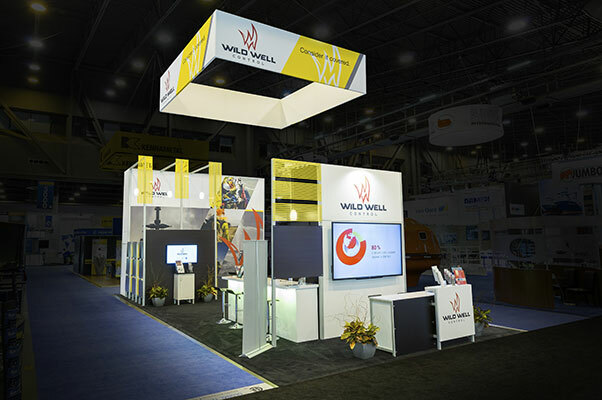 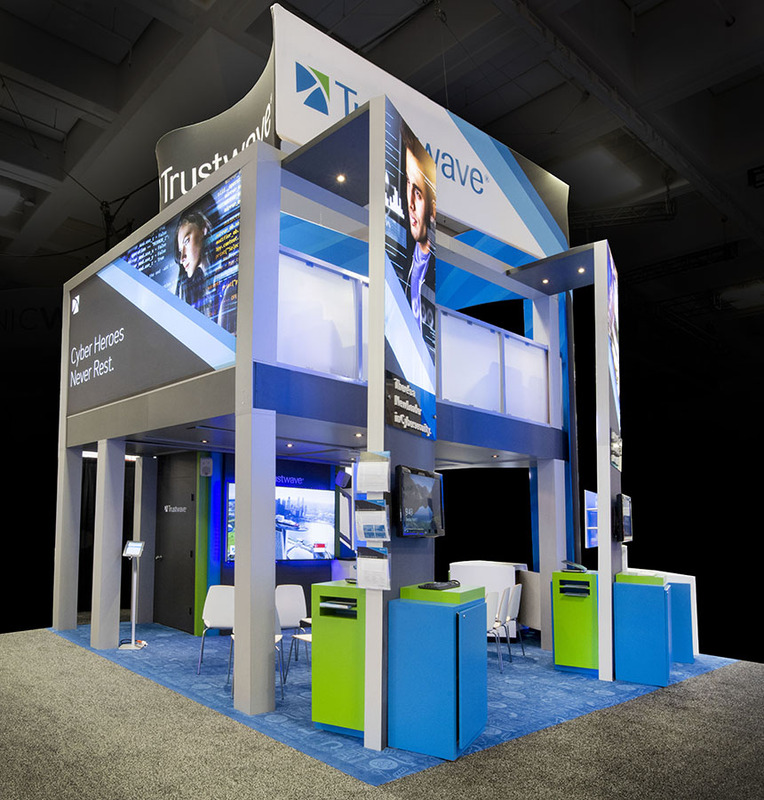 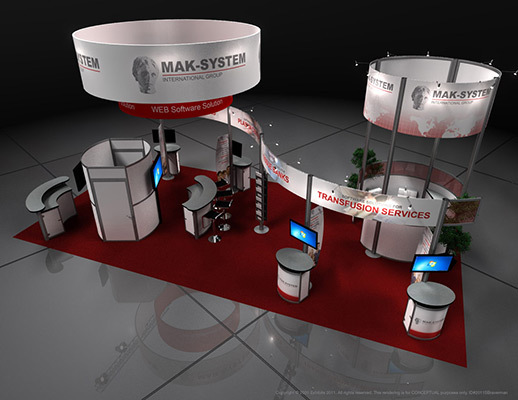 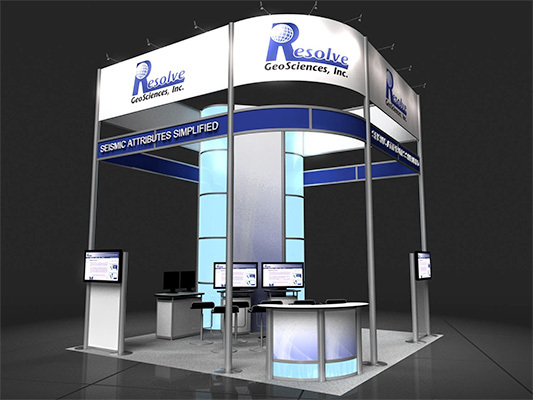 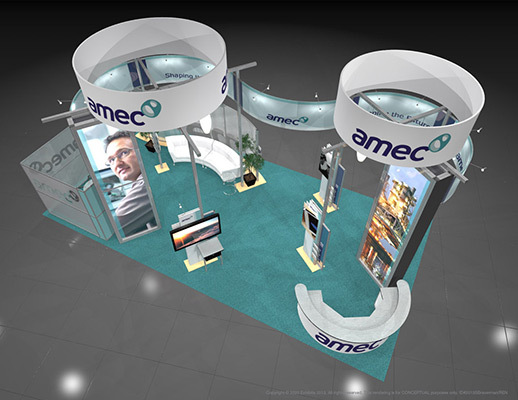 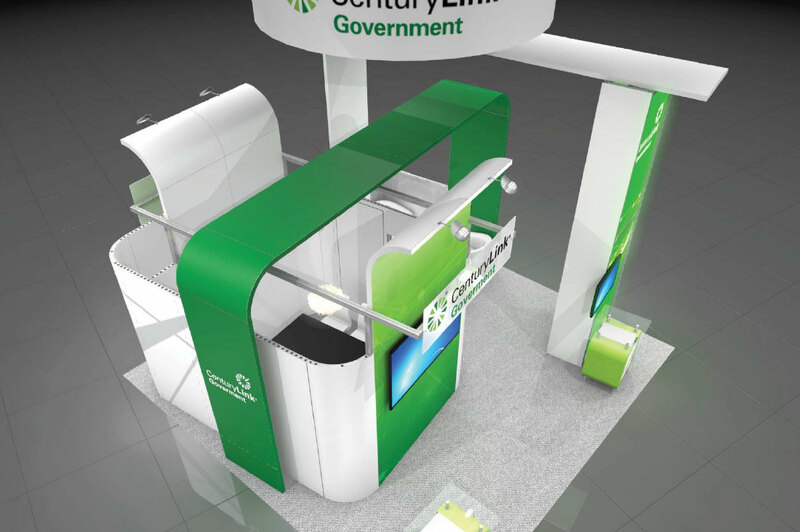 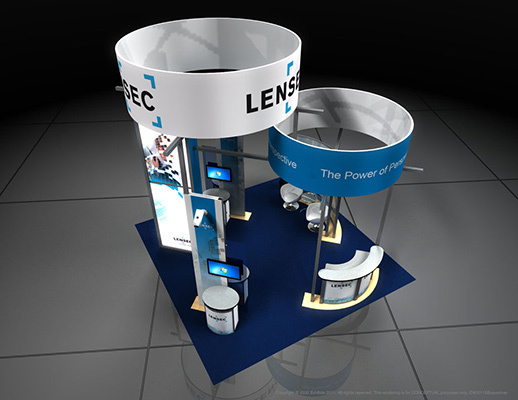 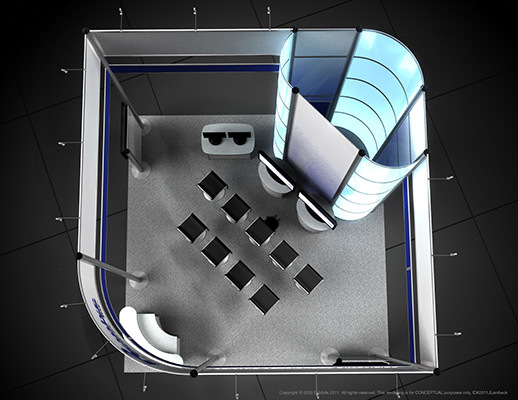 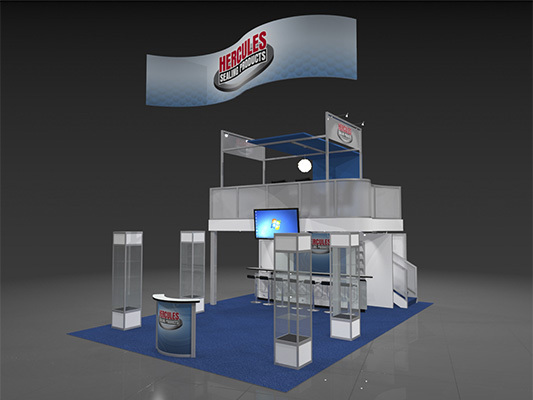 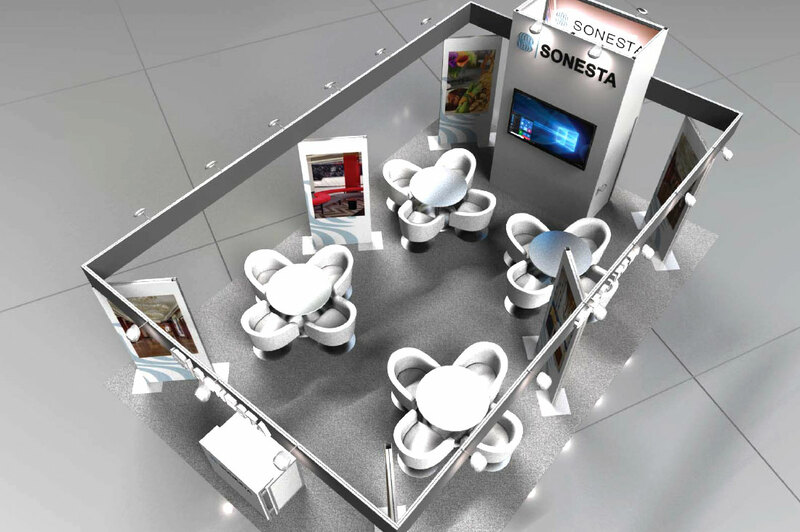 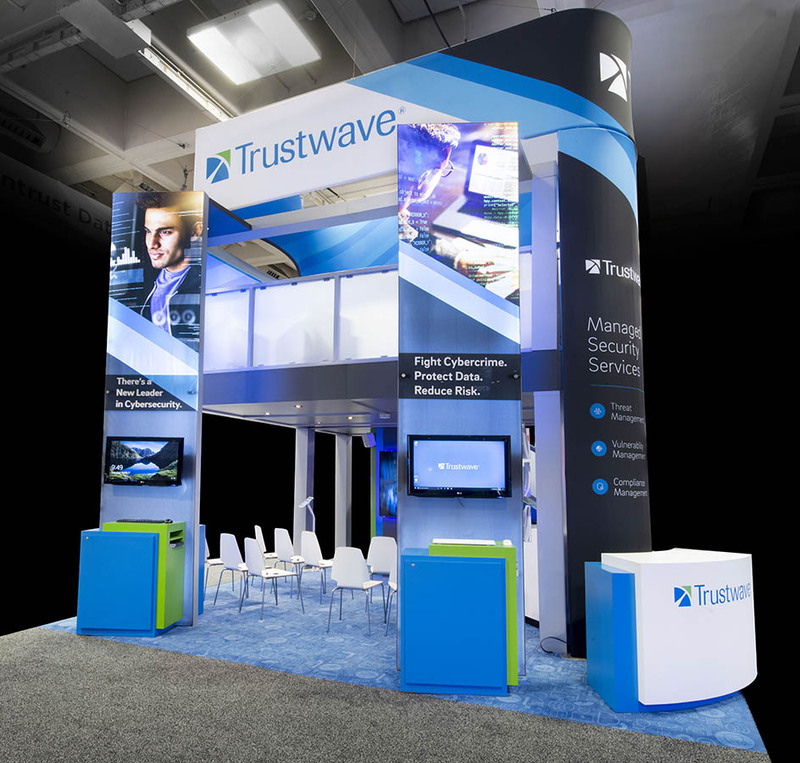 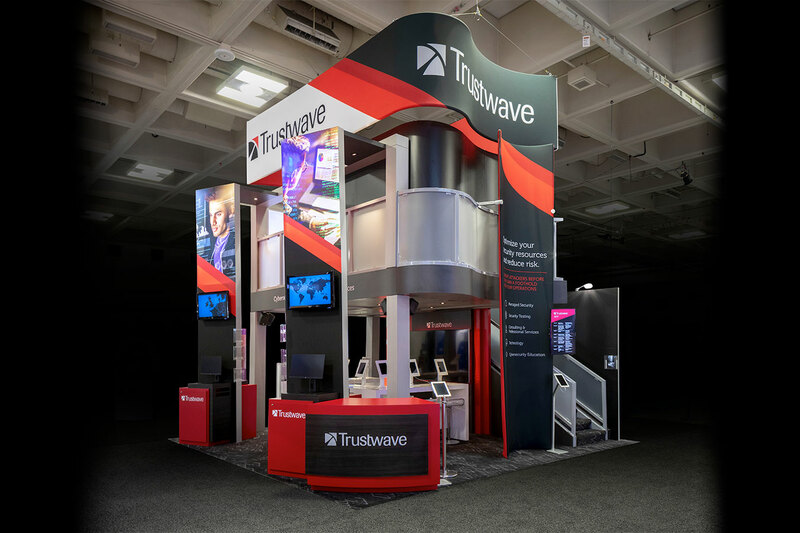 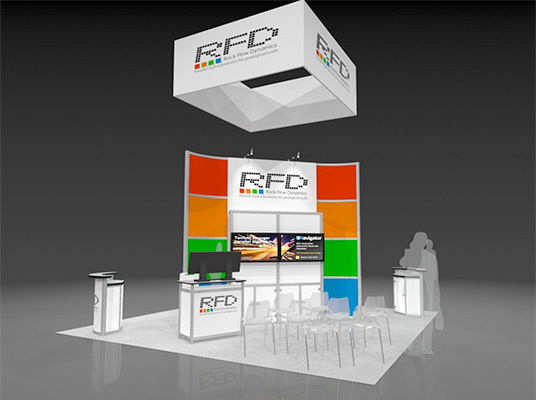 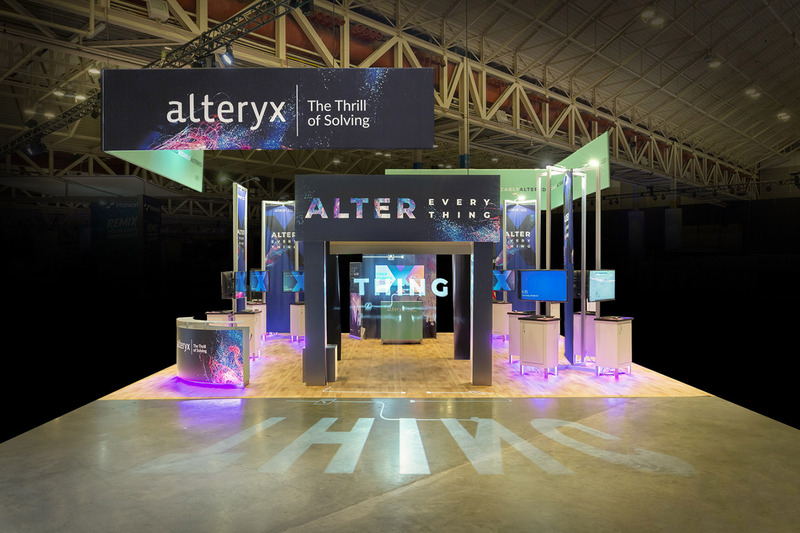 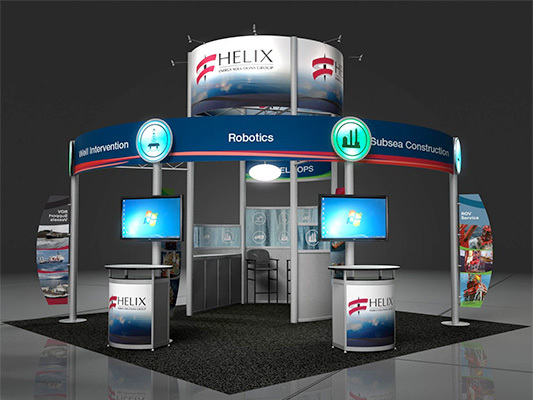 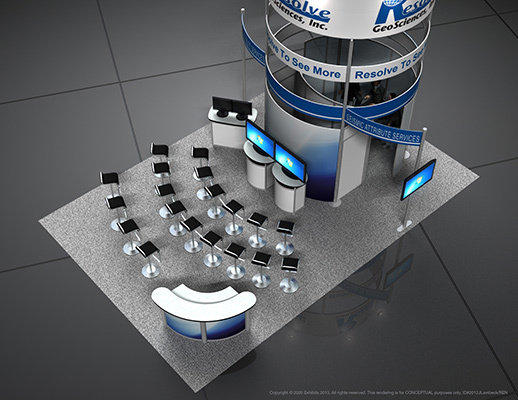 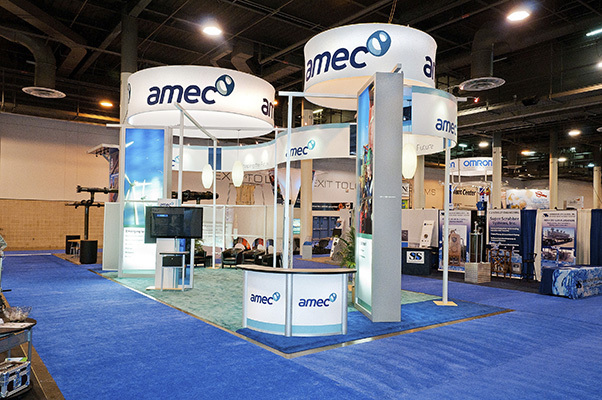 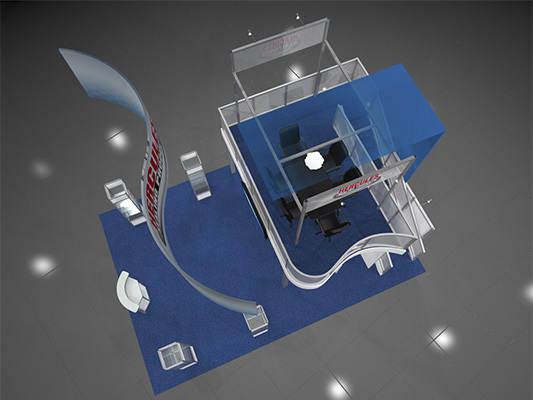 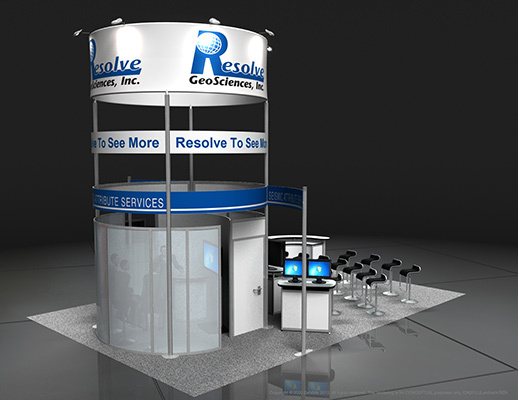 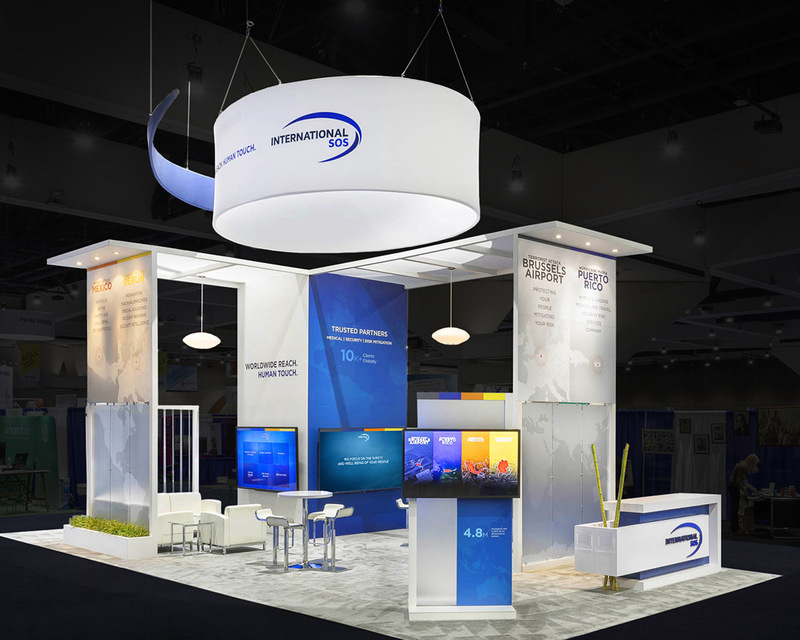 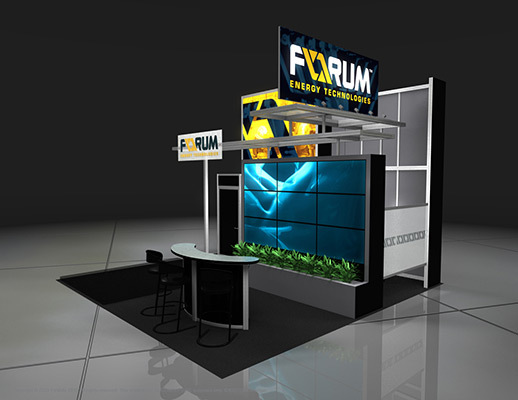 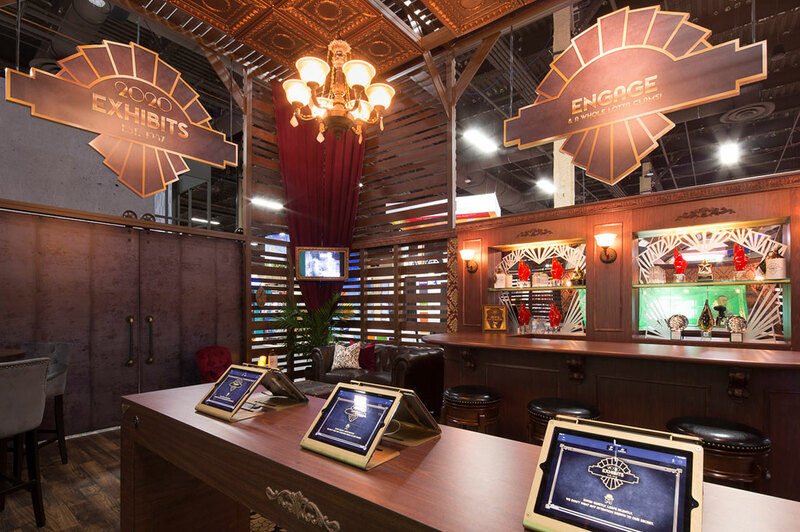 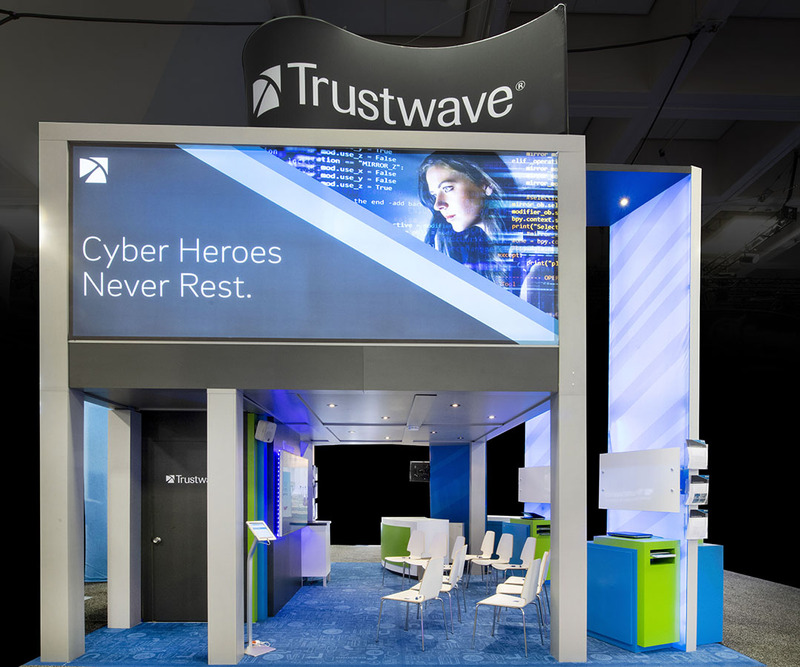 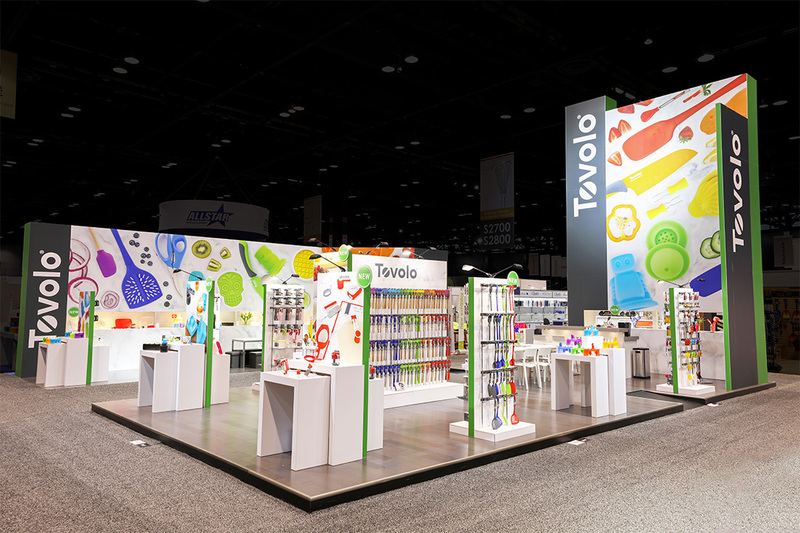 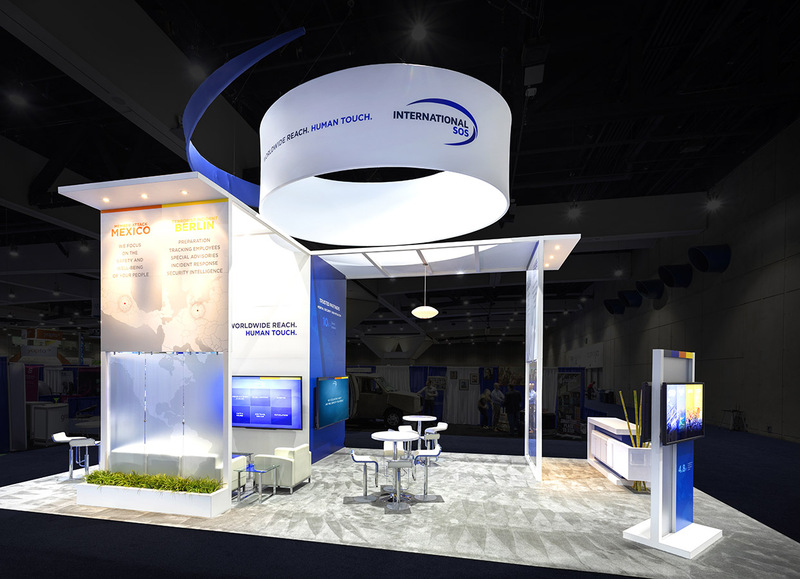 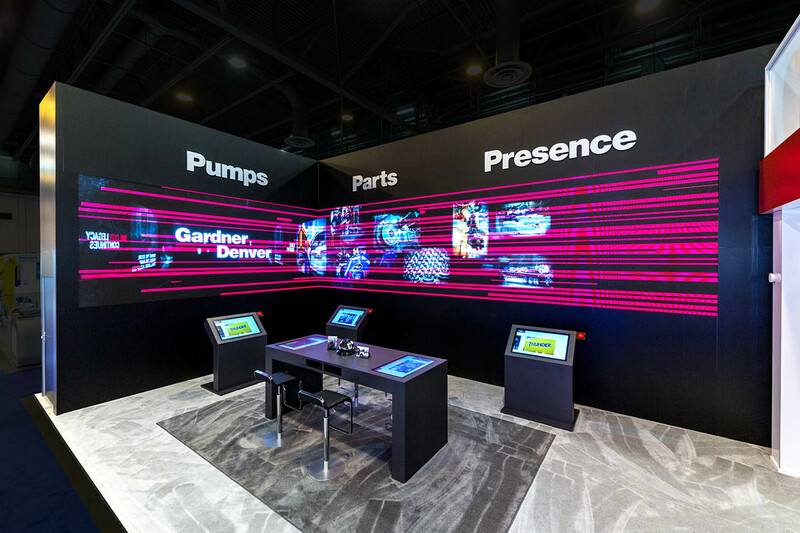 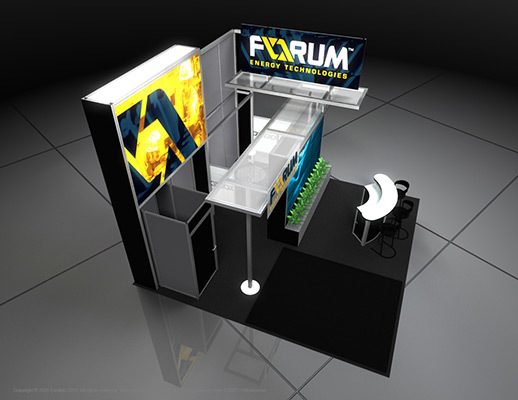 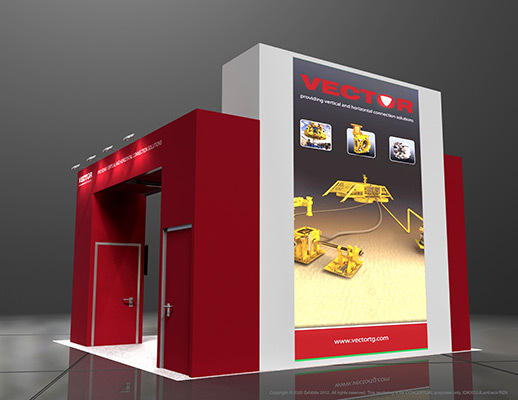 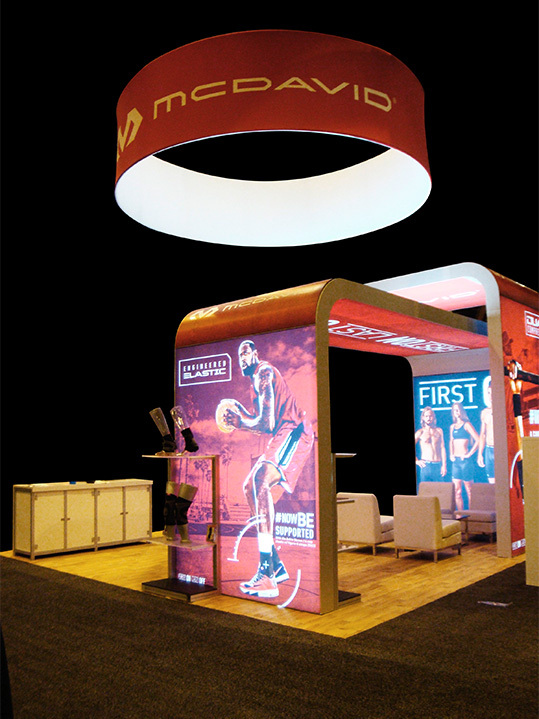 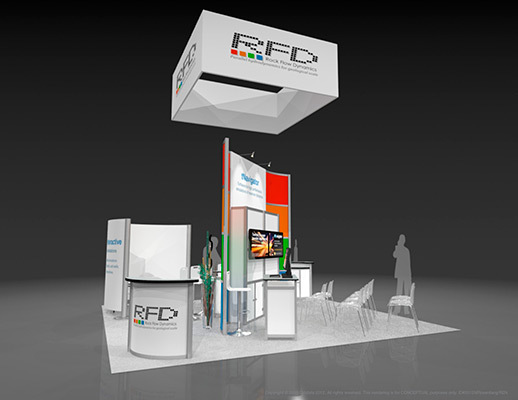 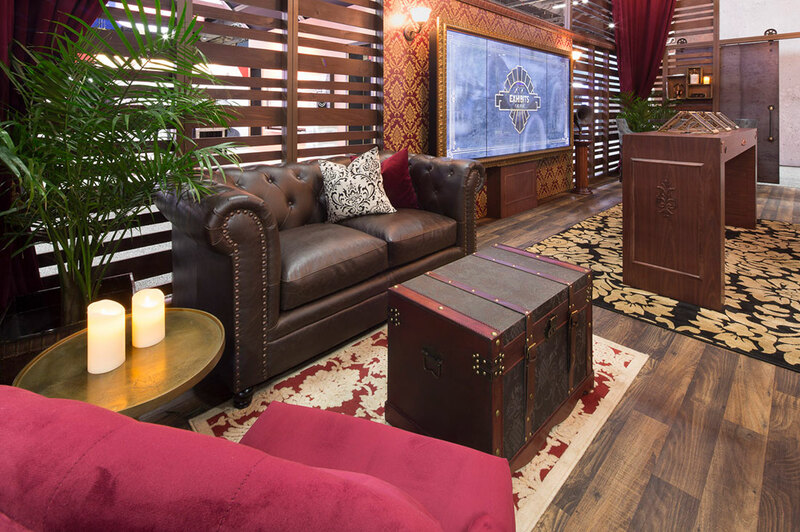 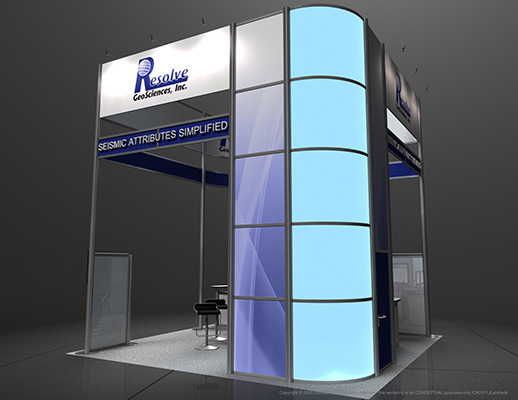 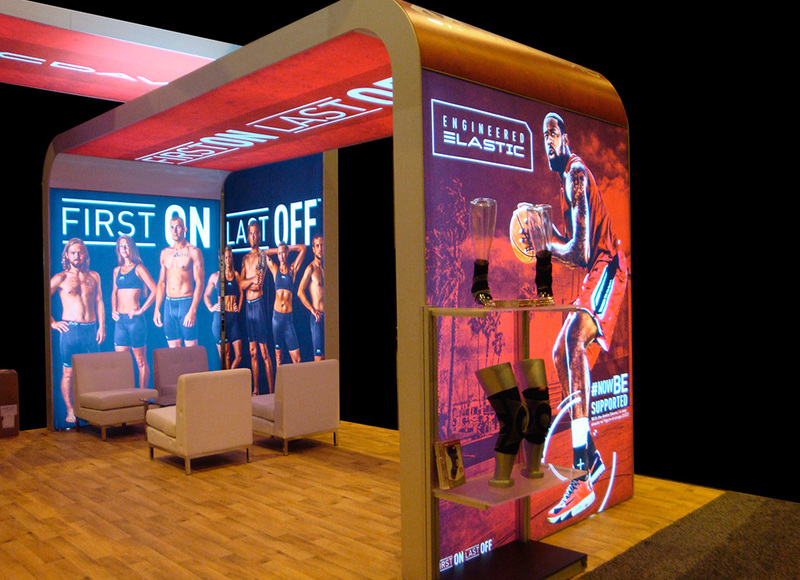 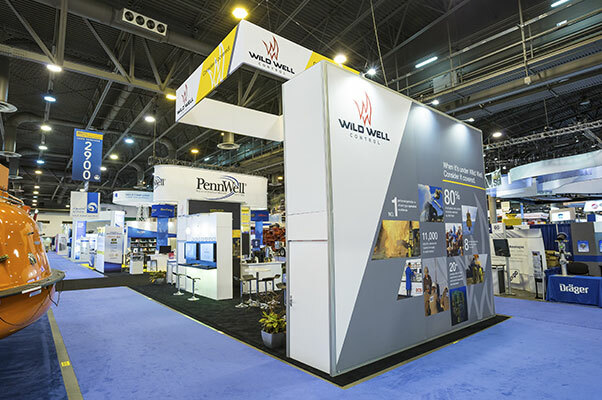 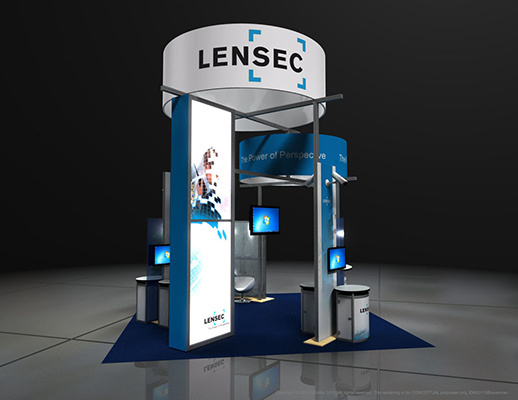 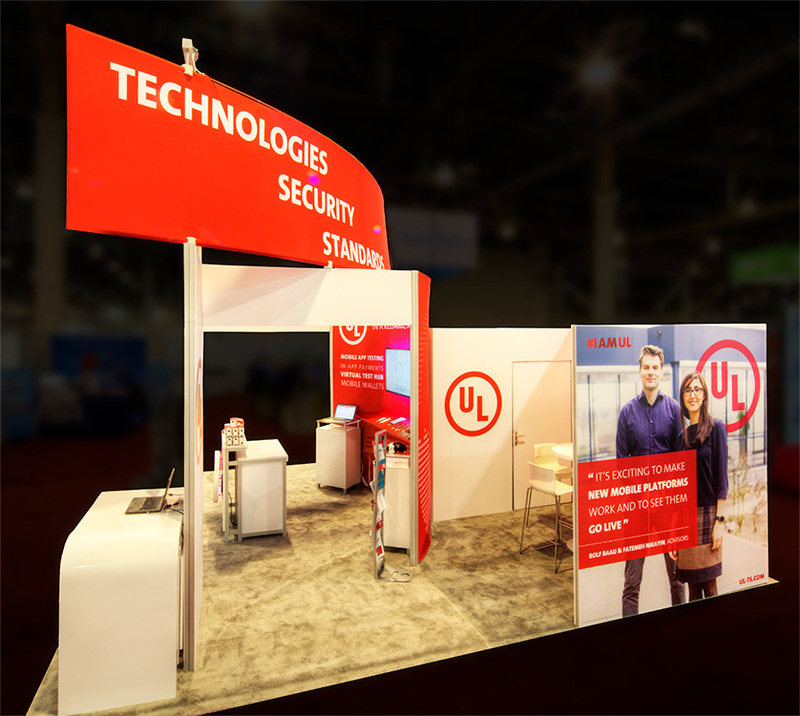 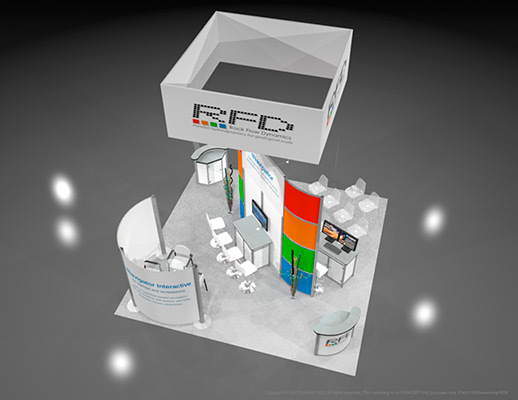 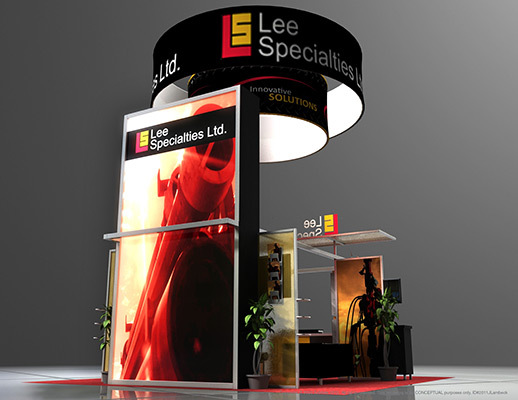 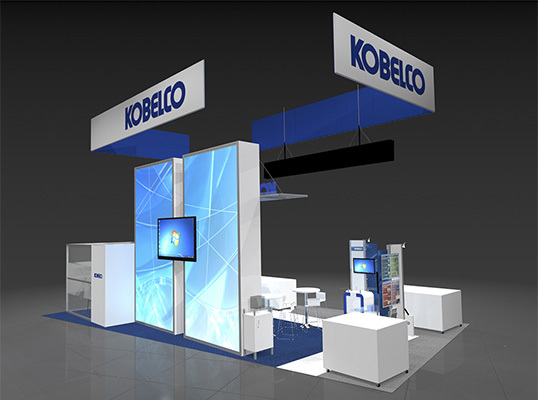 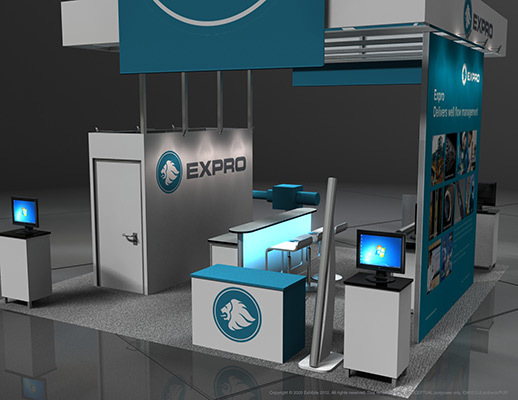 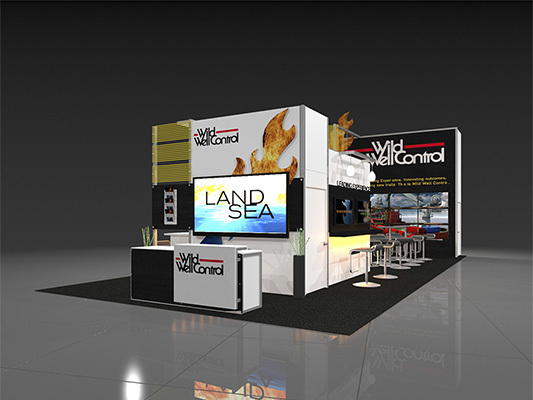 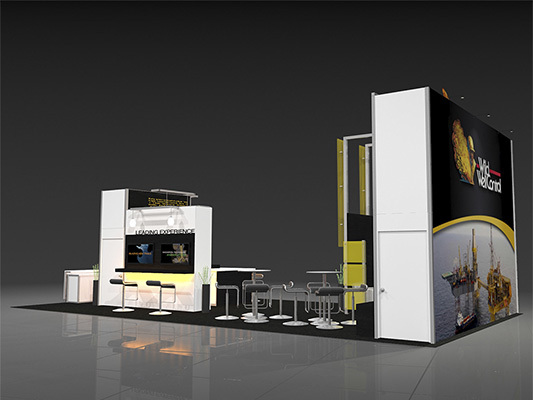 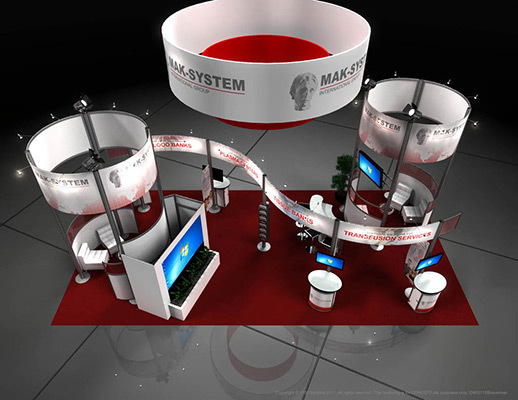 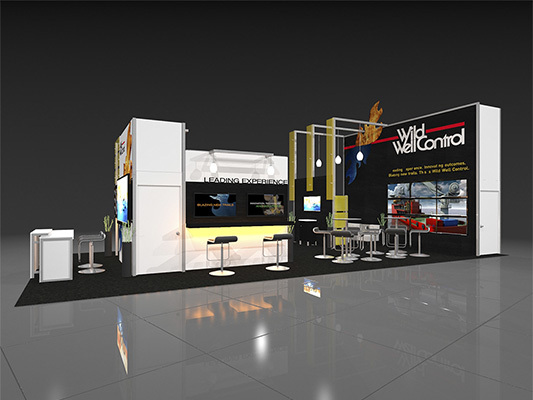 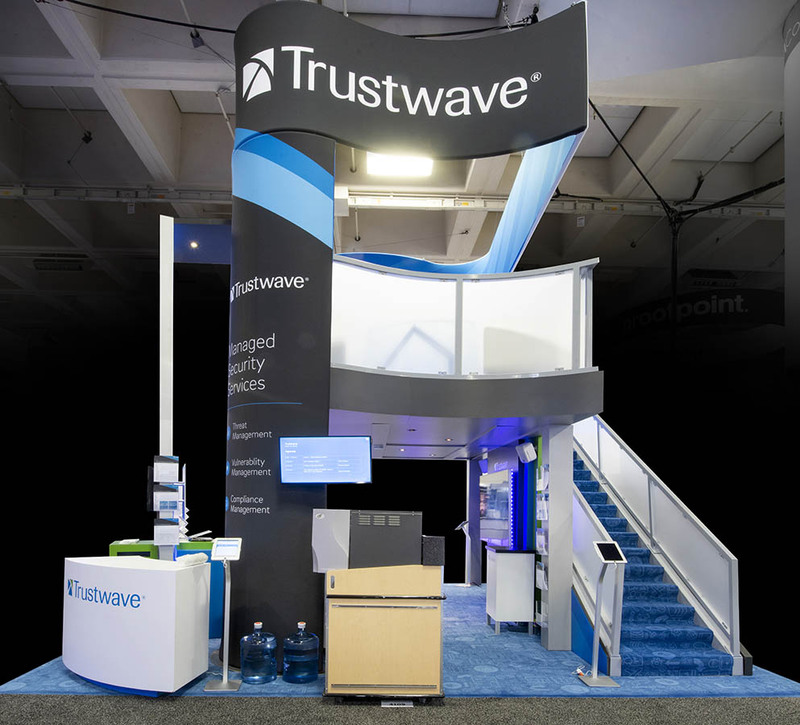 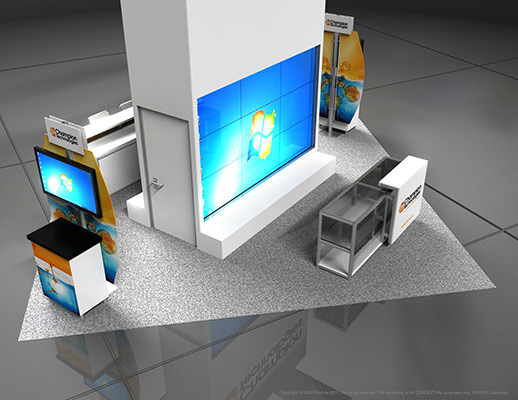 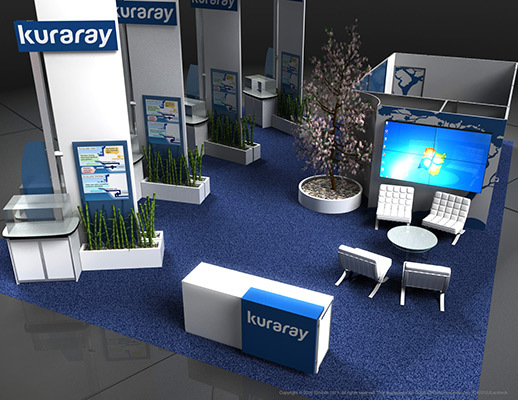 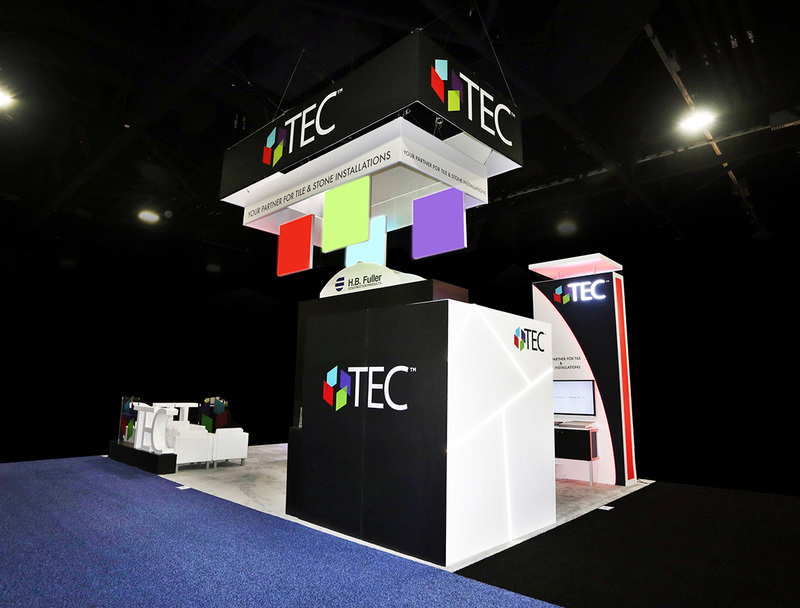 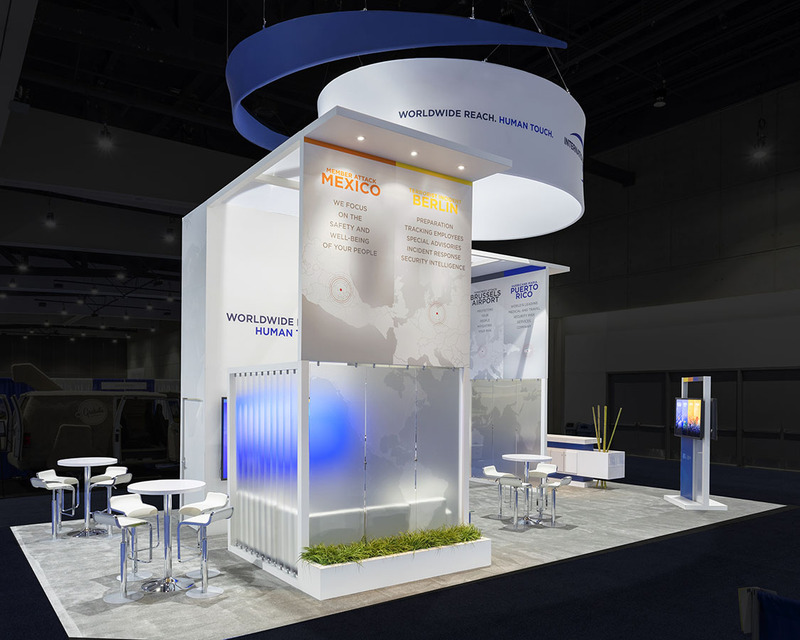 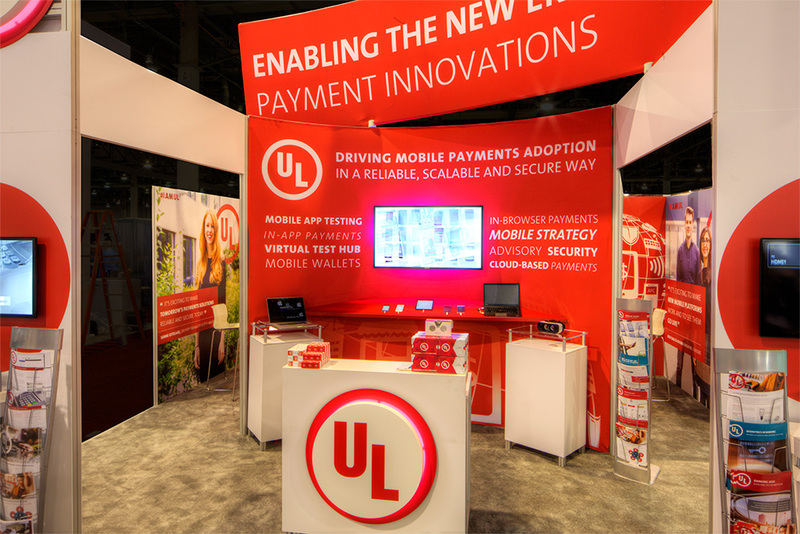 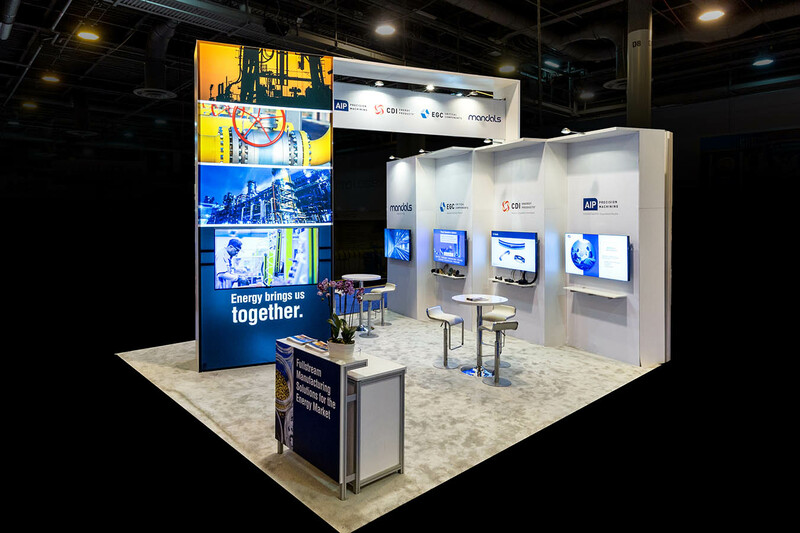 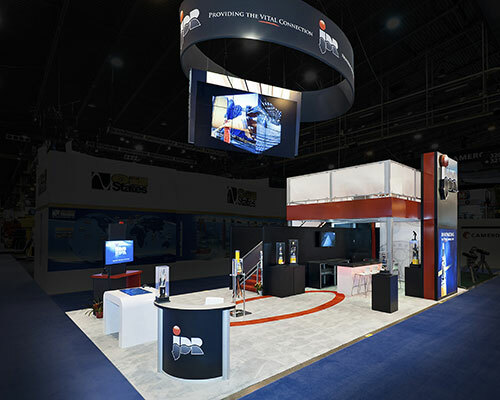 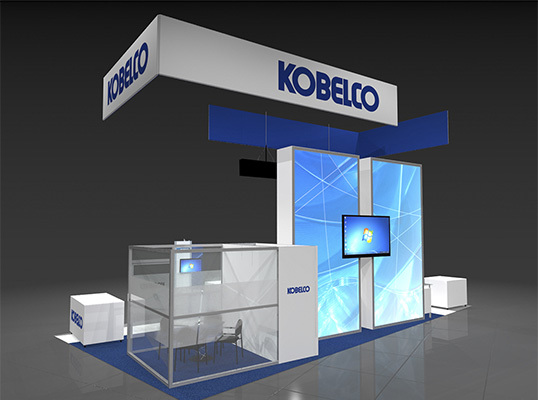 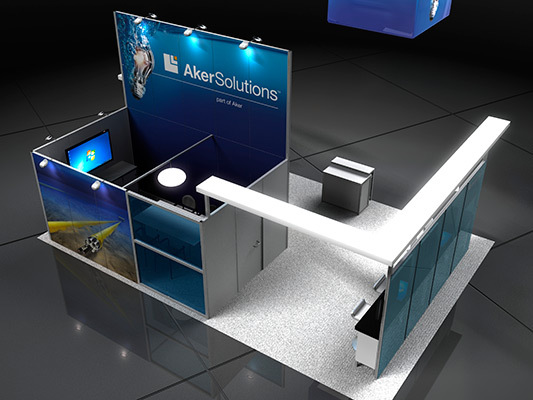 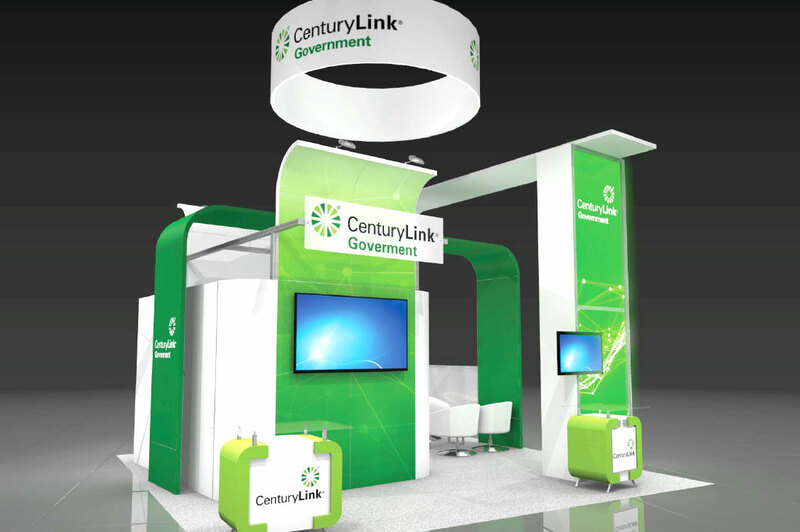 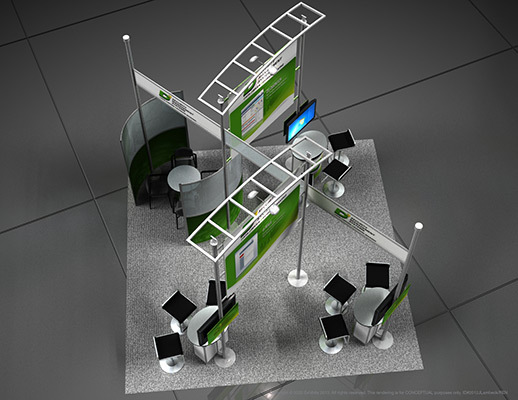 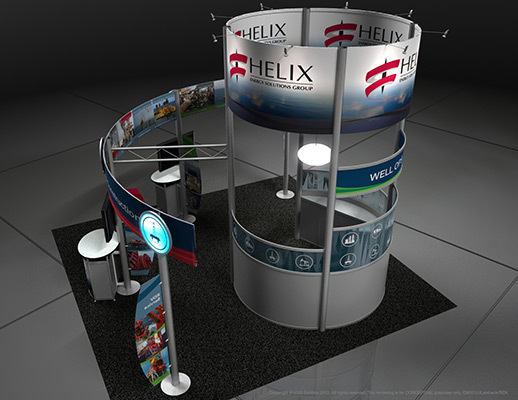 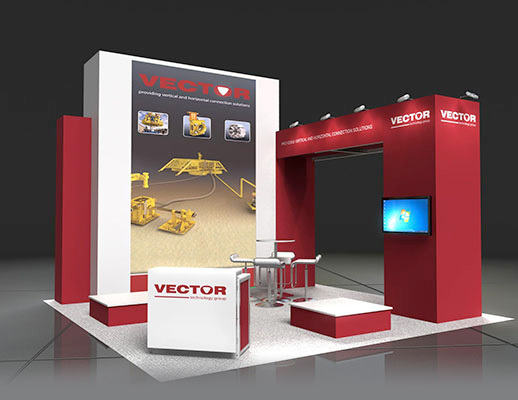 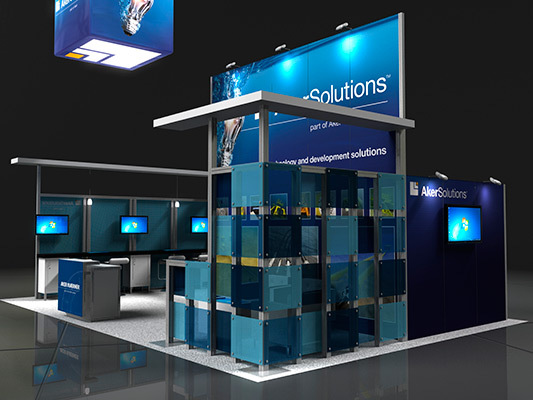 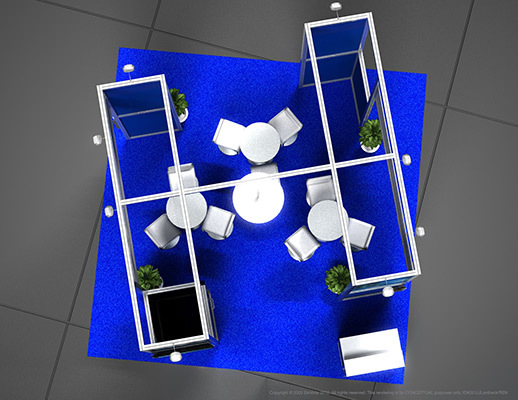 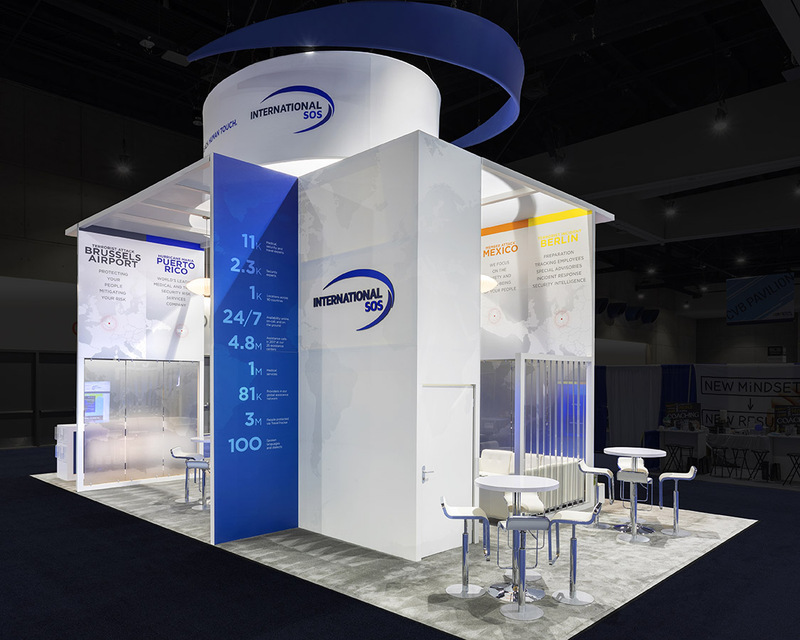 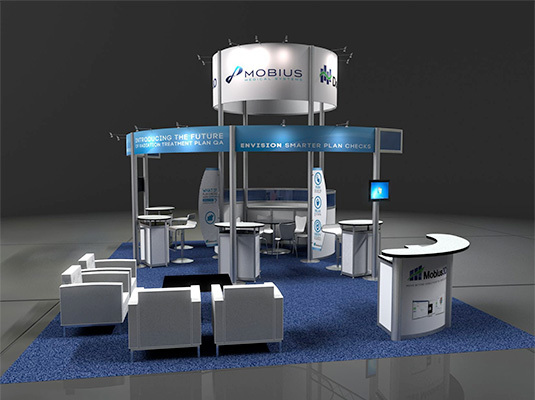 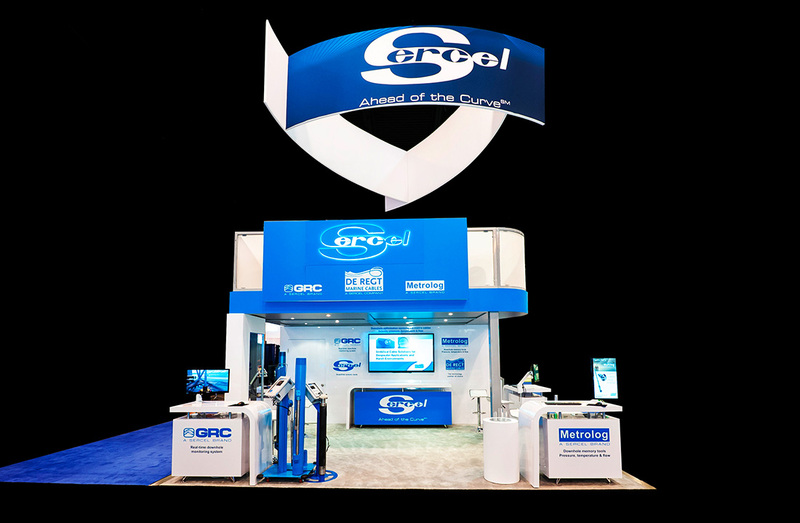 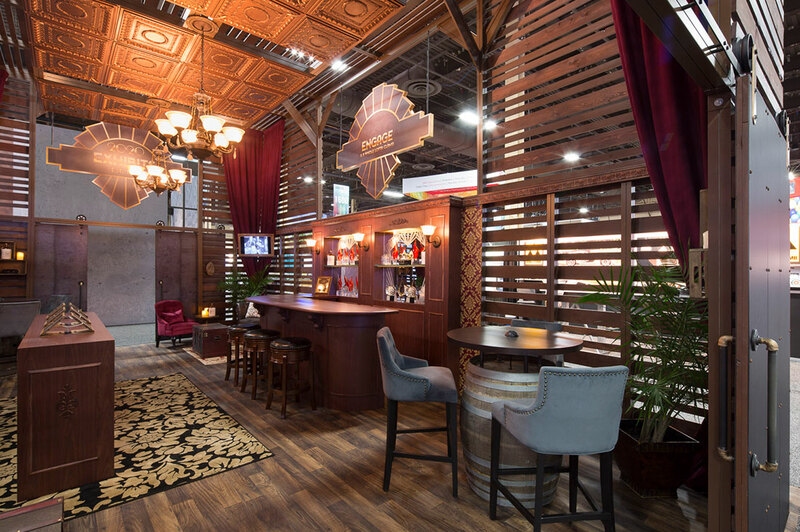 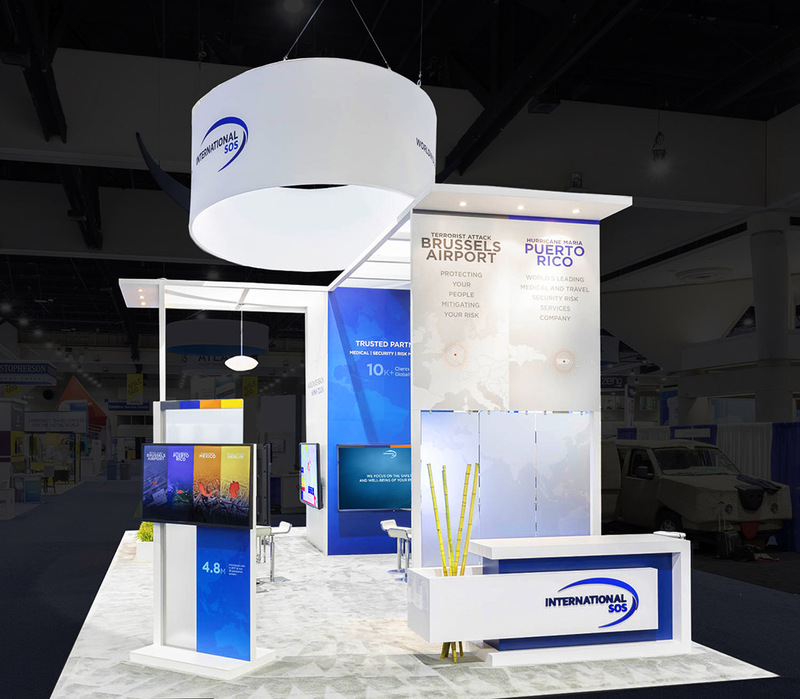 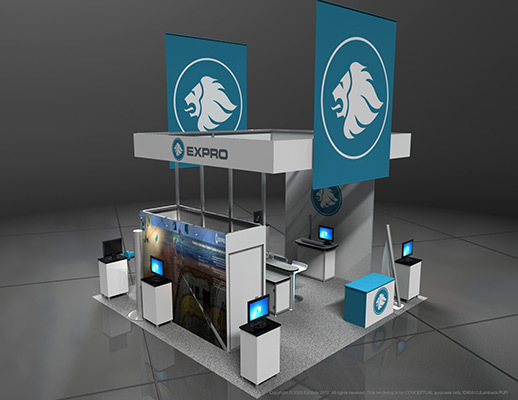 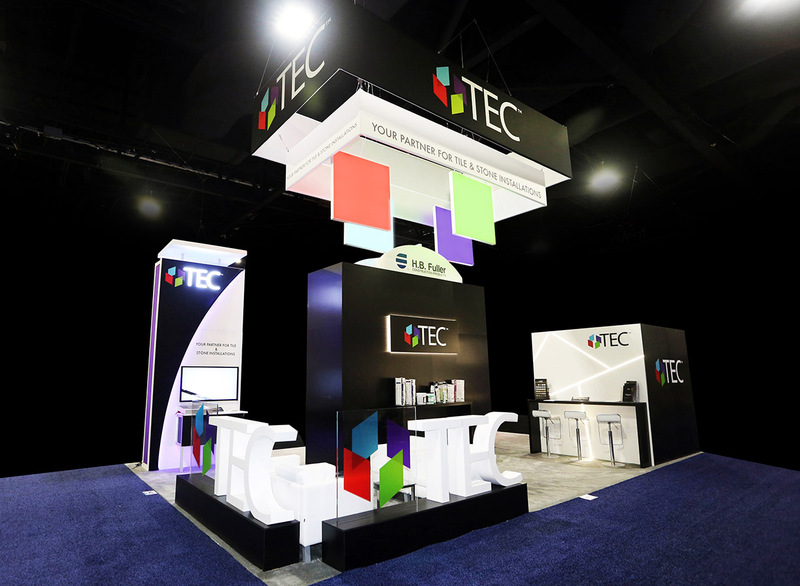 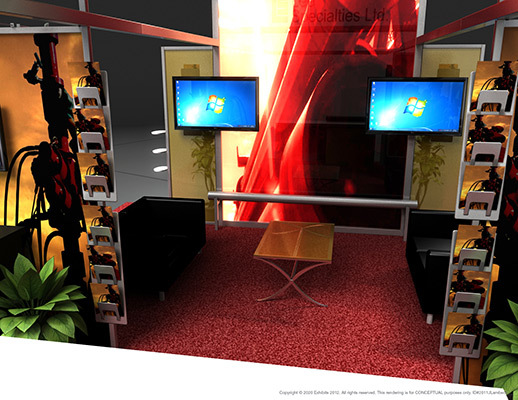 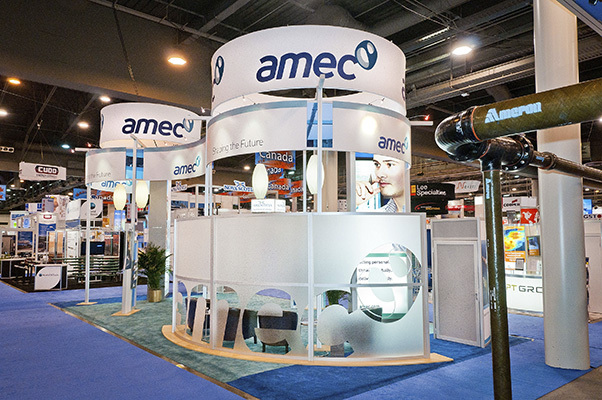 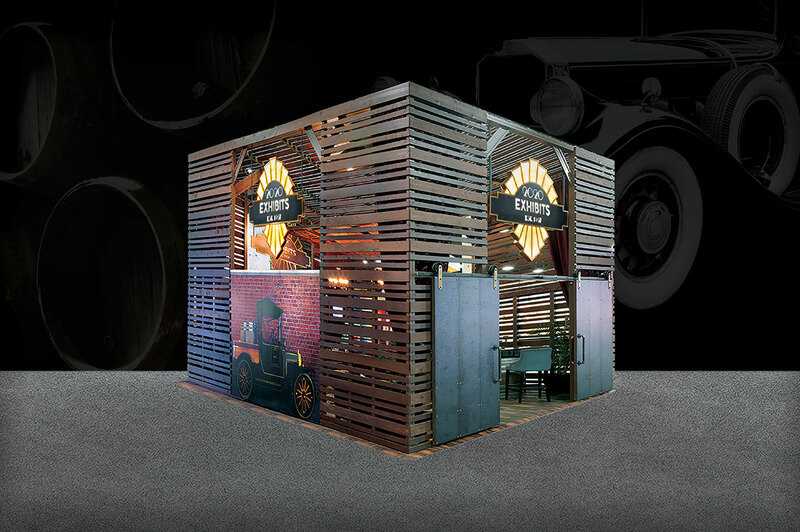 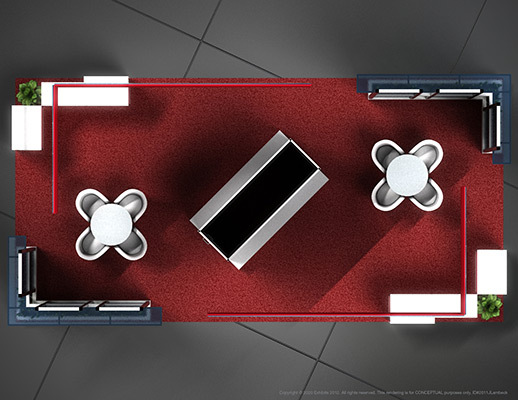 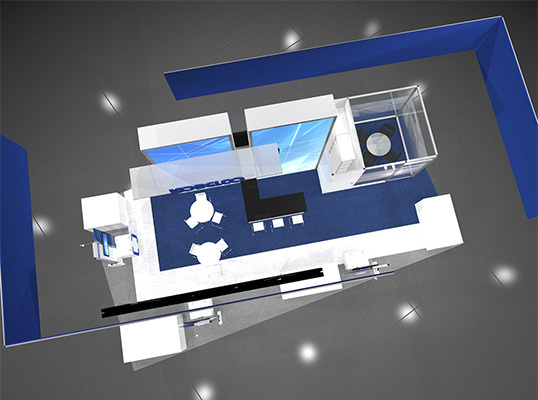 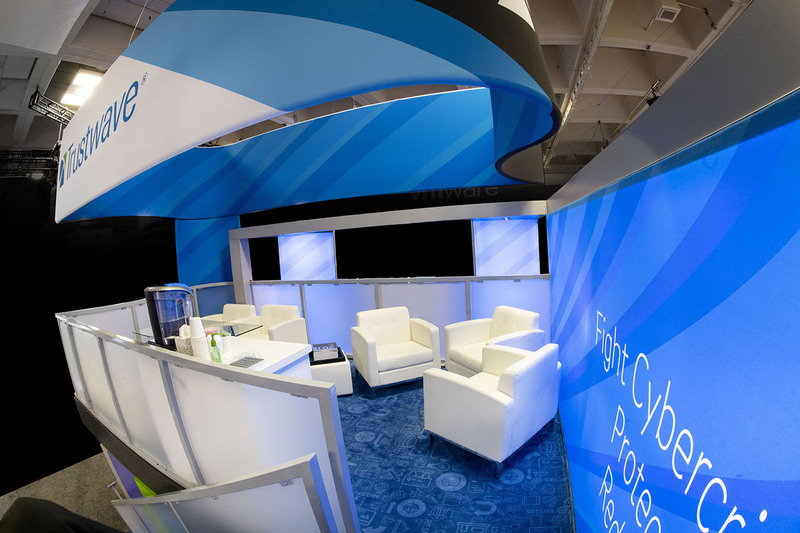 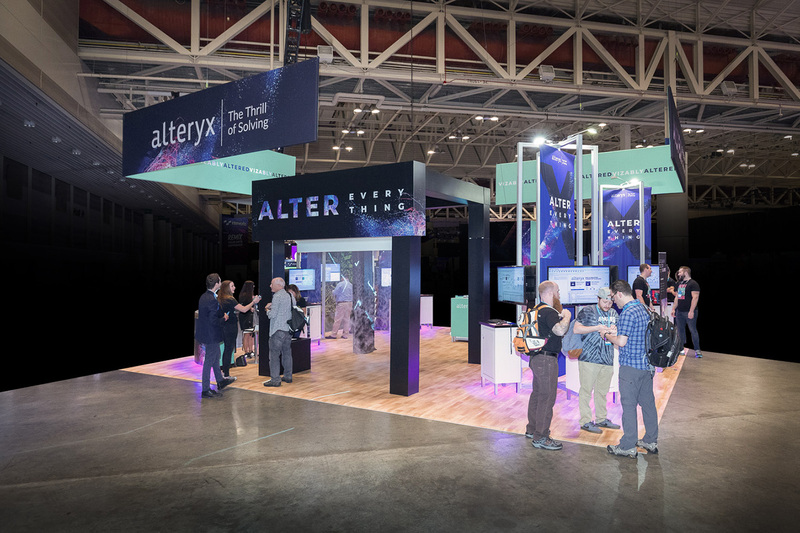 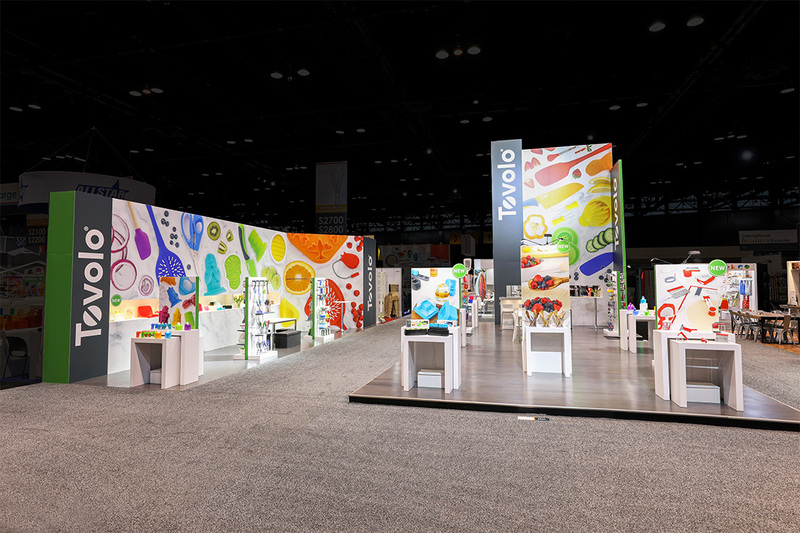 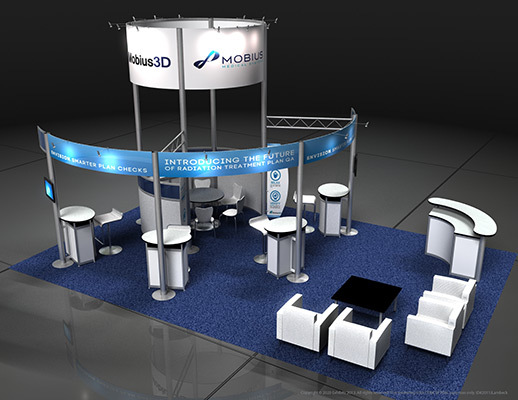 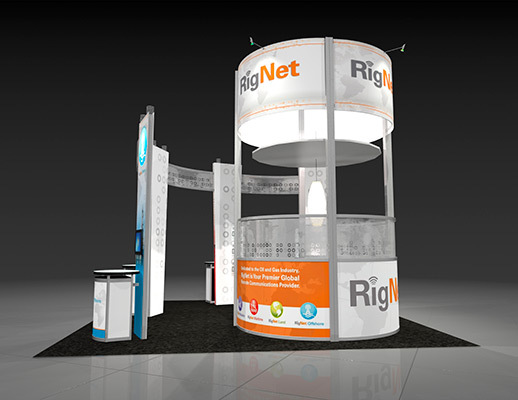 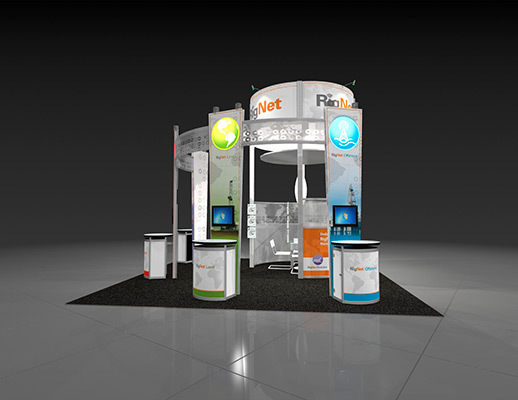 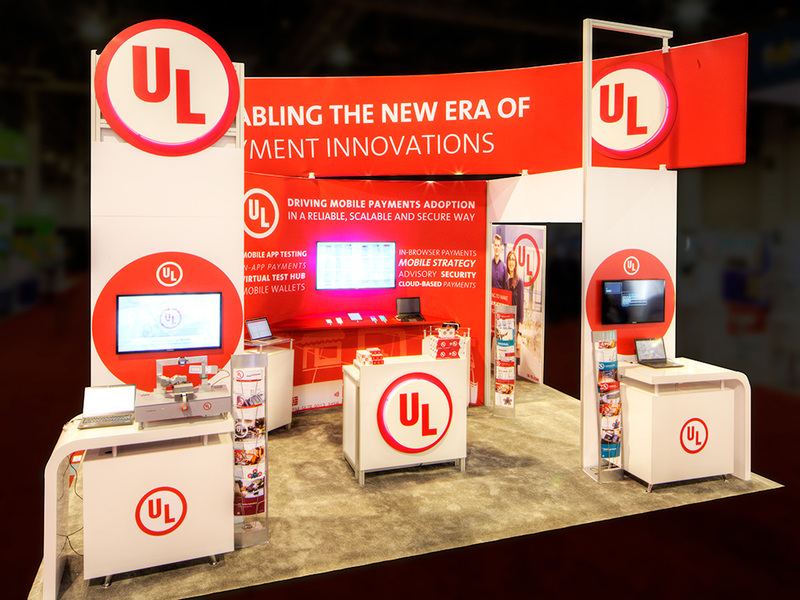 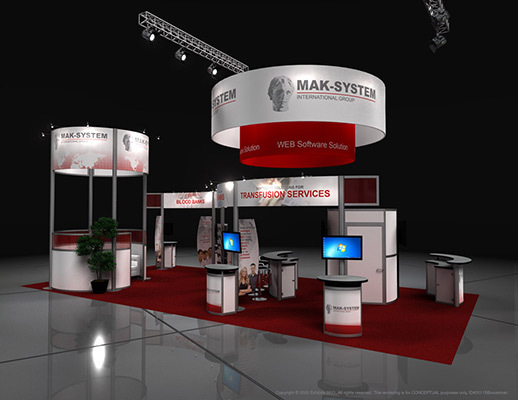 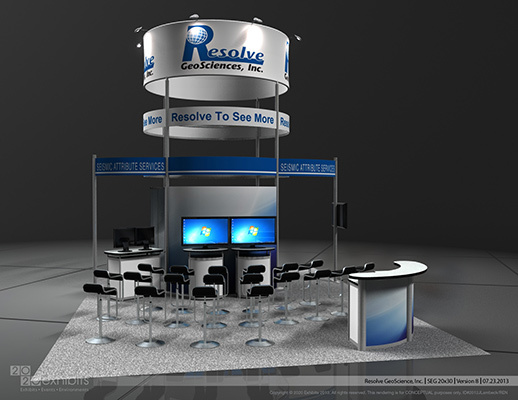 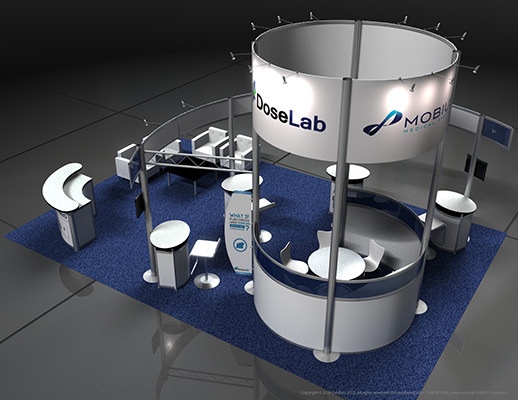 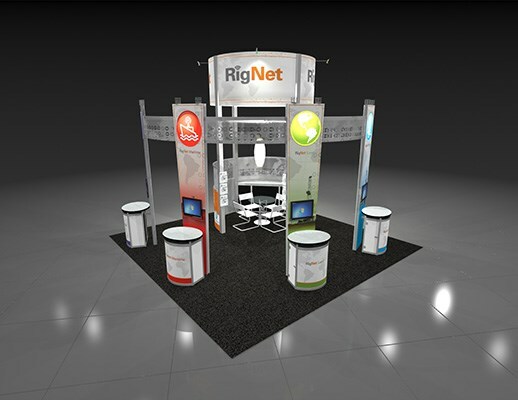 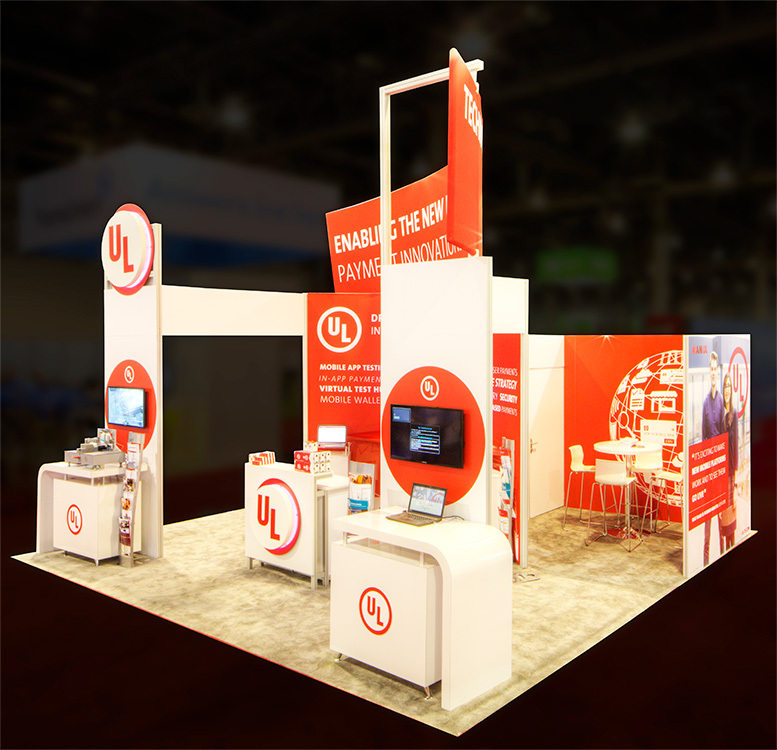 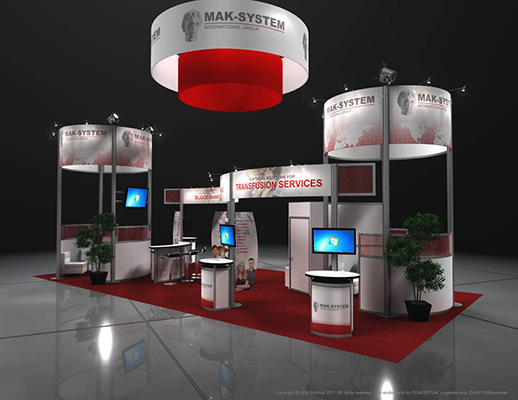 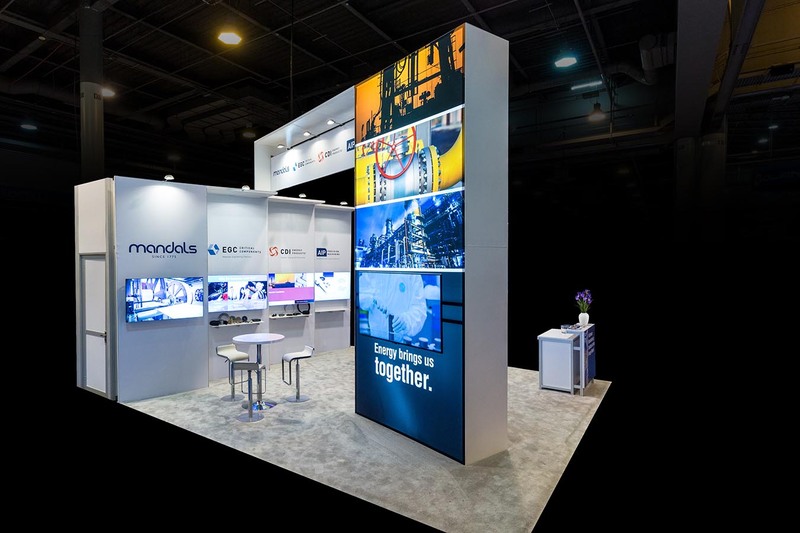 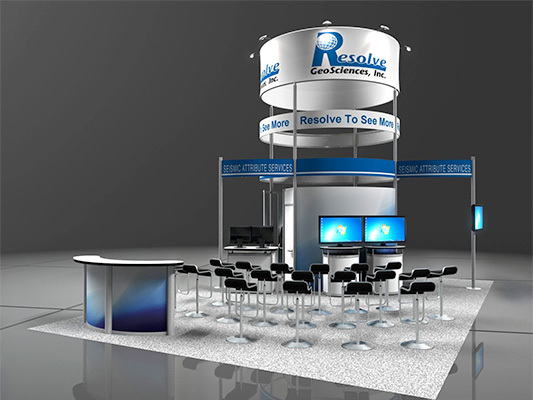 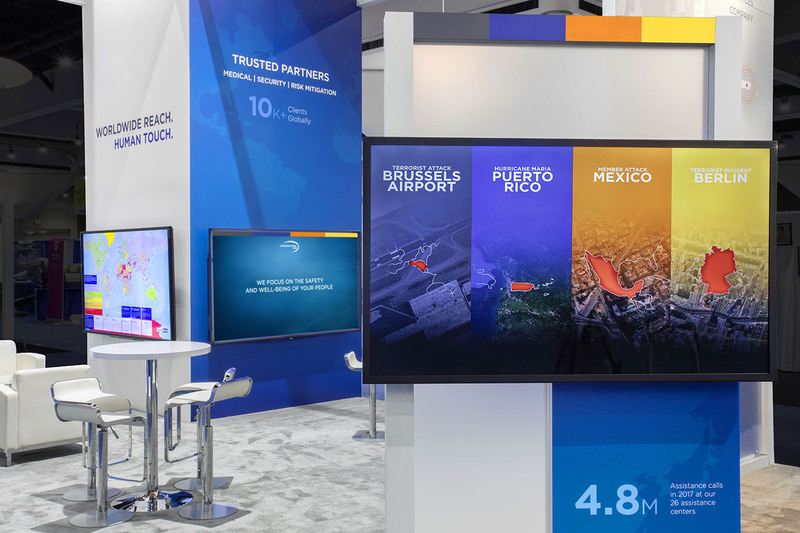 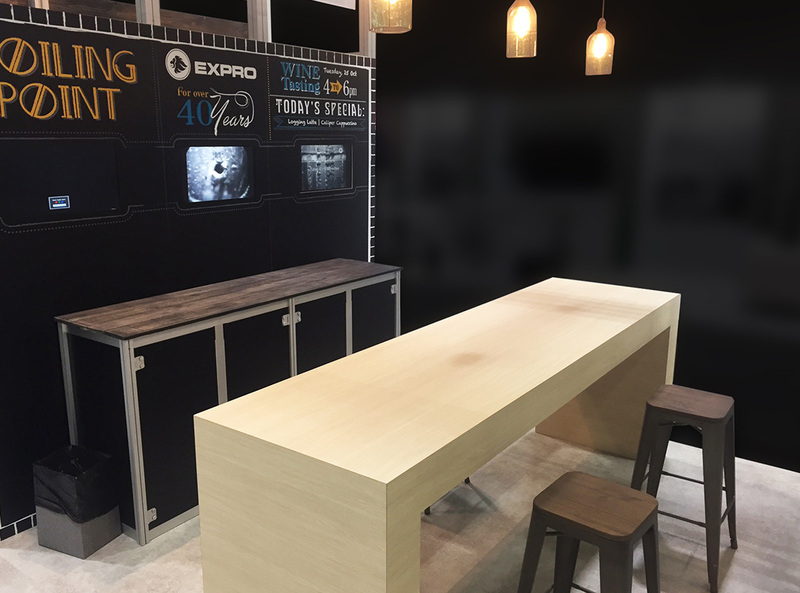 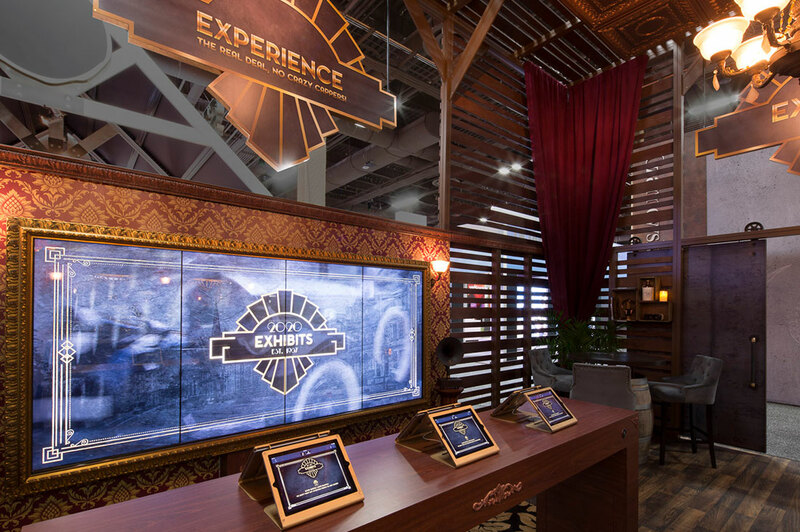 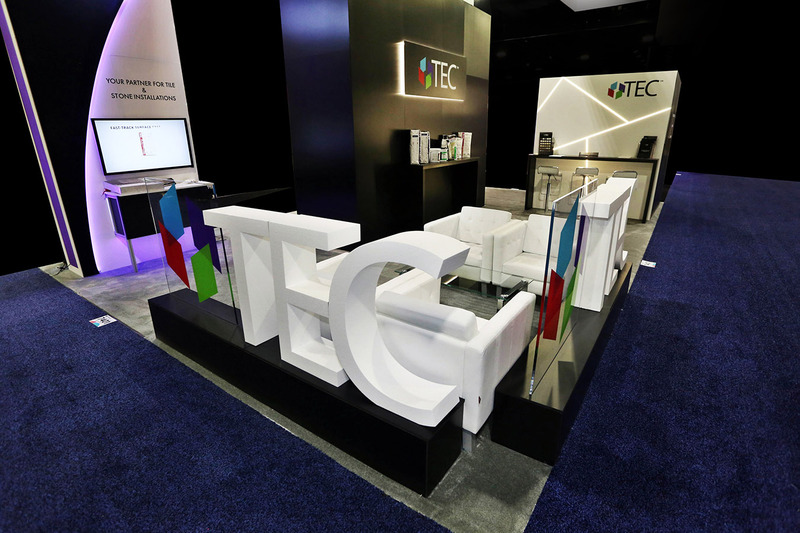 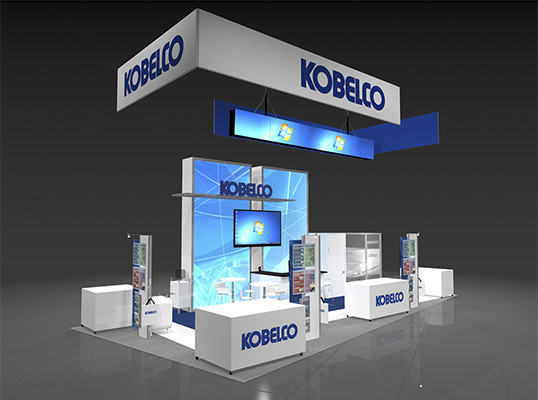 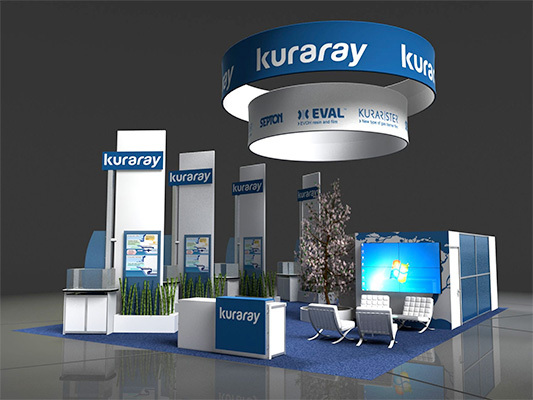 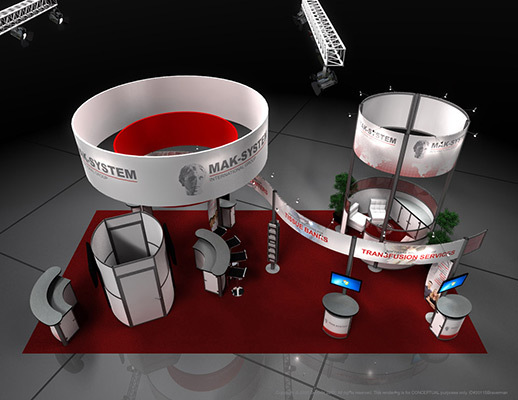 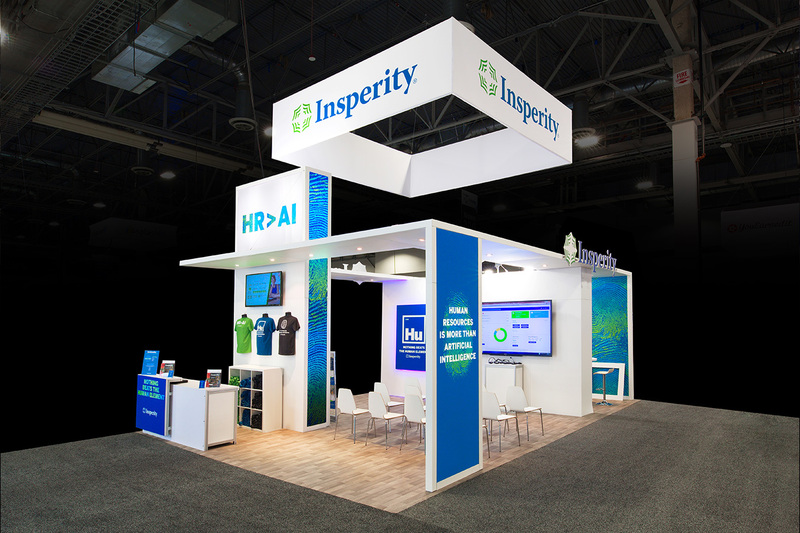 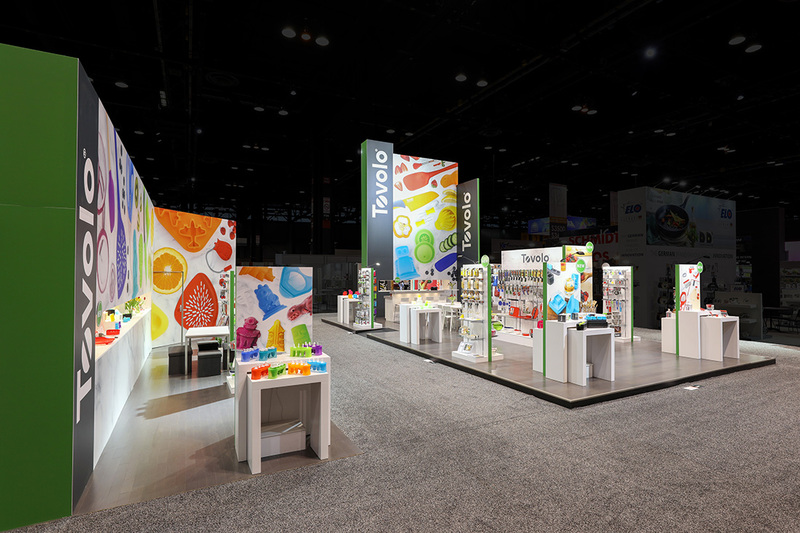 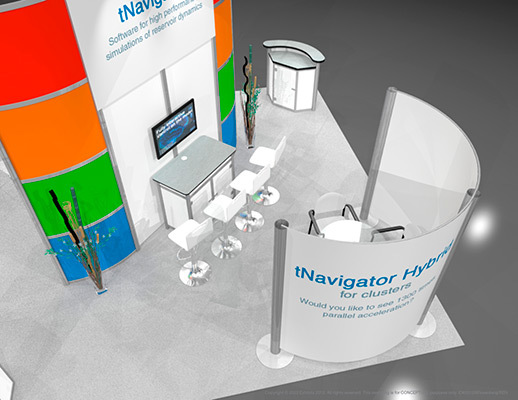 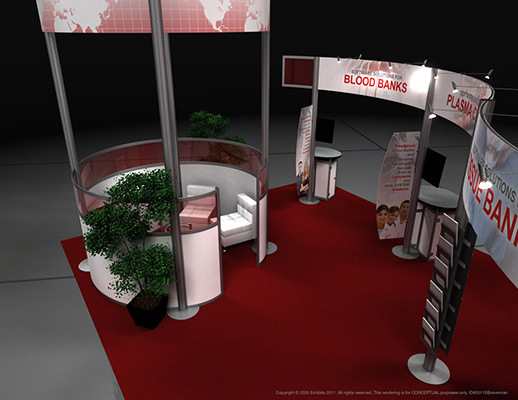 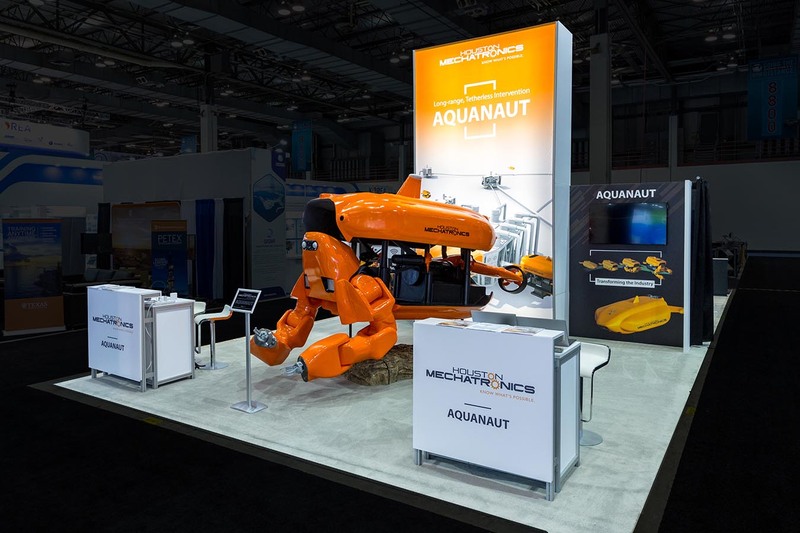 Strong color scheme and plenty of maneuverability make the booth feel very accessible. 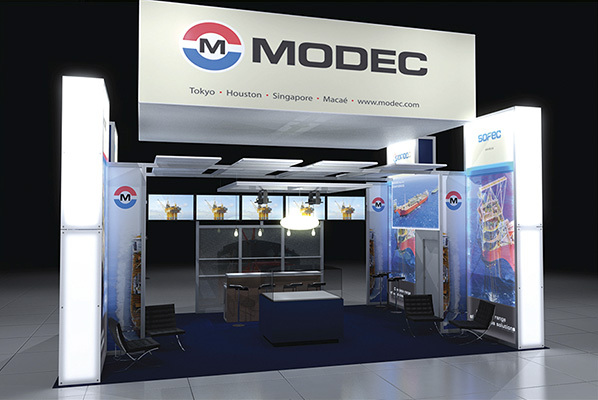 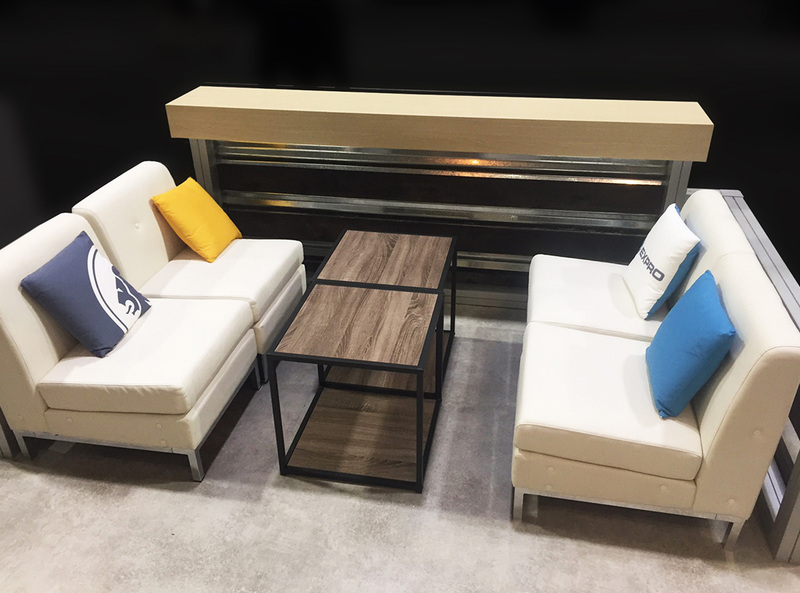 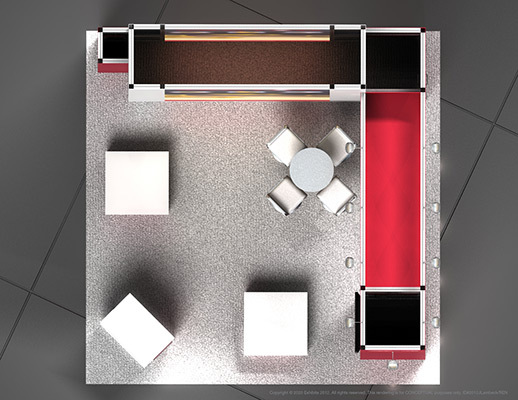 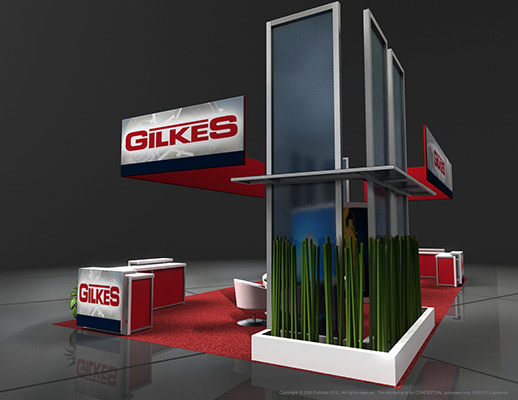 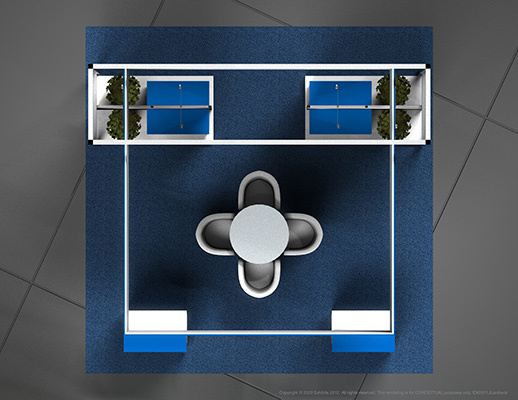 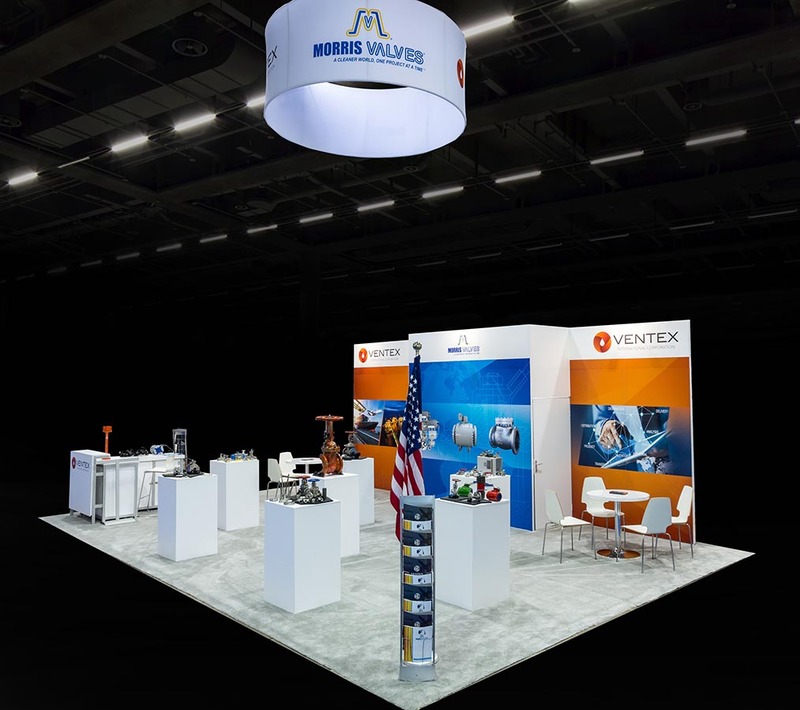 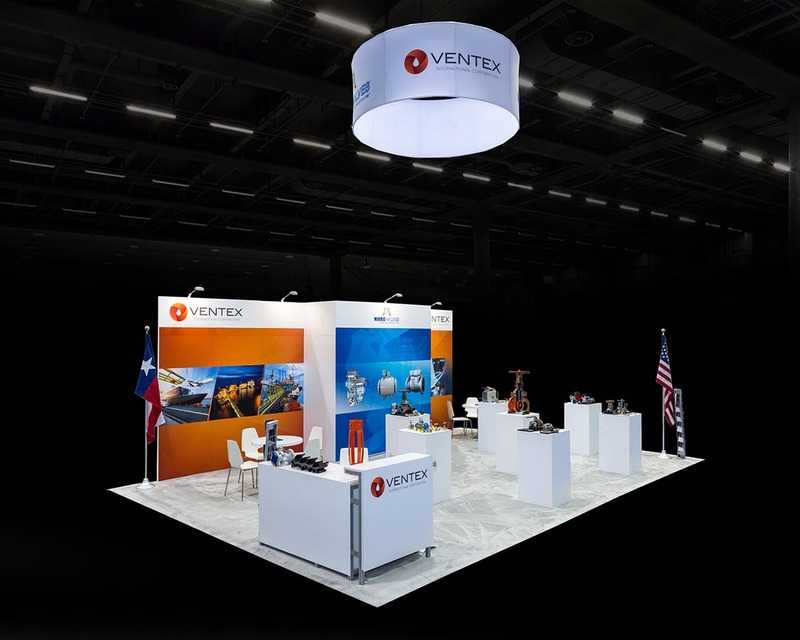 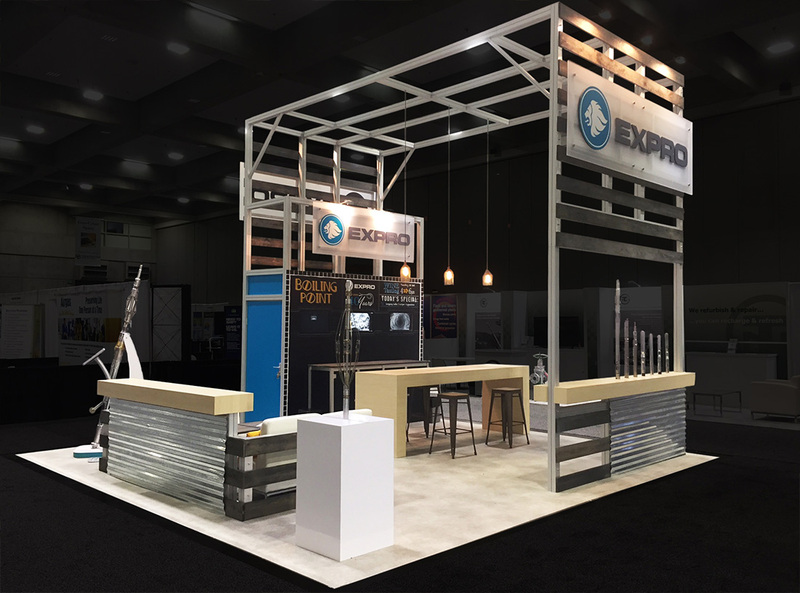 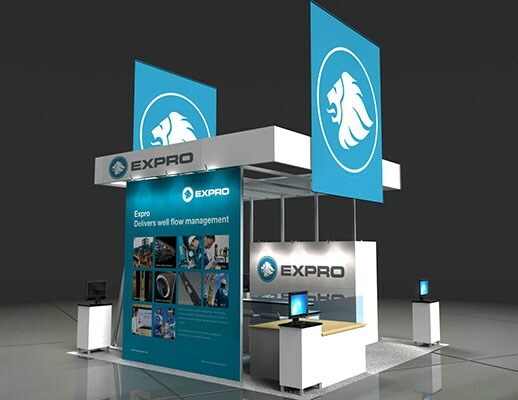 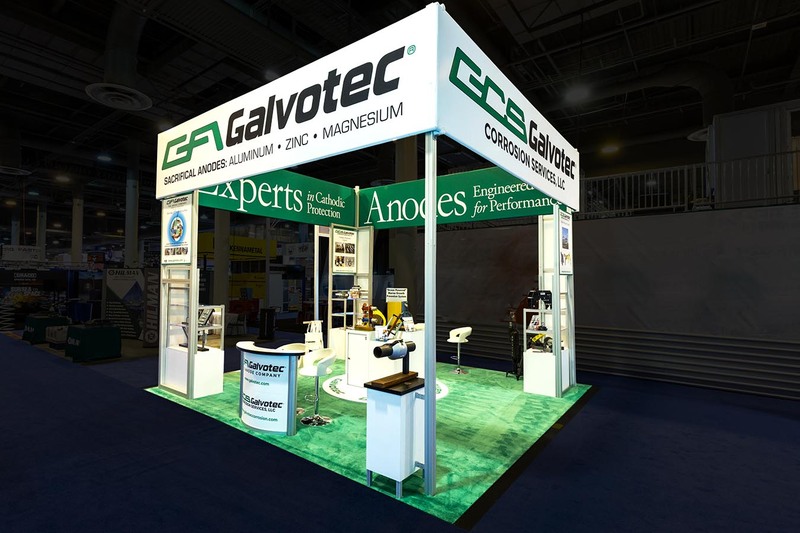 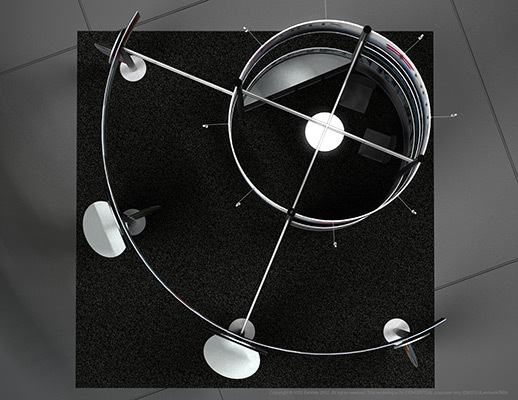 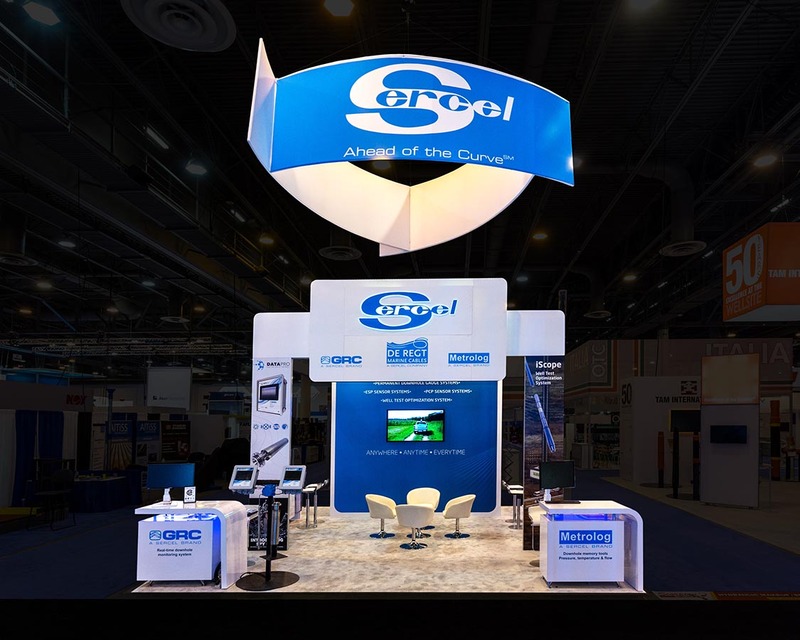 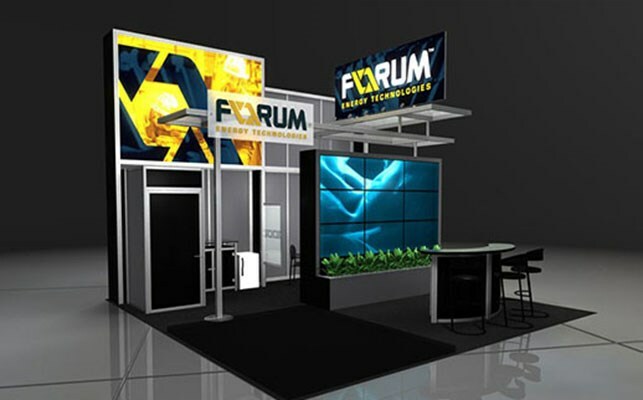 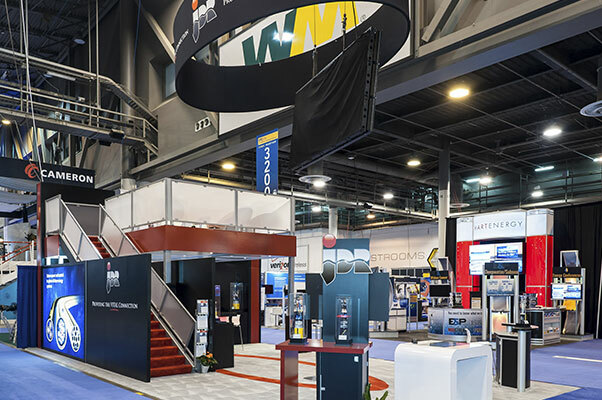 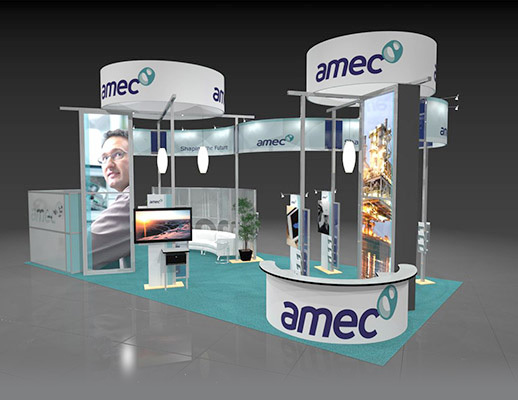 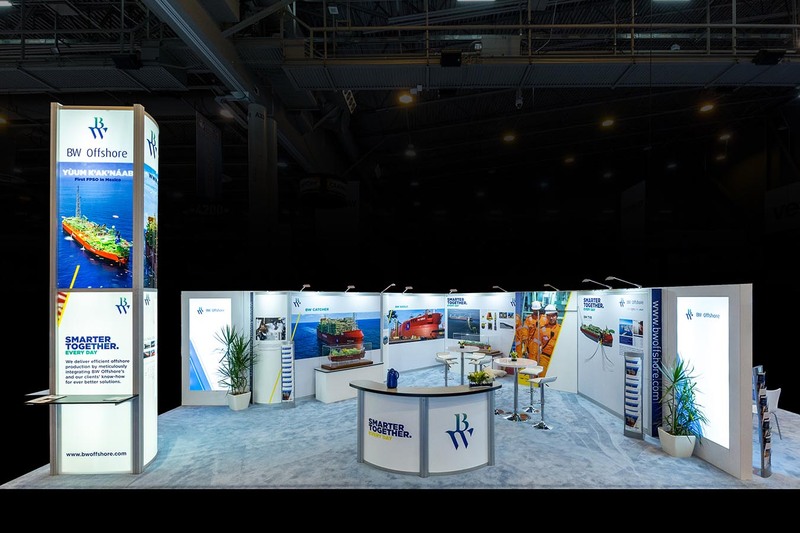 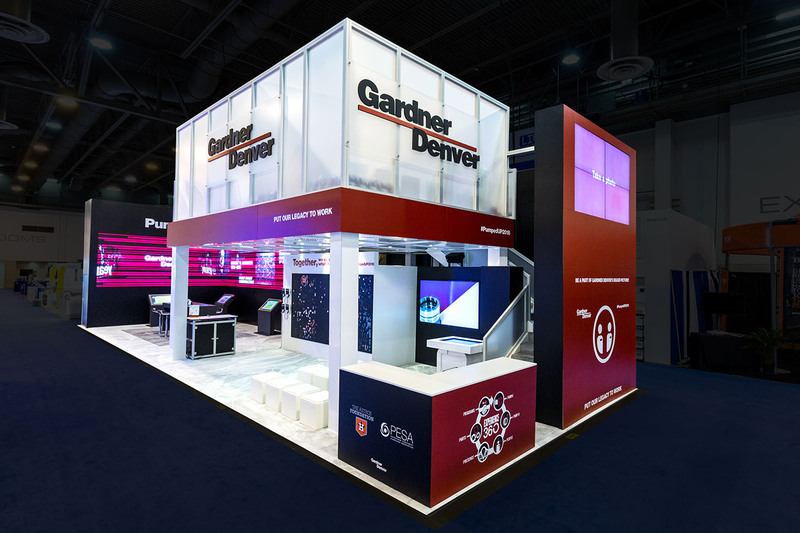 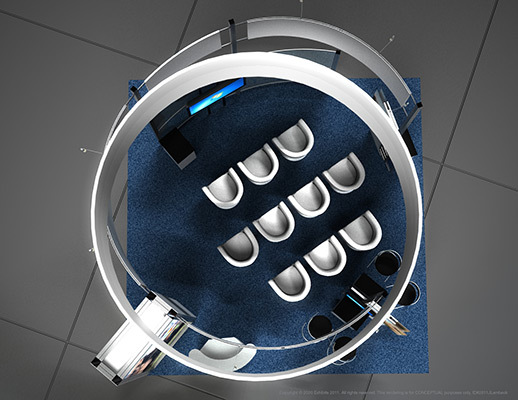 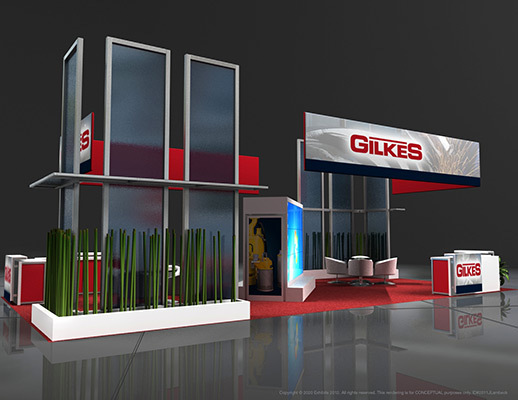 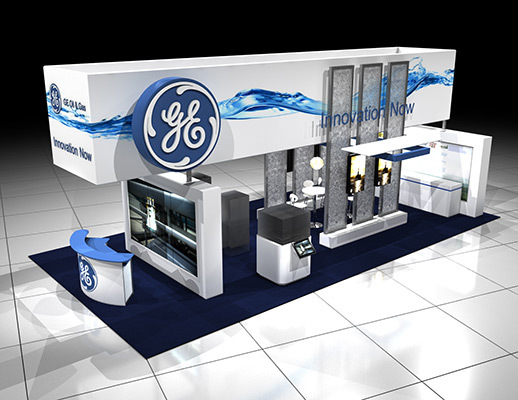 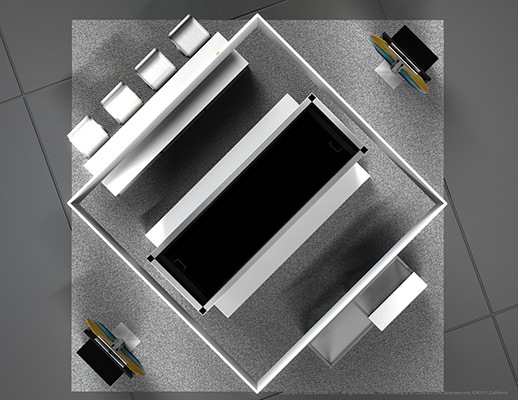 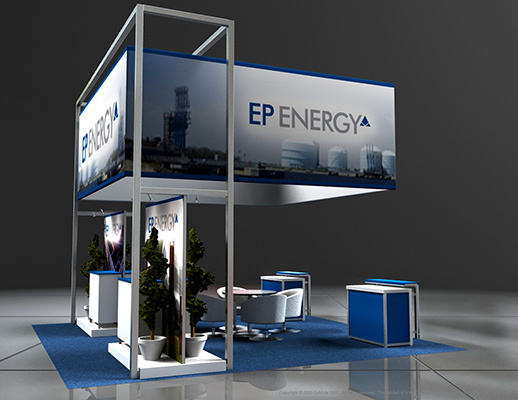 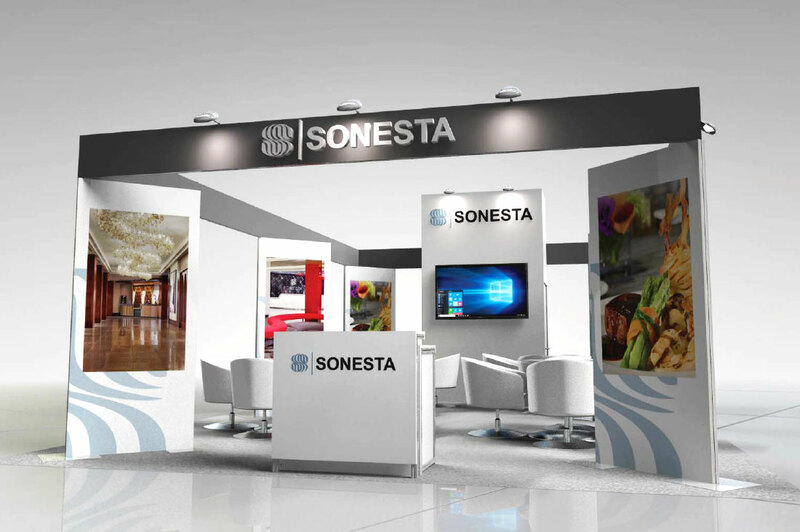 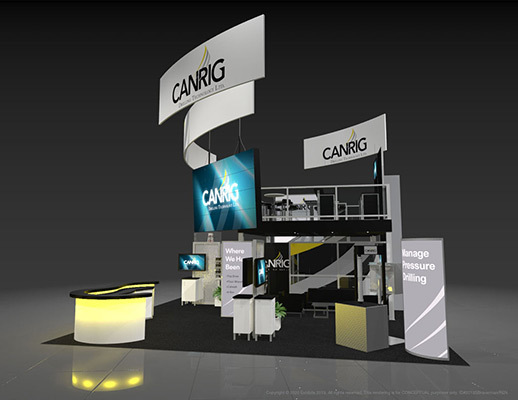 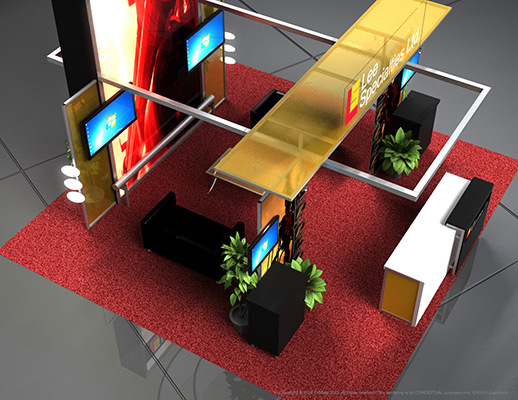 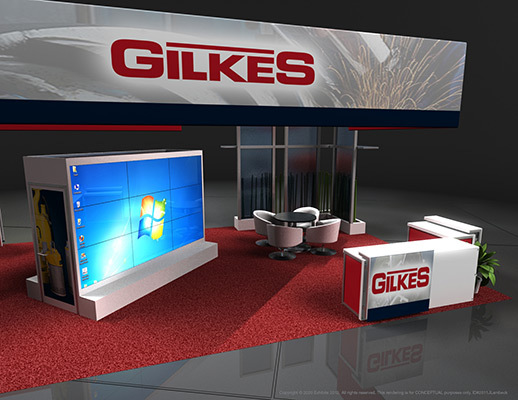 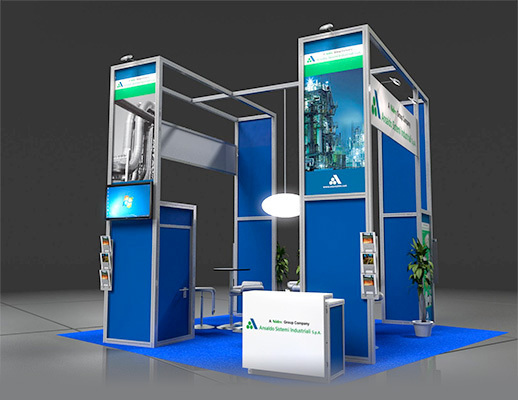 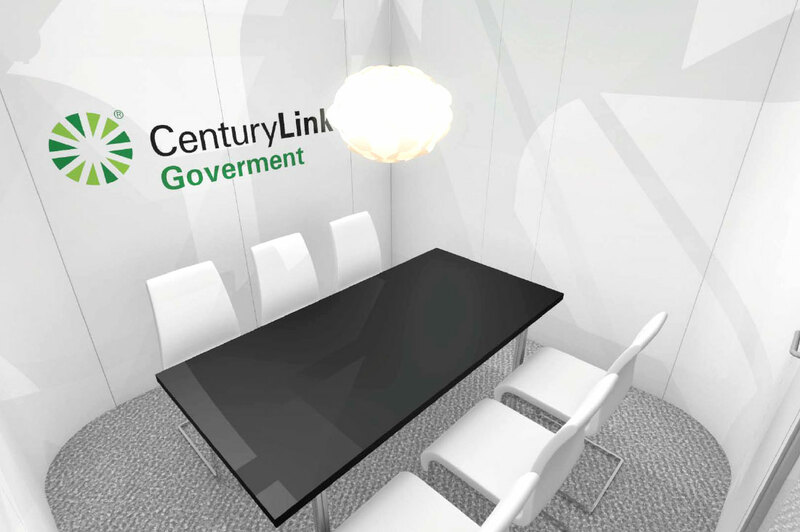 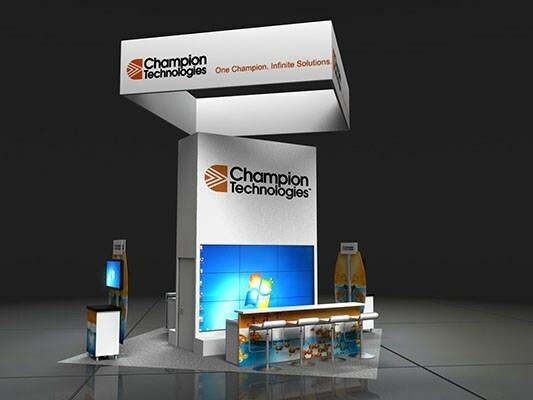 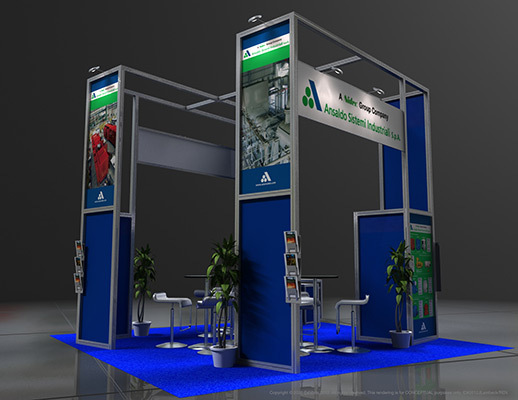 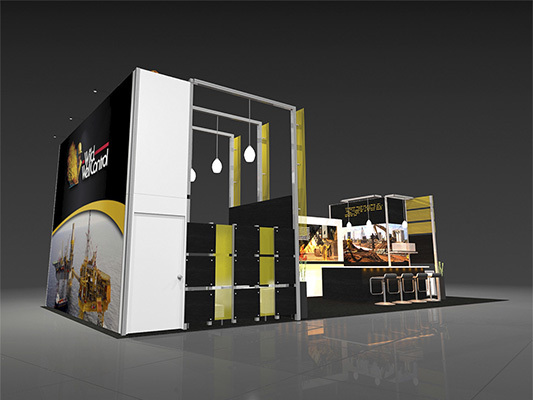 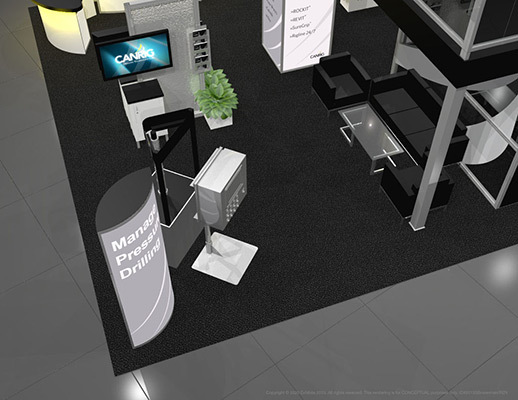 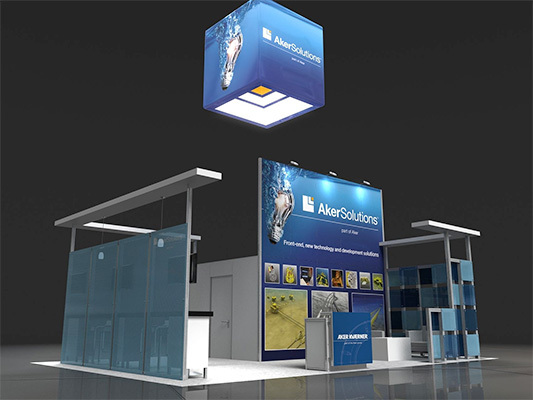 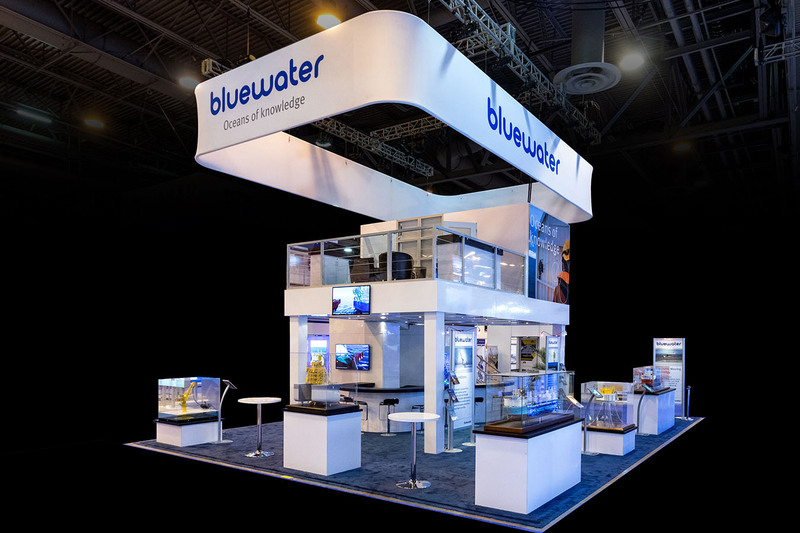 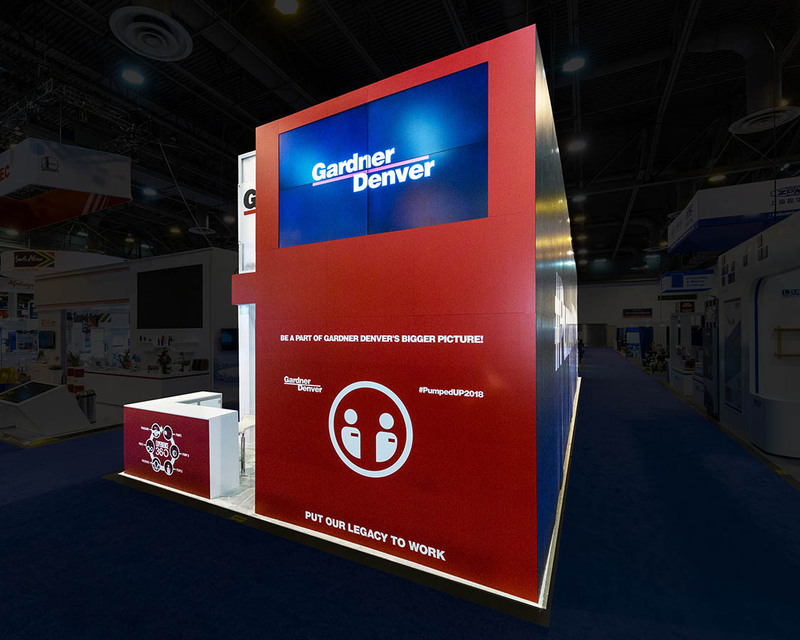 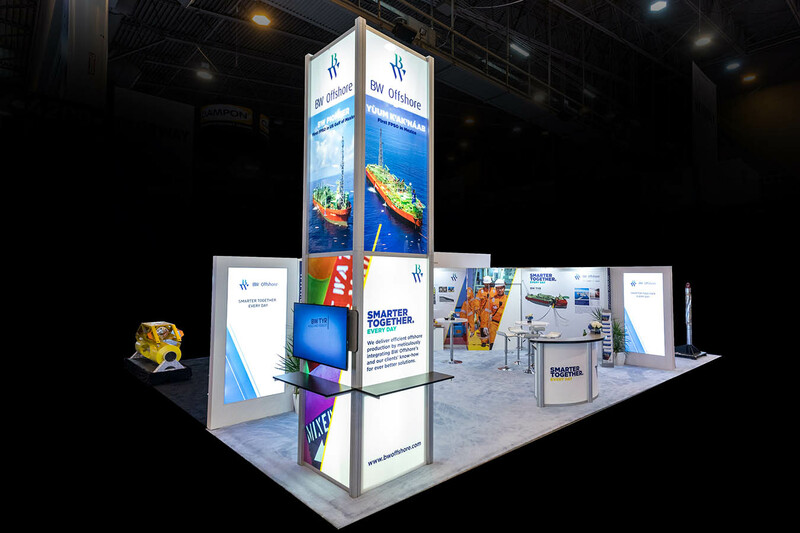 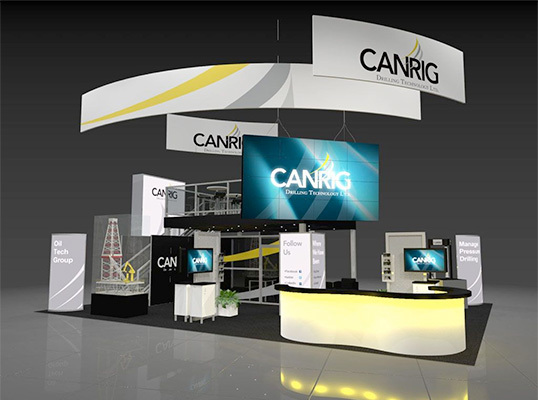 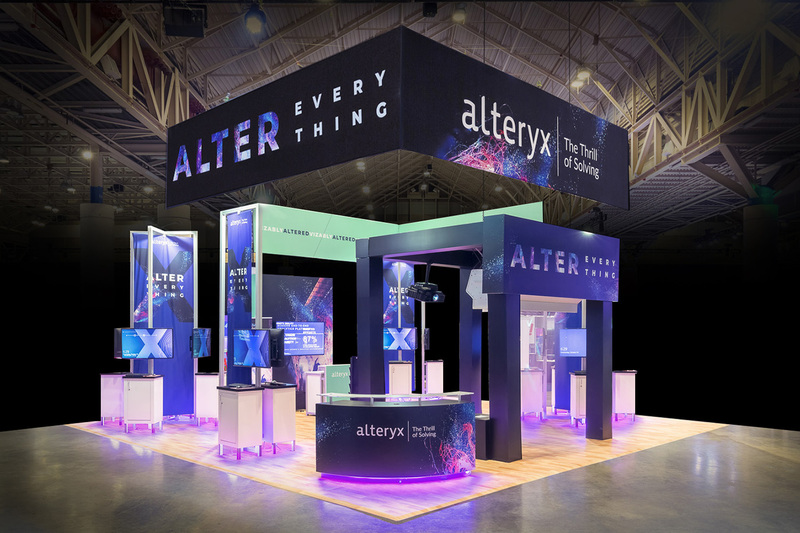 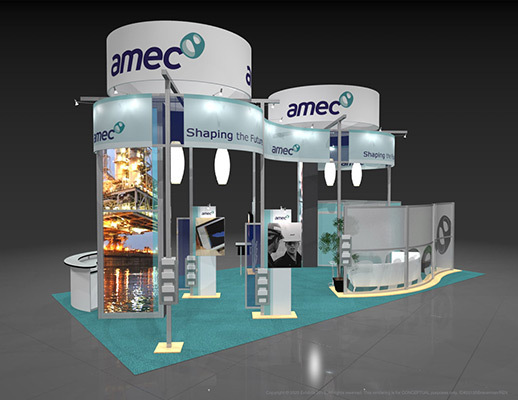 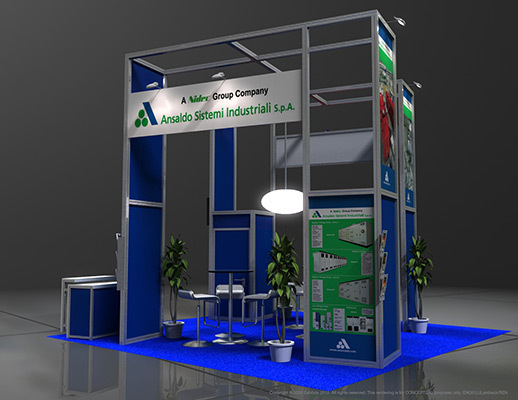 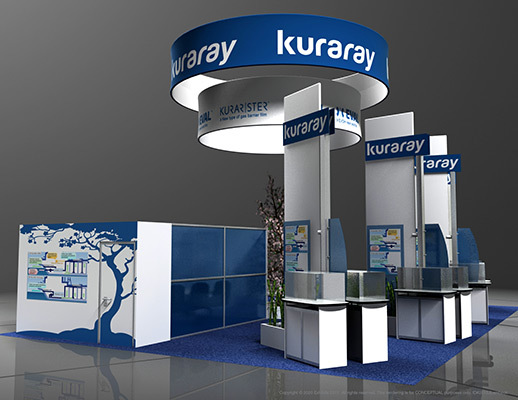 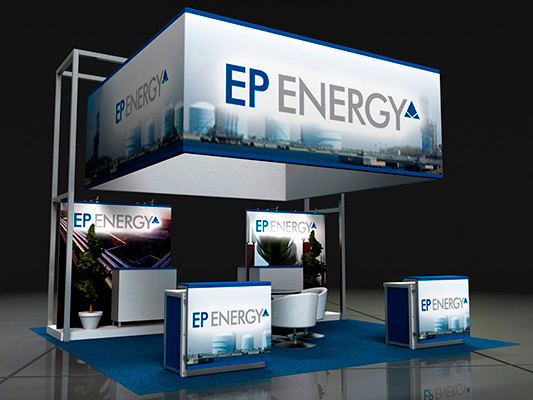 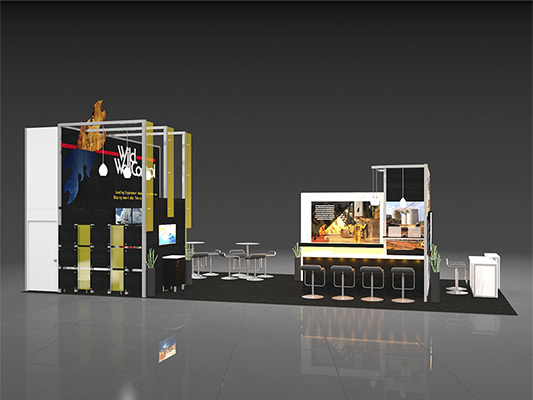 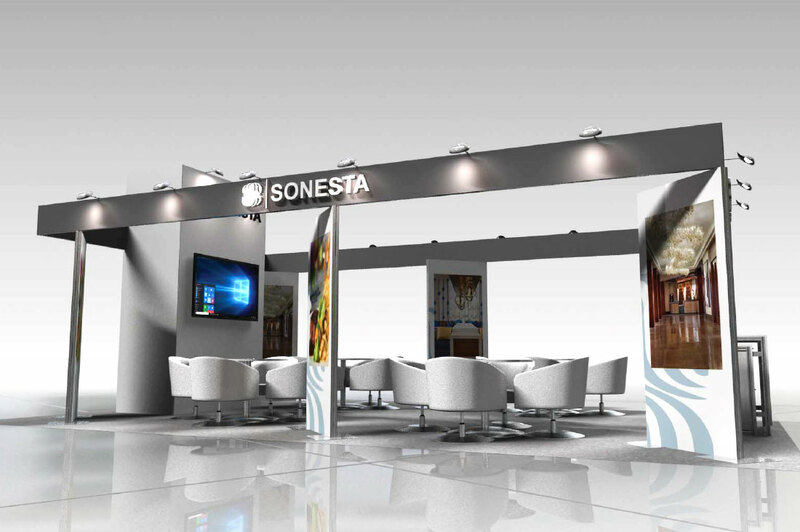 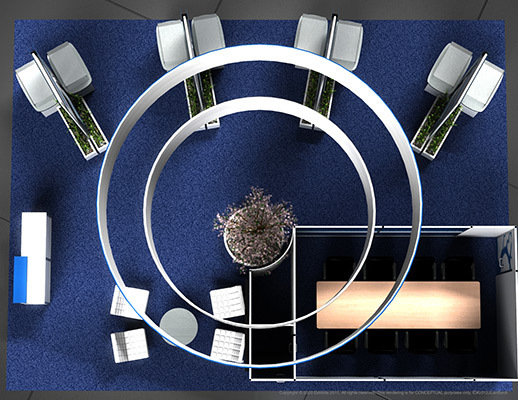 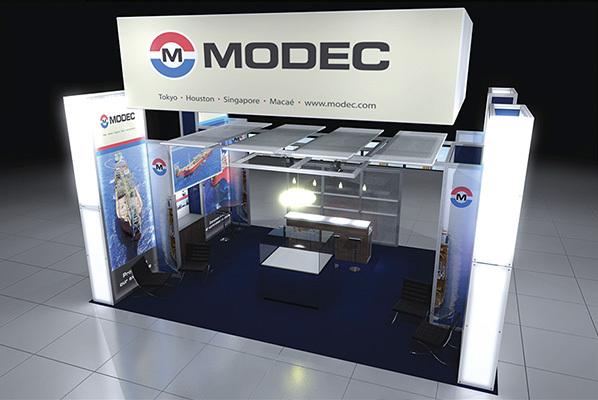 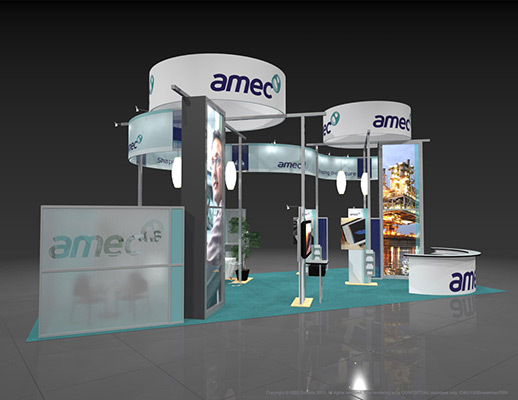 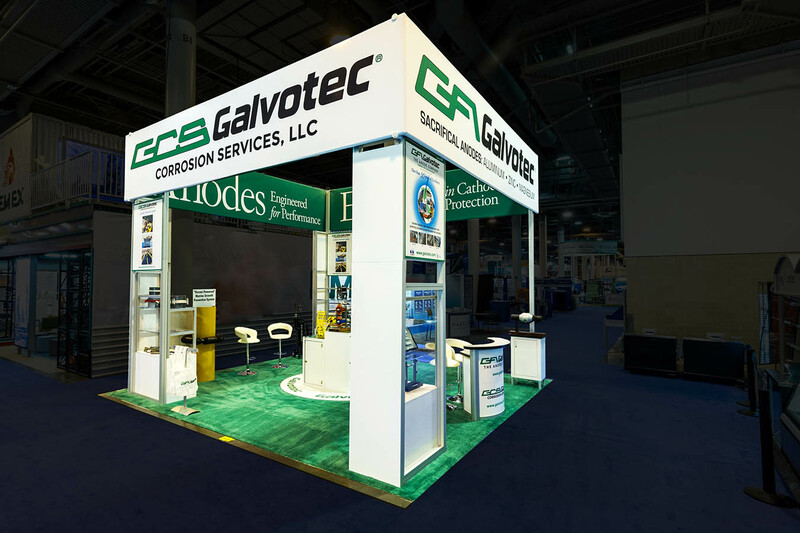 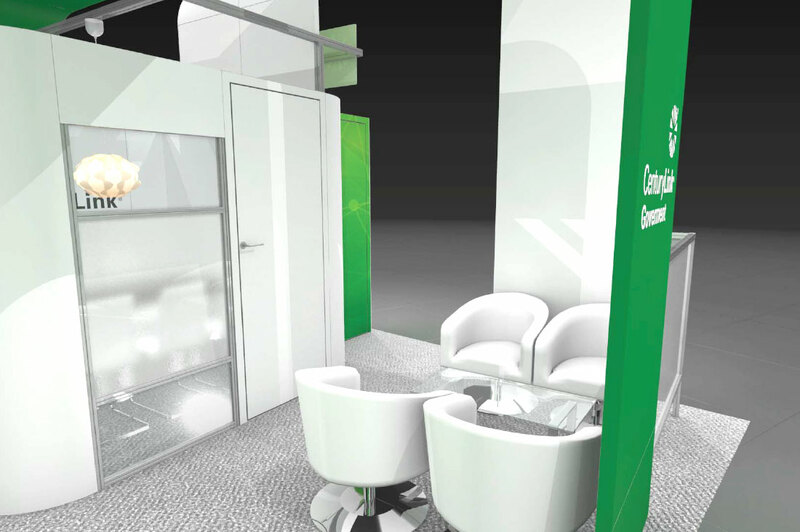 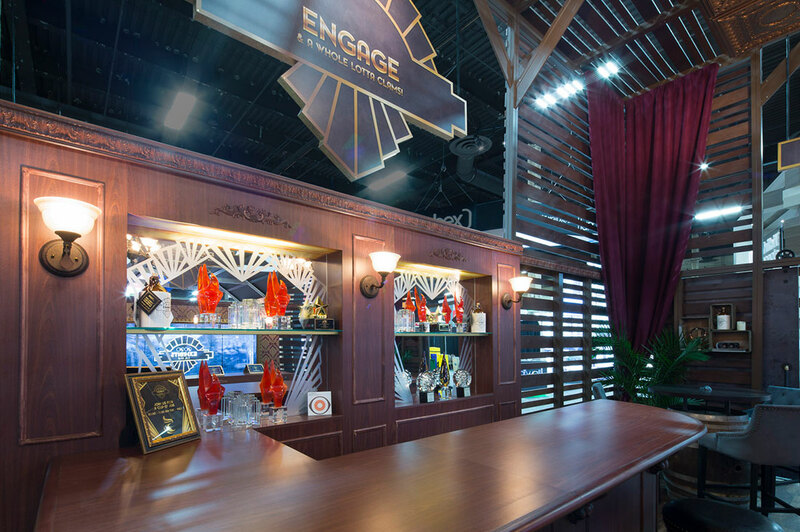 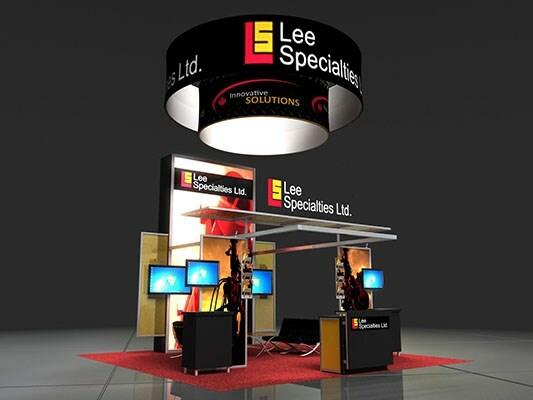 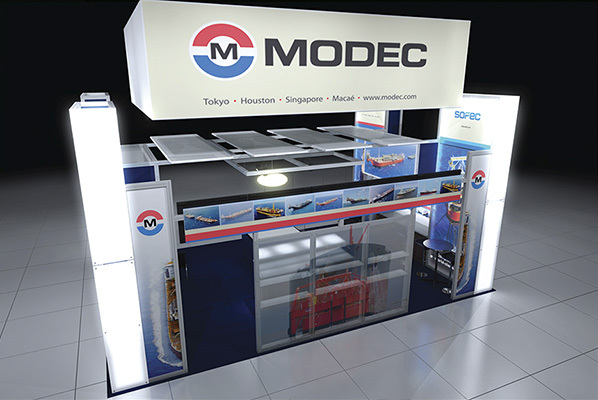 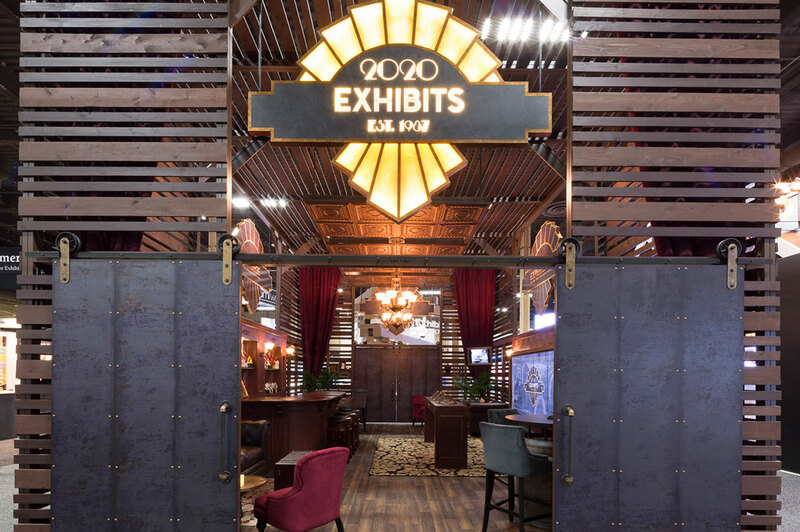 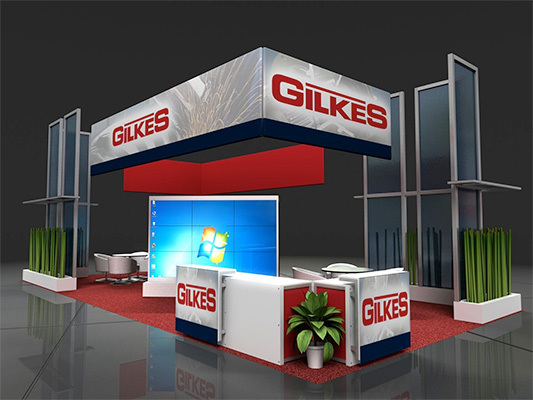 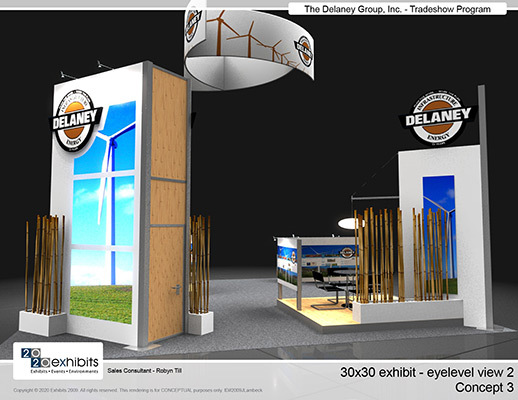 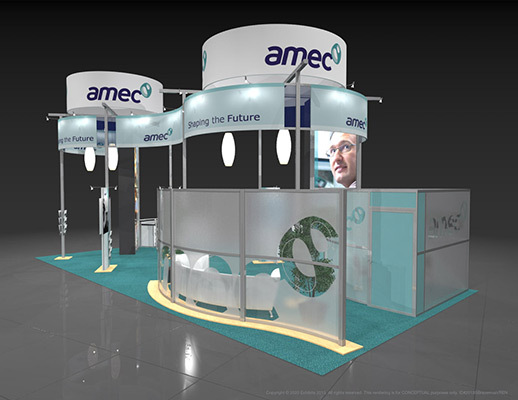 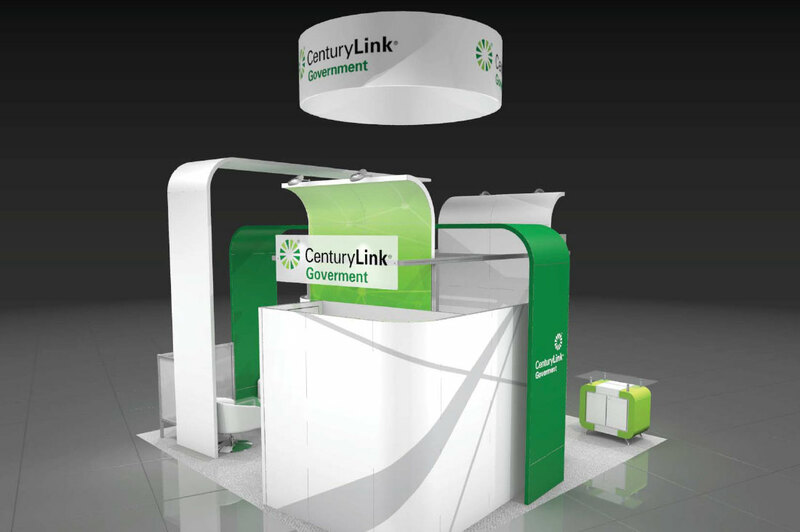 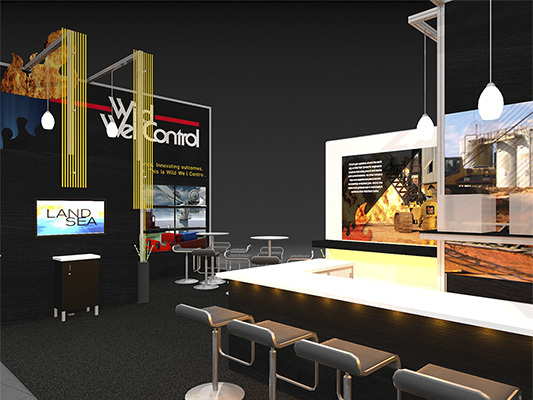 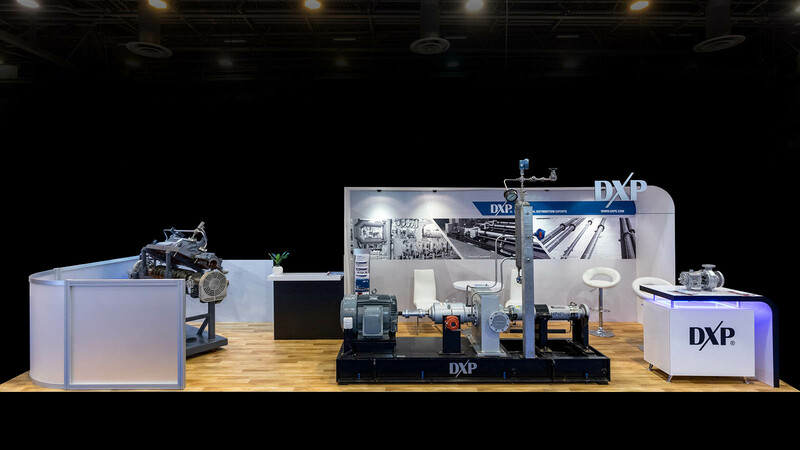 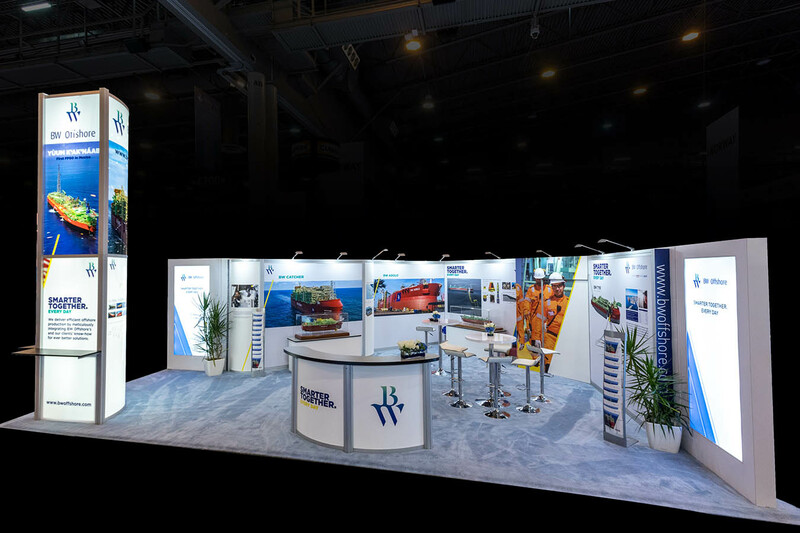 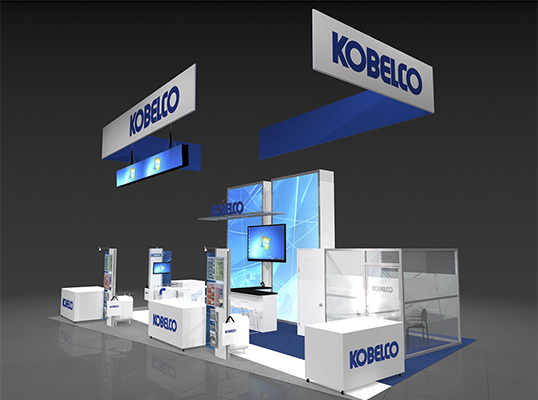 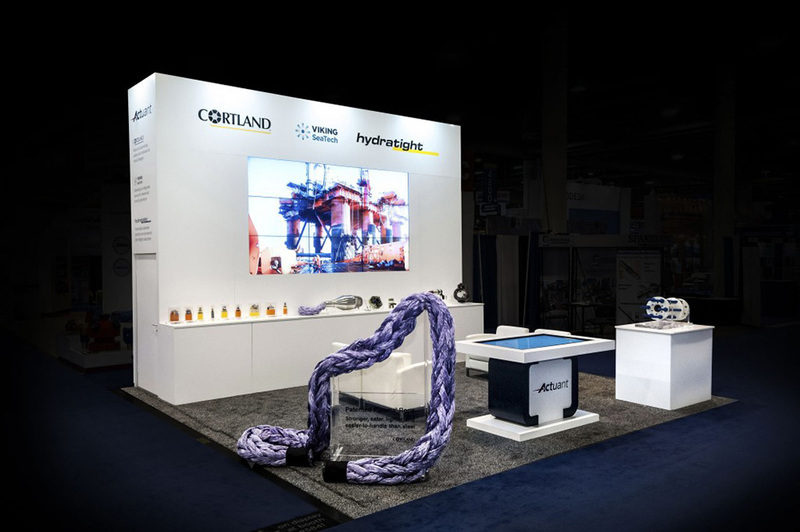 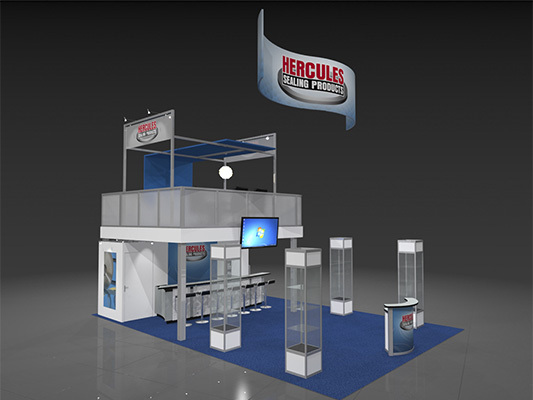 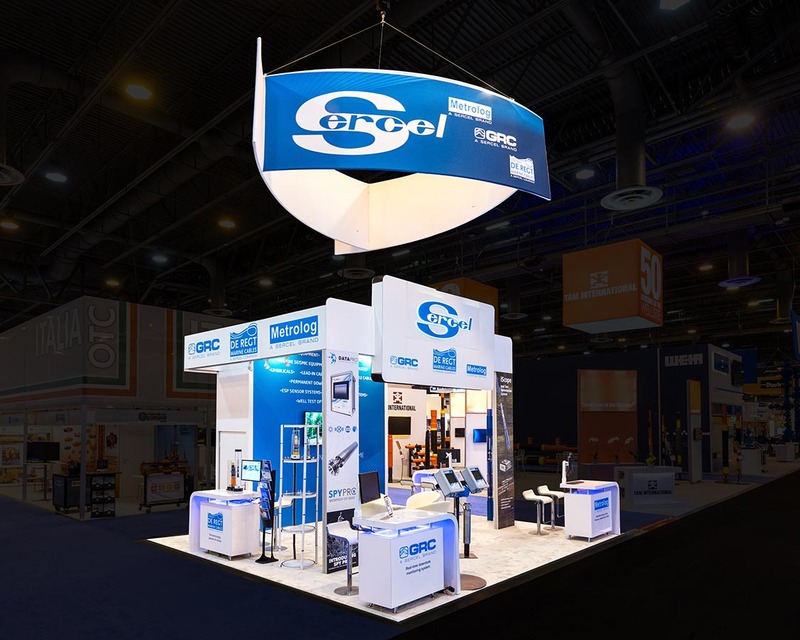 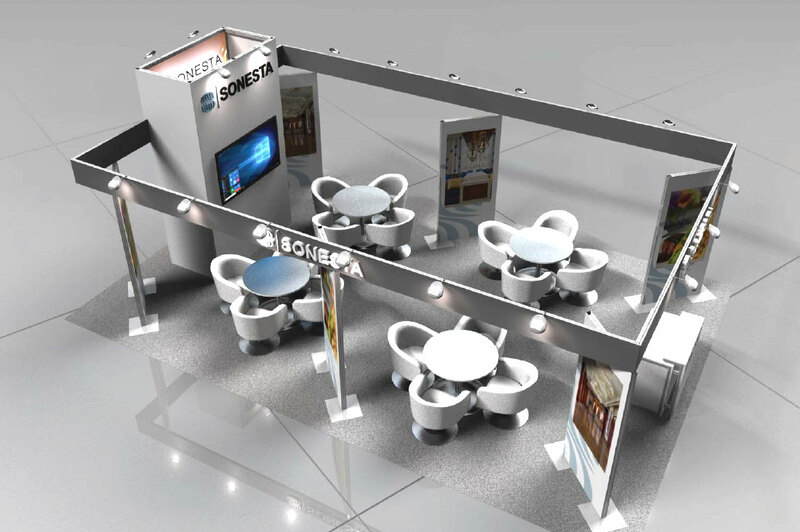 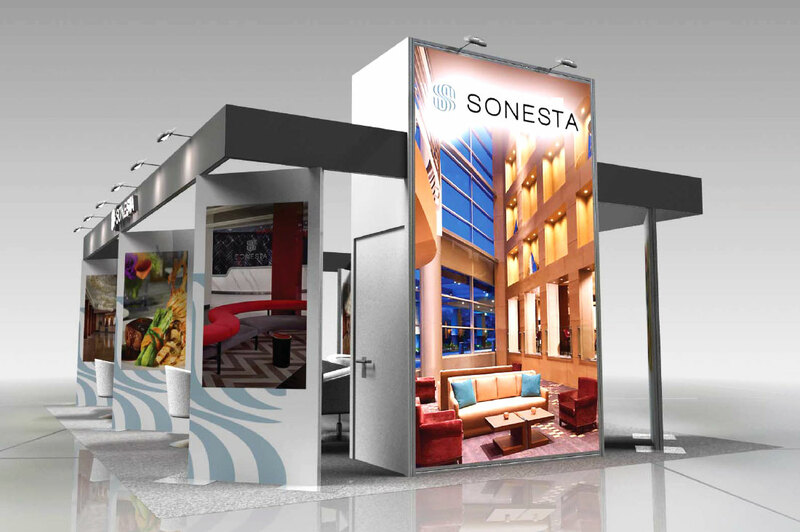 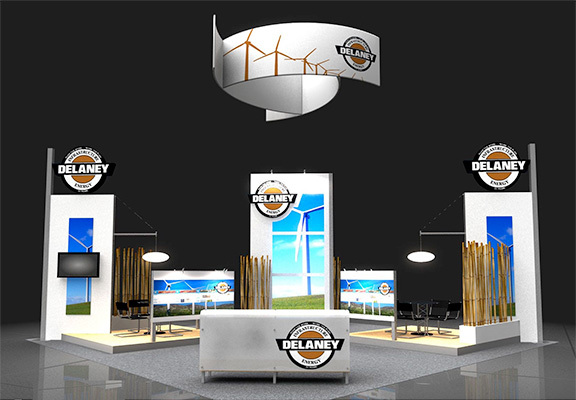 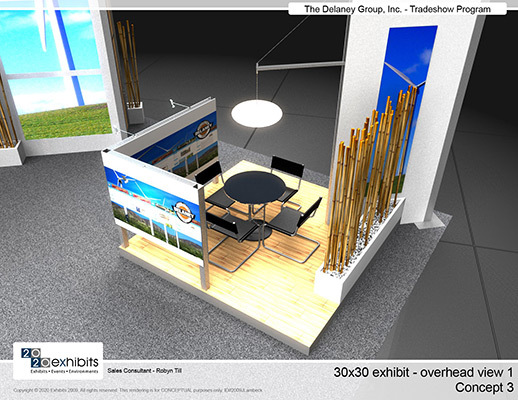 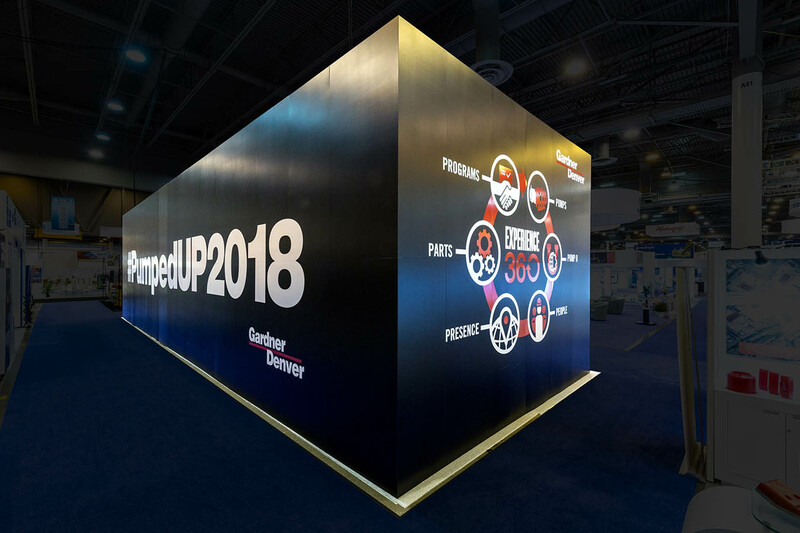 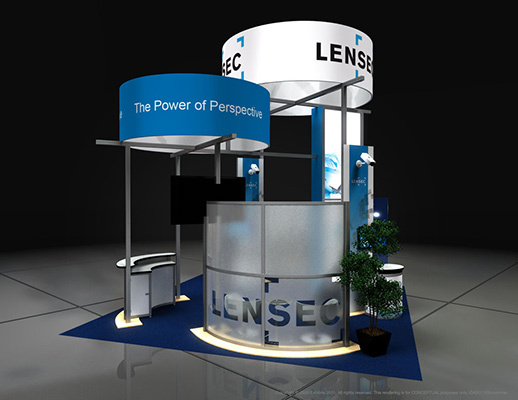 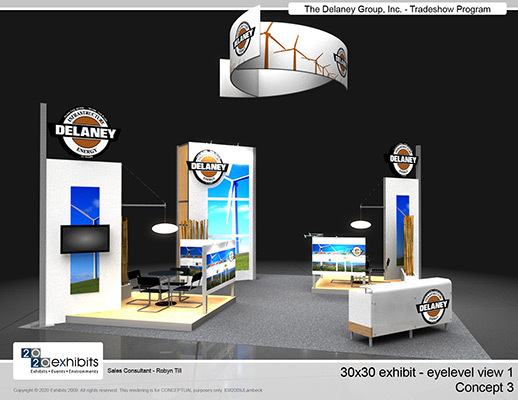 Features include: tall steel structure, overhead lighting, graphic logo signage, reception area, lounge area, literature displays, storage closets, storage cabinets, floral/planters, carpeted inlay, open conference seating, video monitors and graphic banners.